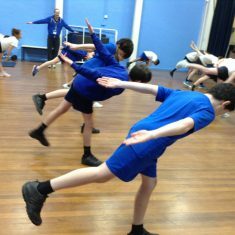 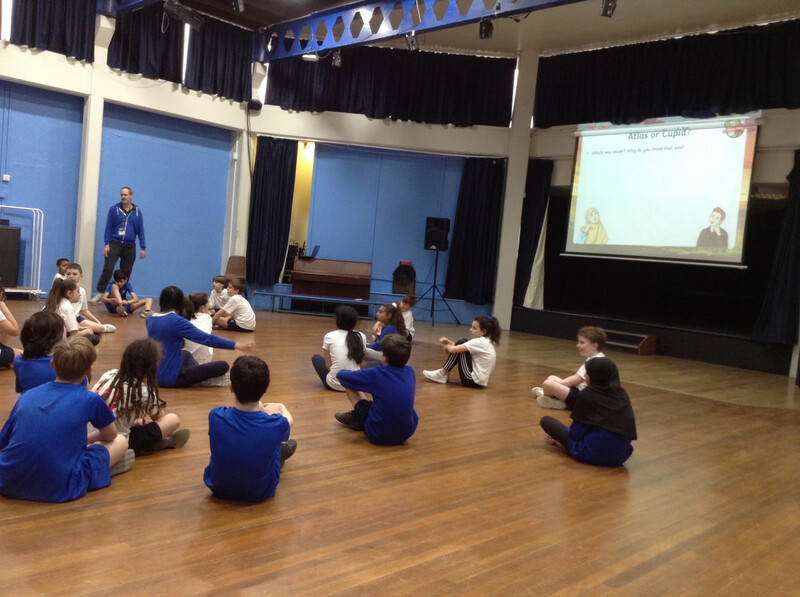 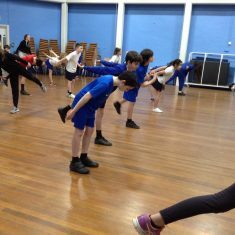 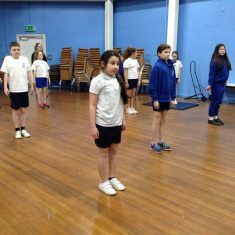 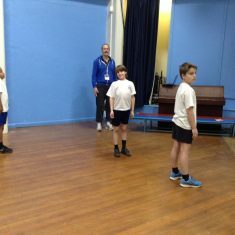 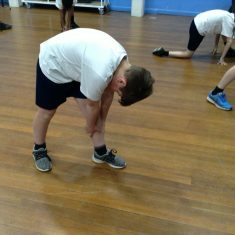 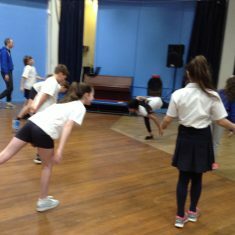 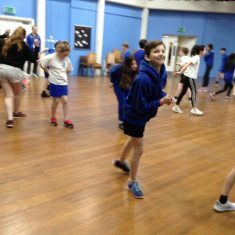 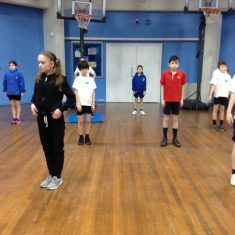 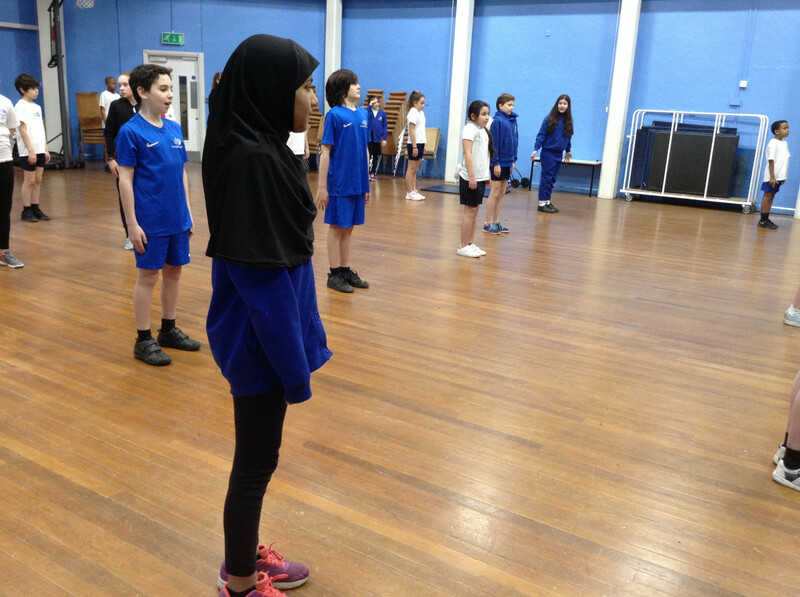 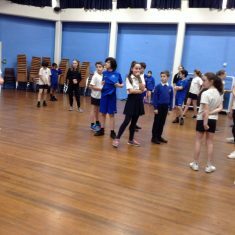 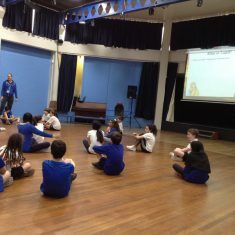 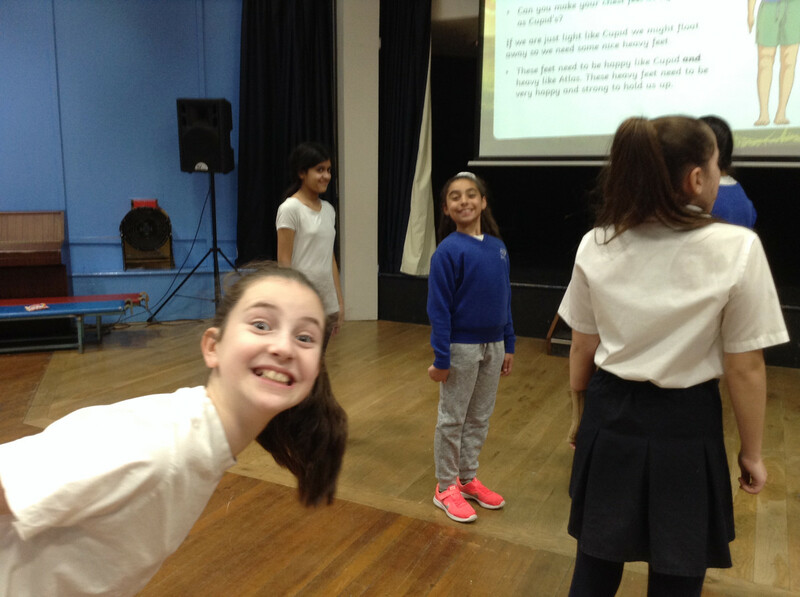 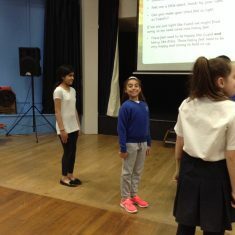 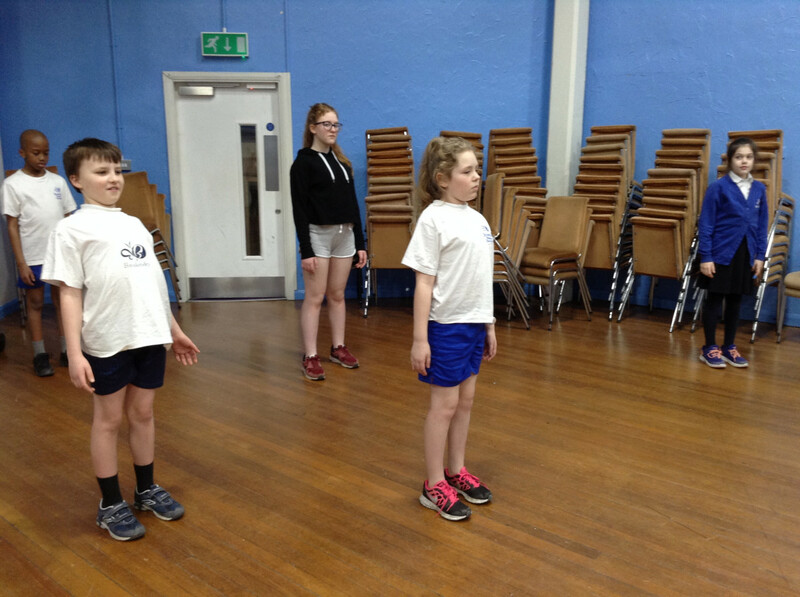 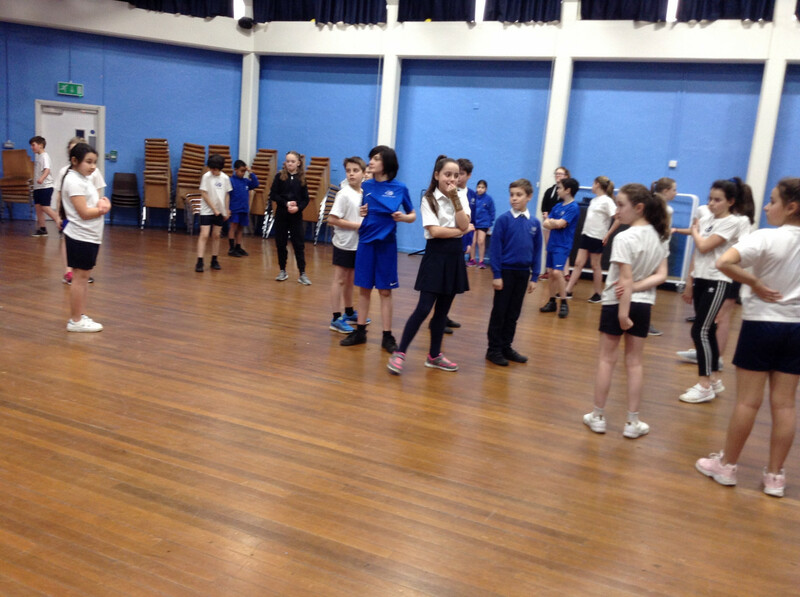 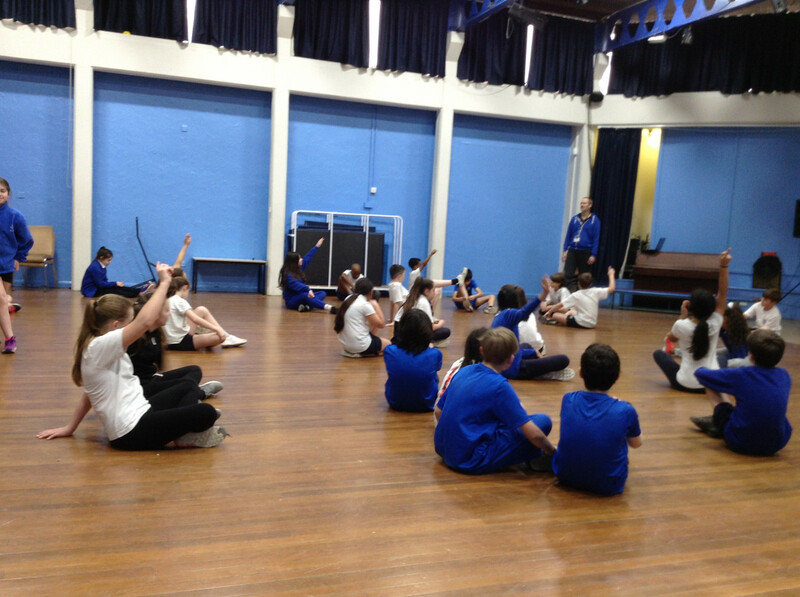 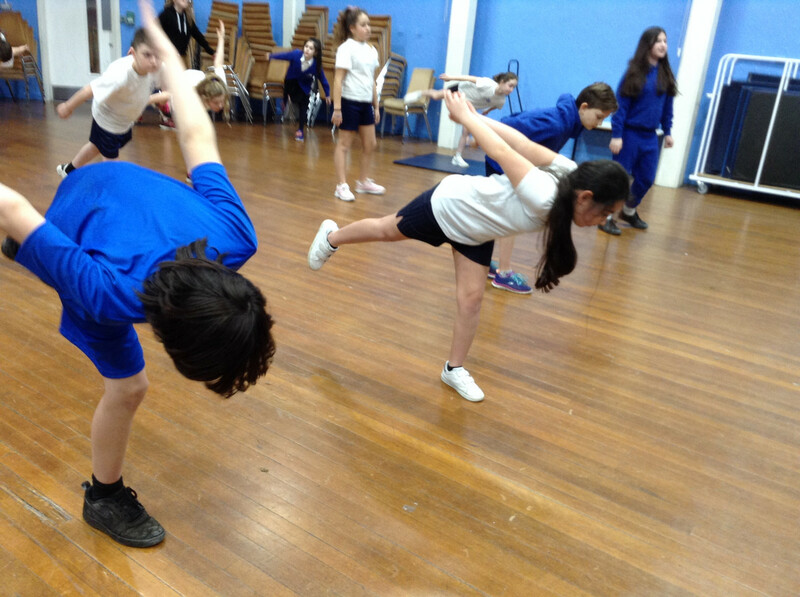 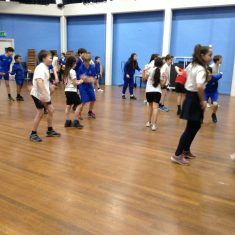 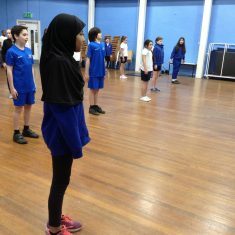 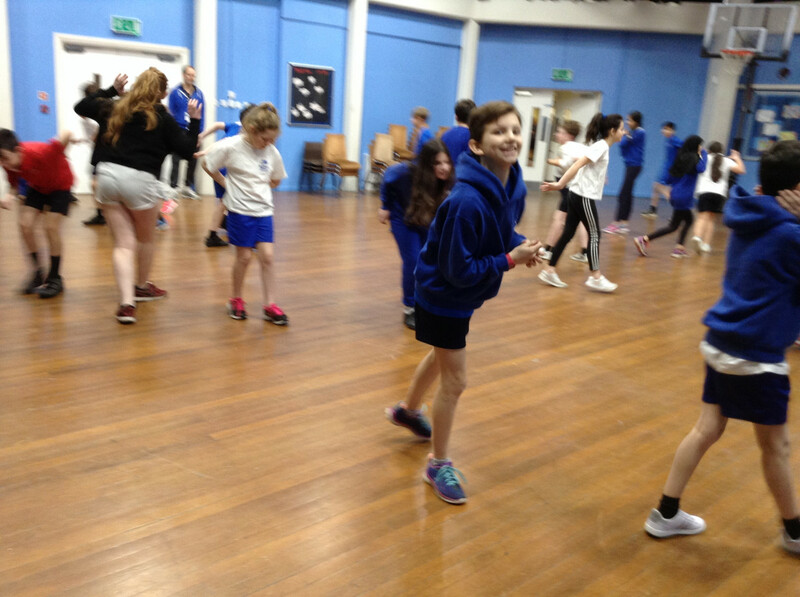 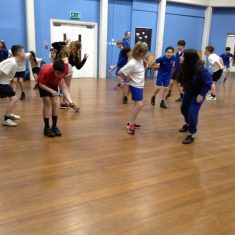 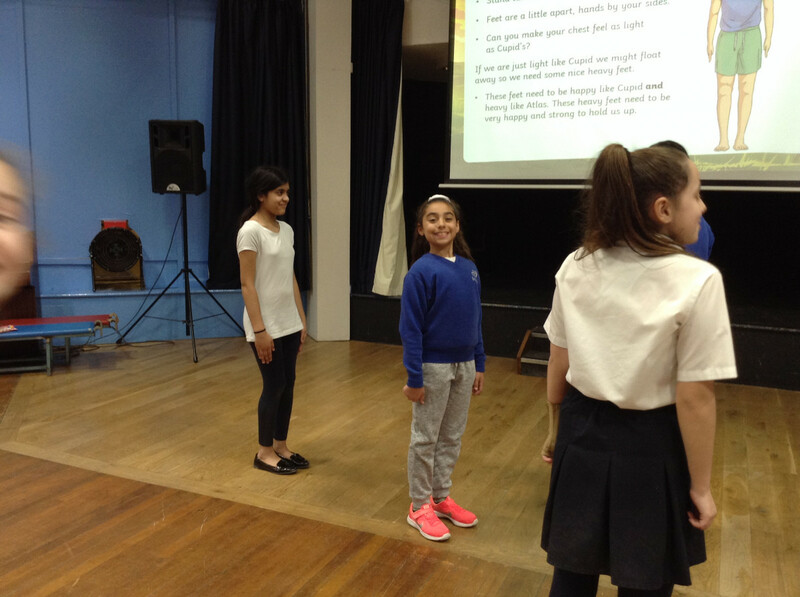 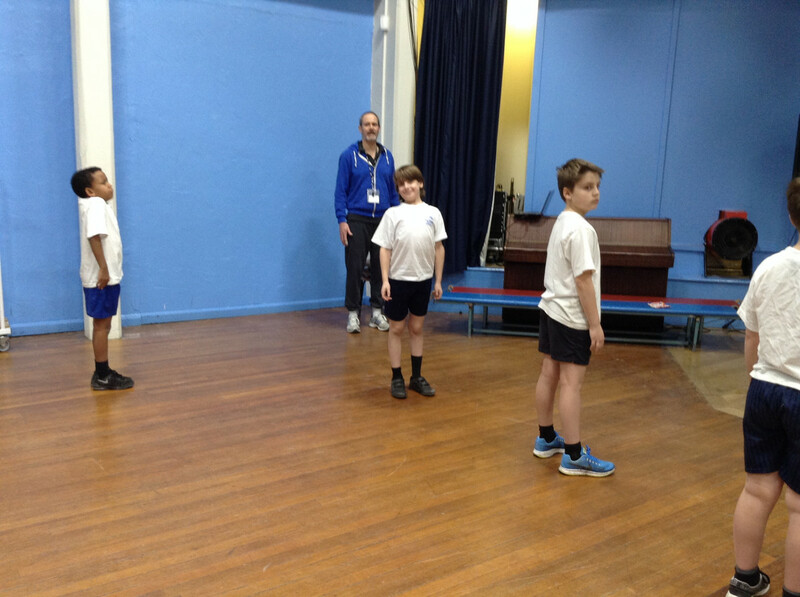 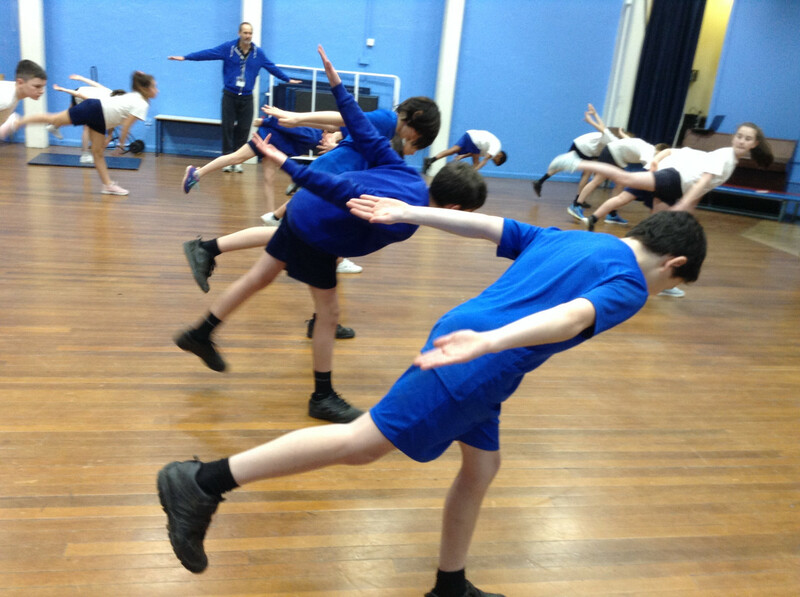 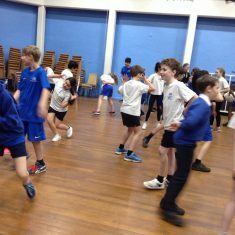 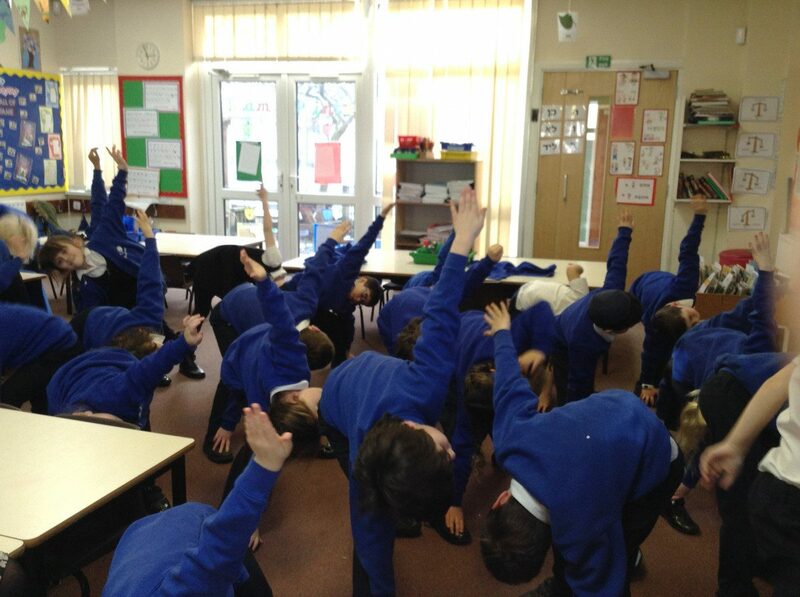 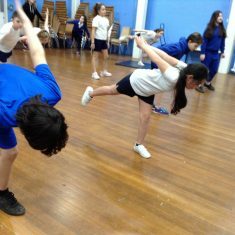 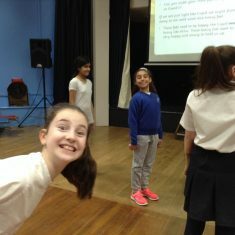 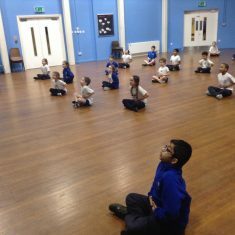 Year 6: All the pupils have joined together to participate in an introduction to yoga lesson as part of our work for ‘Mental Health Week’. 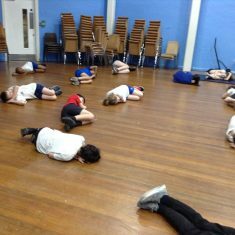 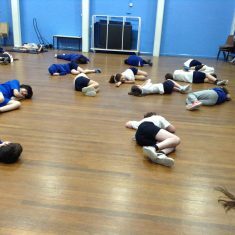 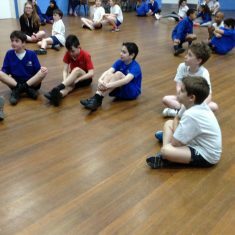 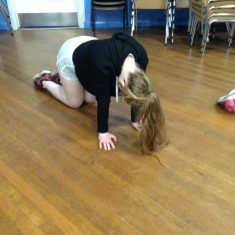 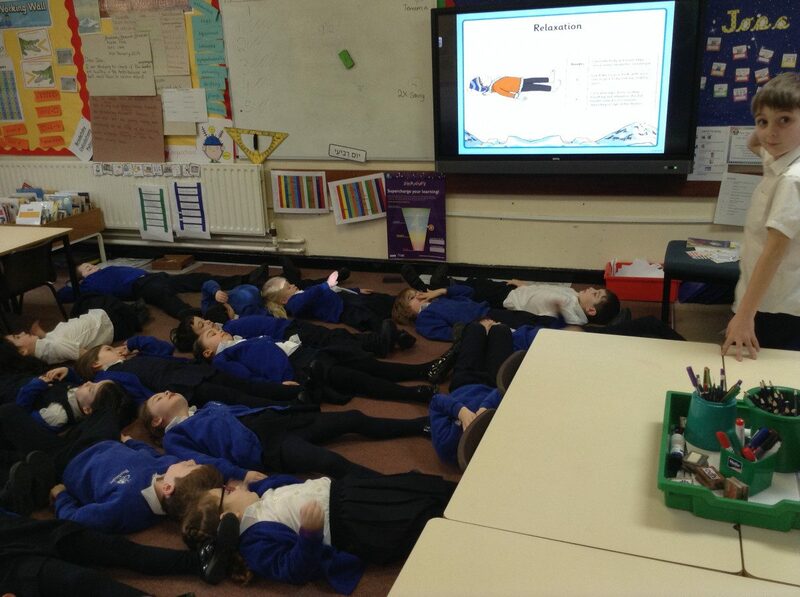 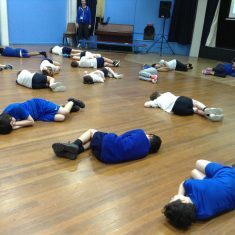 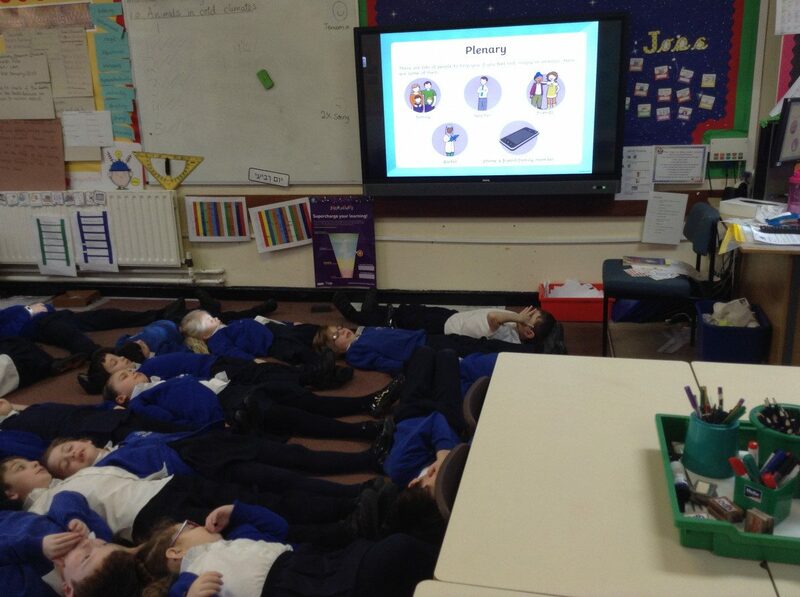 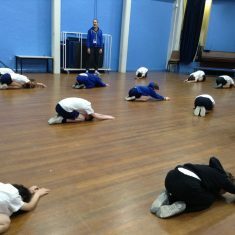 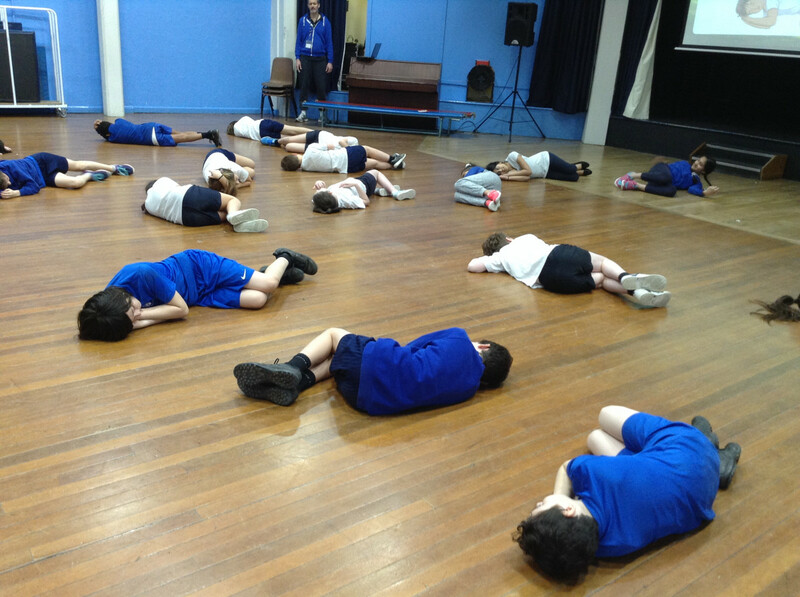 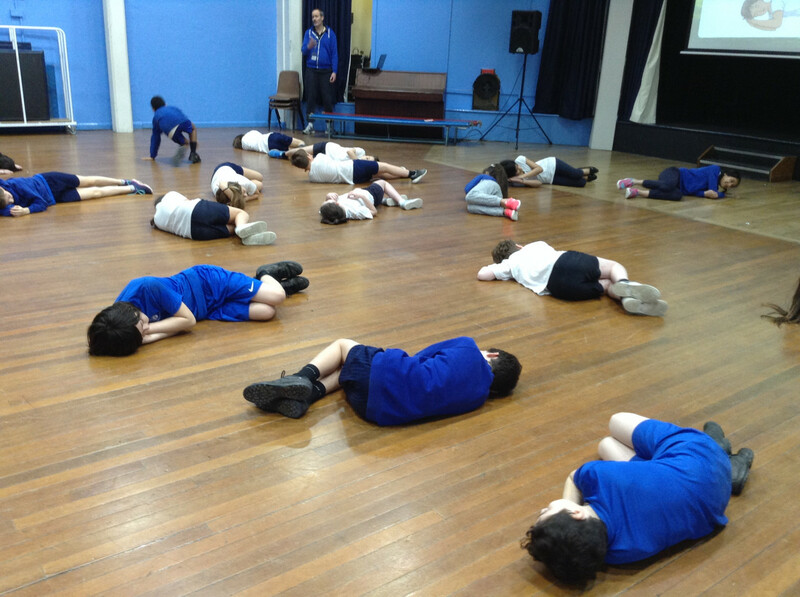 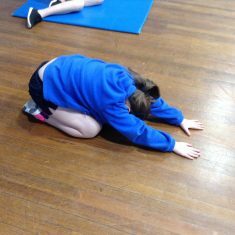 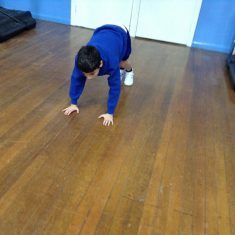 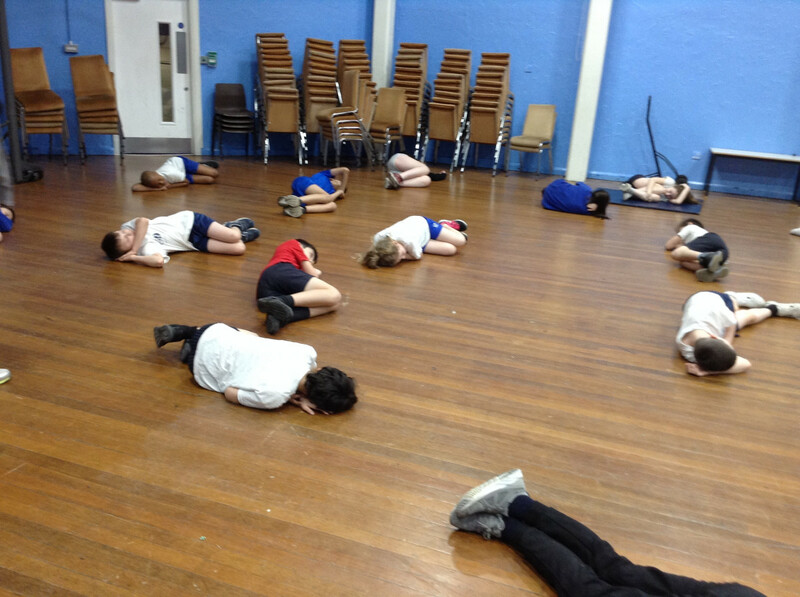 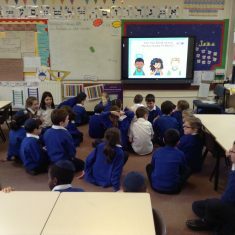 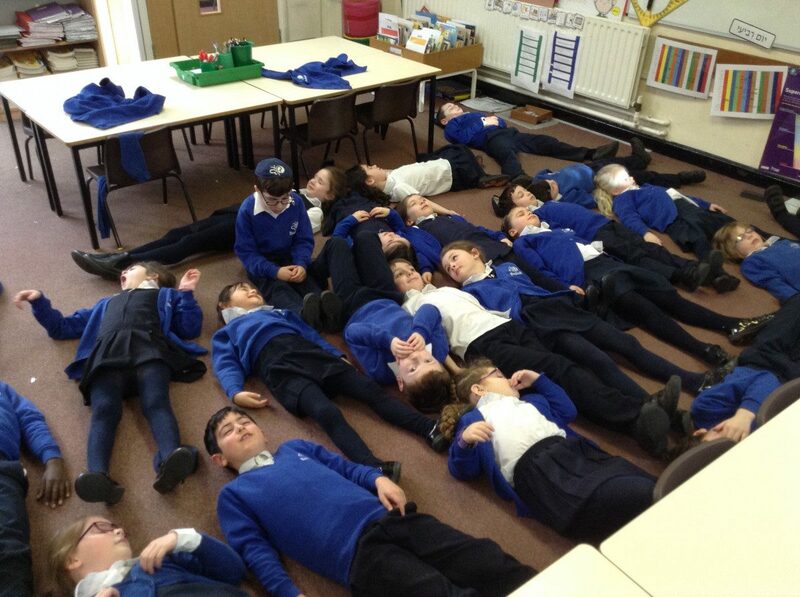 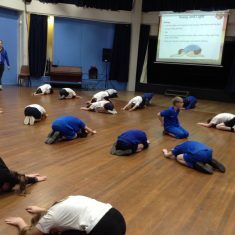 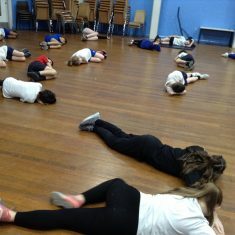 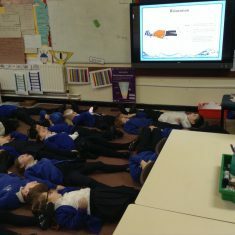 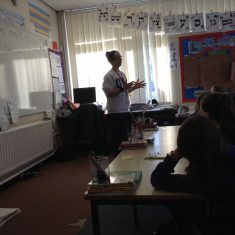 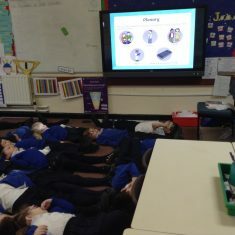 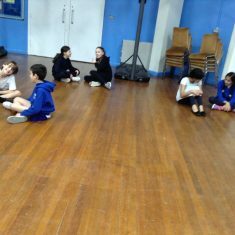 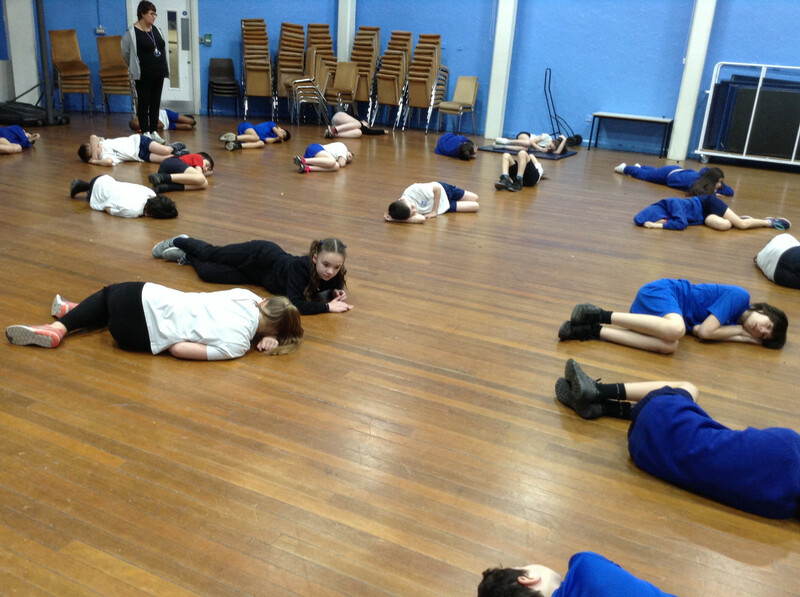 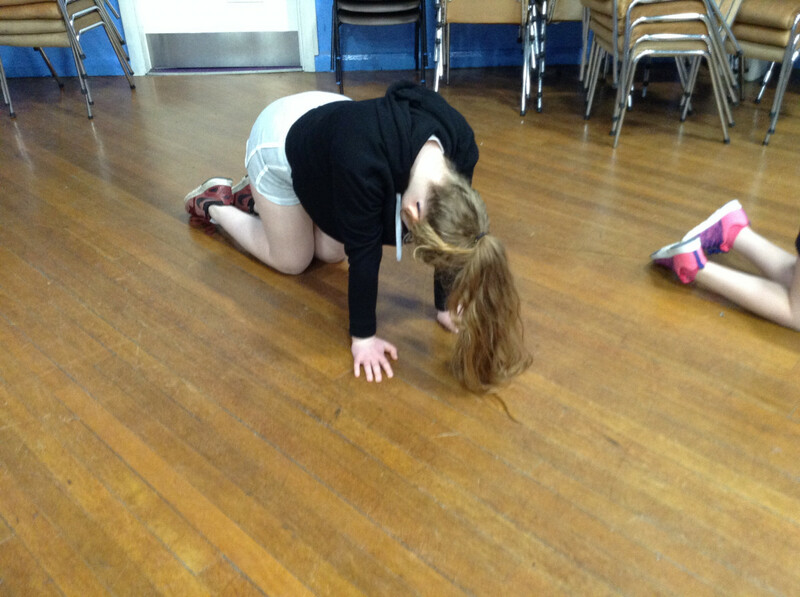 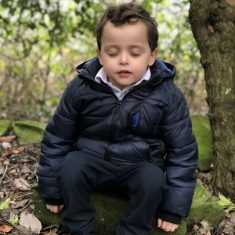 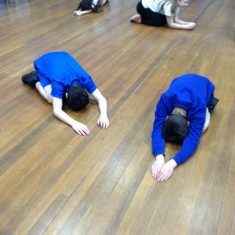 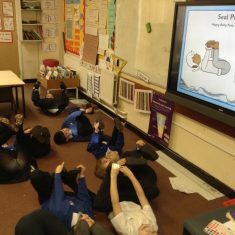 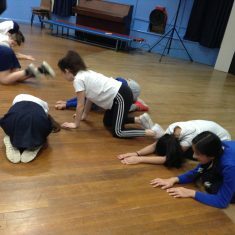 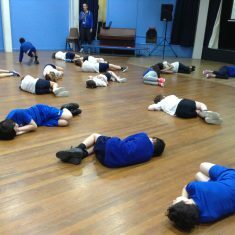 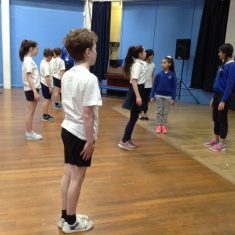 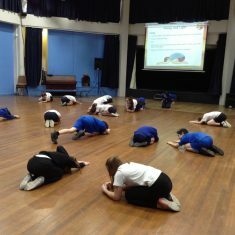 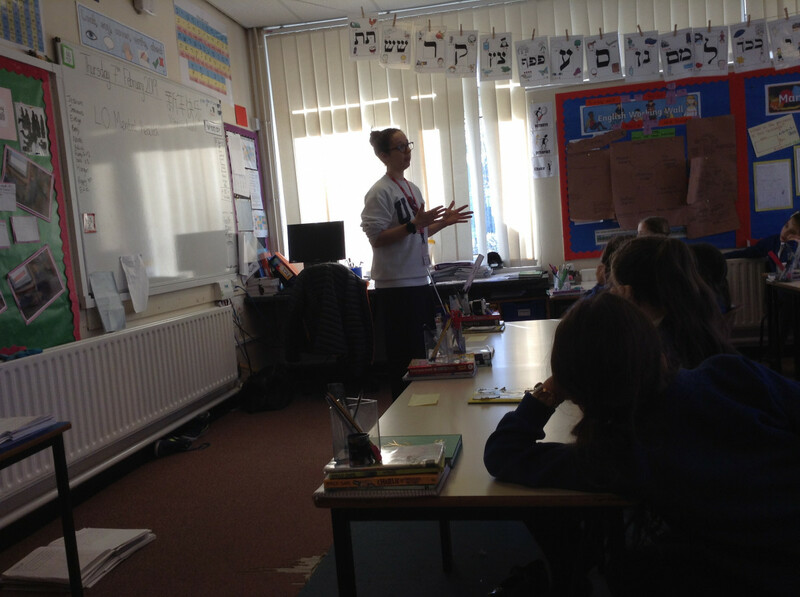 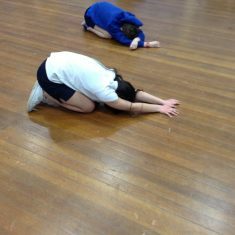 The children discussed how their bodies felt when they were sad and happy and learned some breathing techniques and controlled movements to help relax. 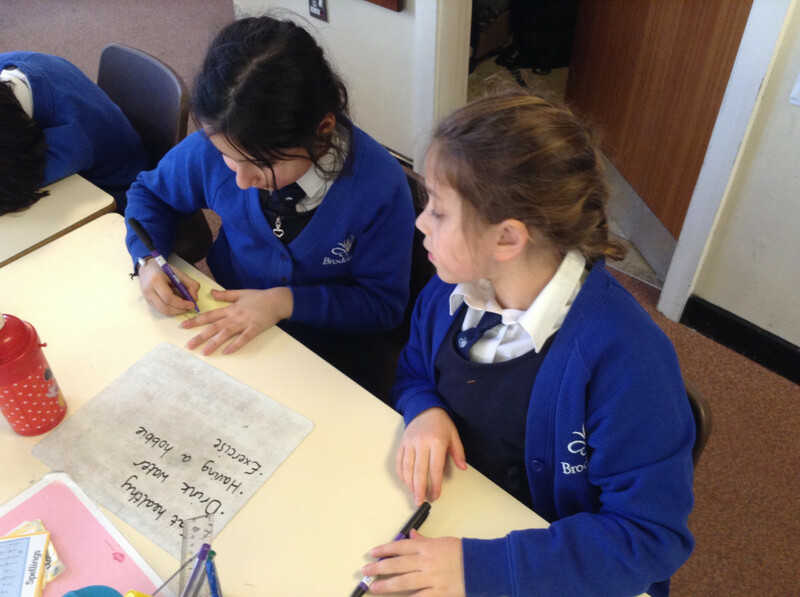 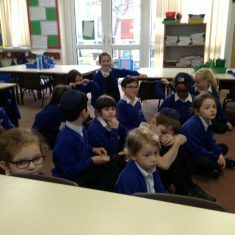 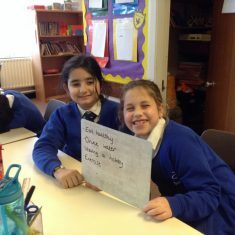 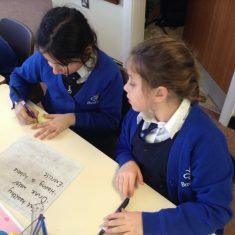 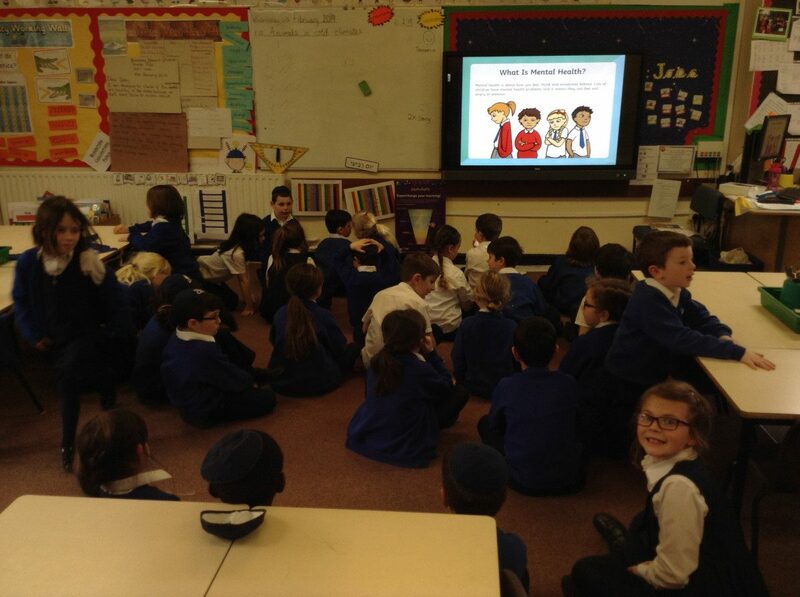 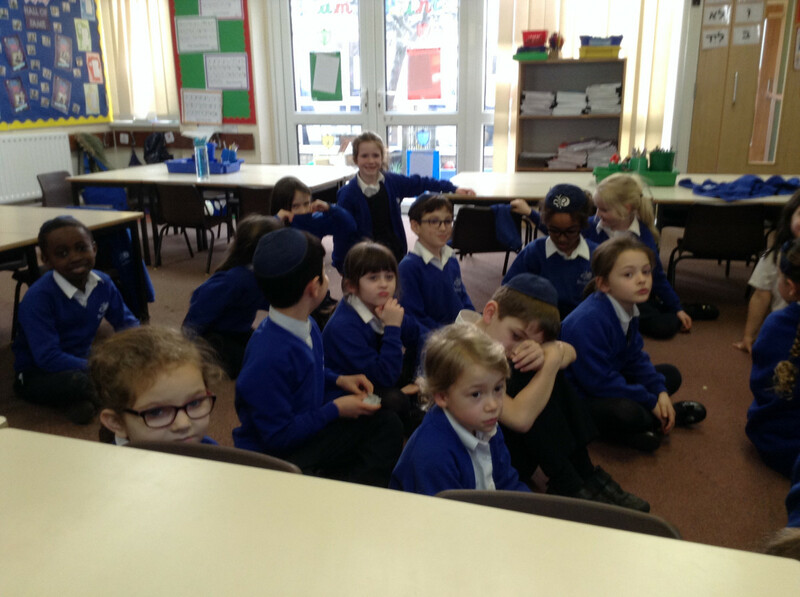 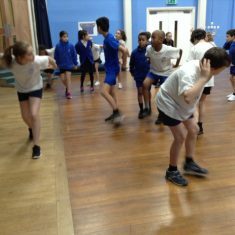 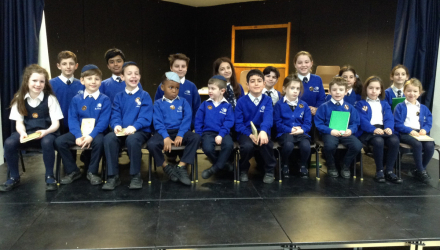 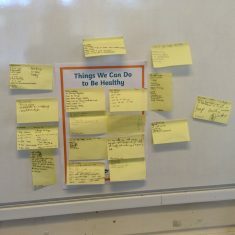 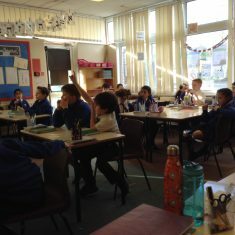 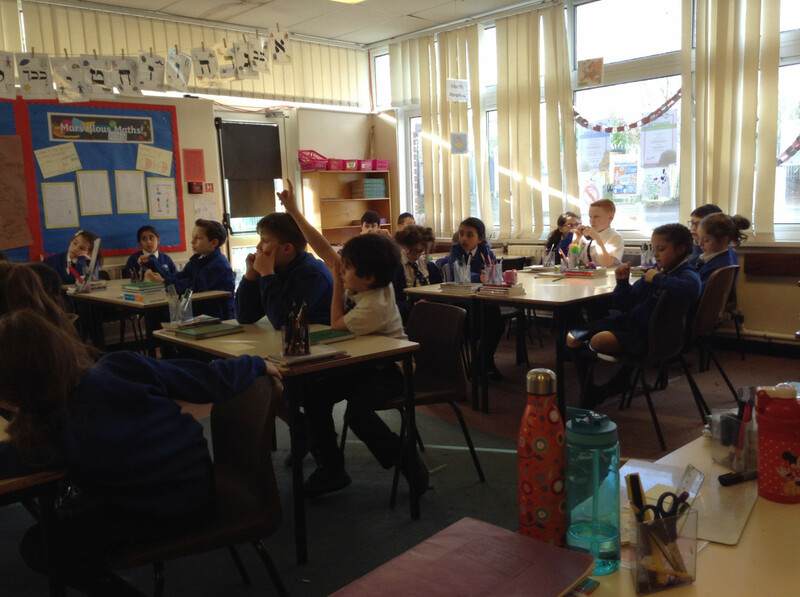 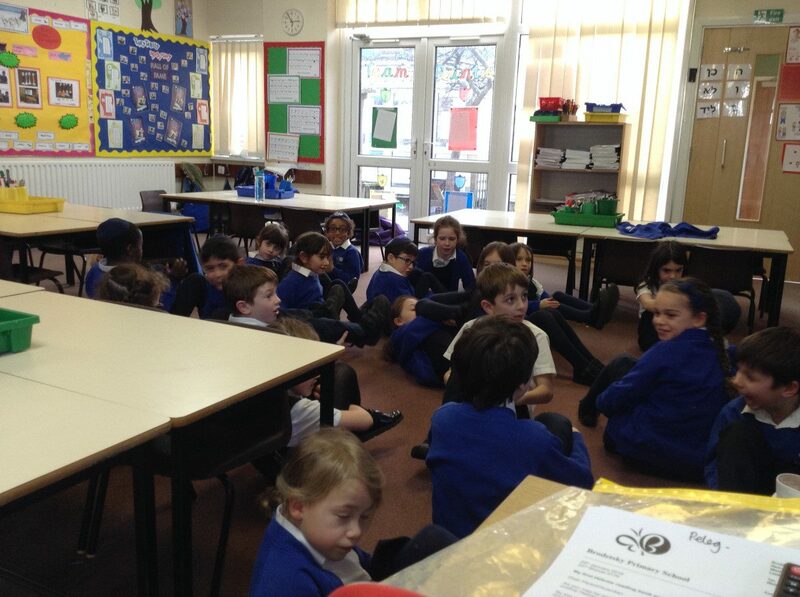 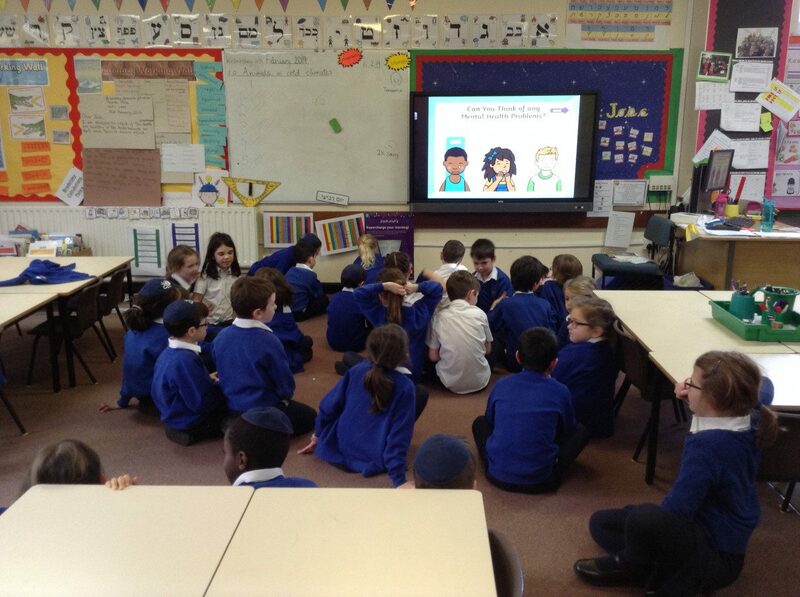 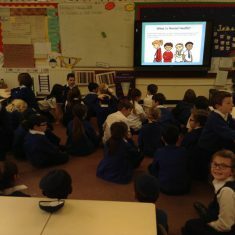 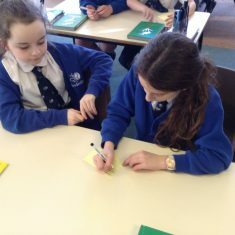 Year 3 & 4: For Children’s Mental Health Week year 3 and 4 have been thinking about how to stay healthy on the inside as well as on the outside. 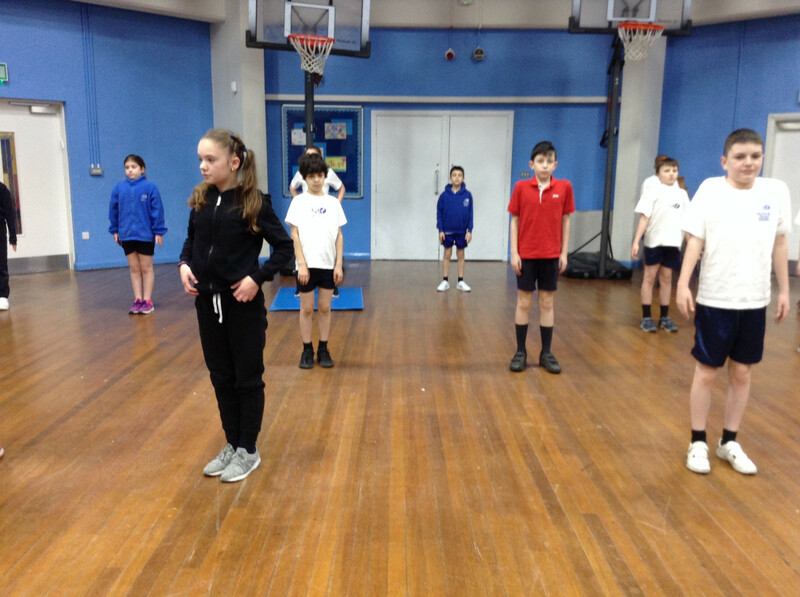 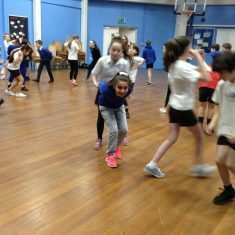 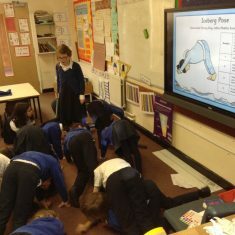 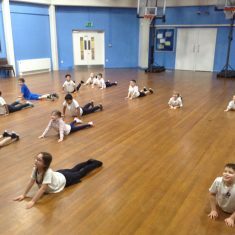 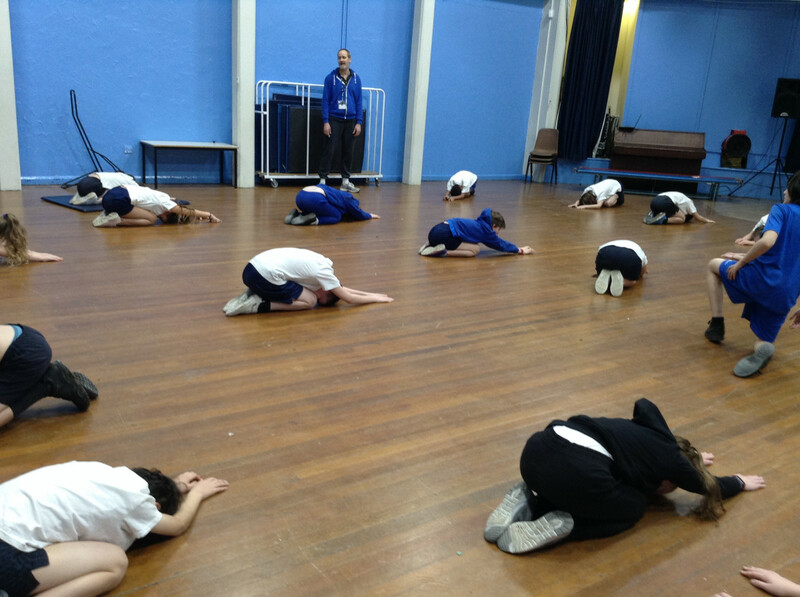 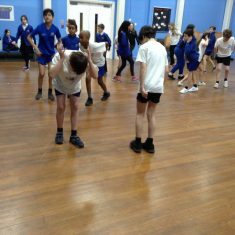 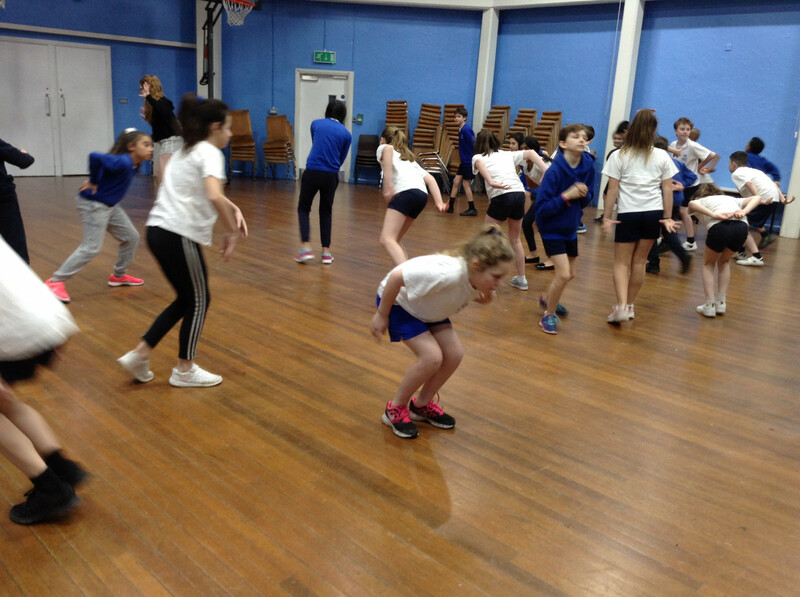 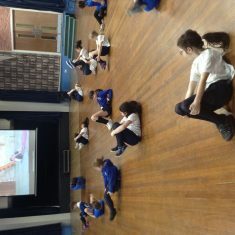 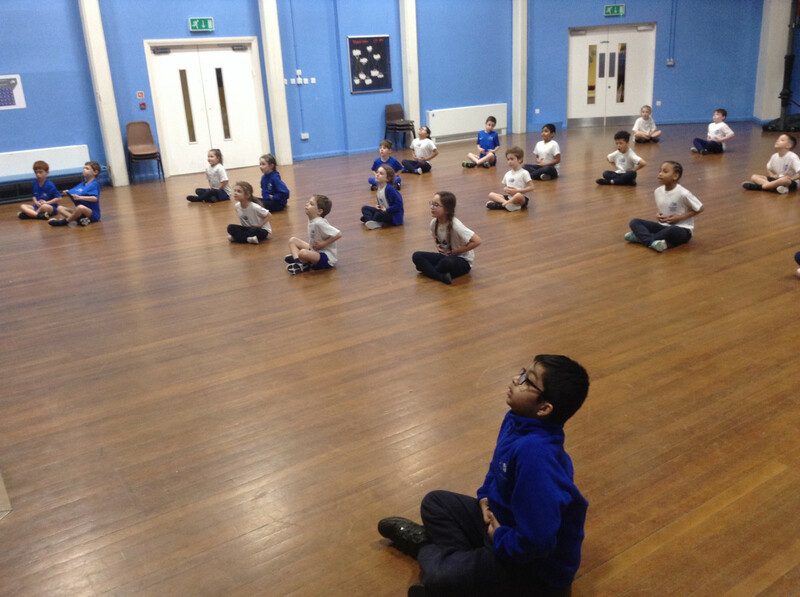 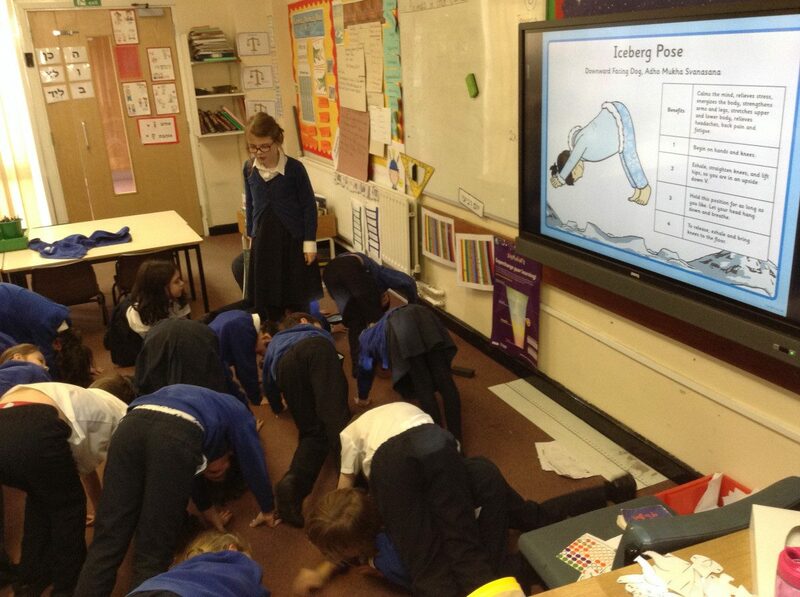 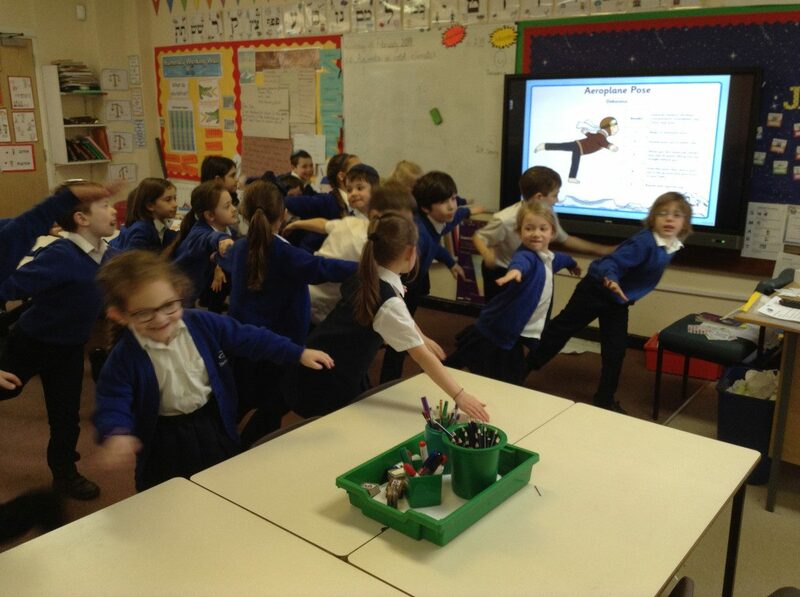 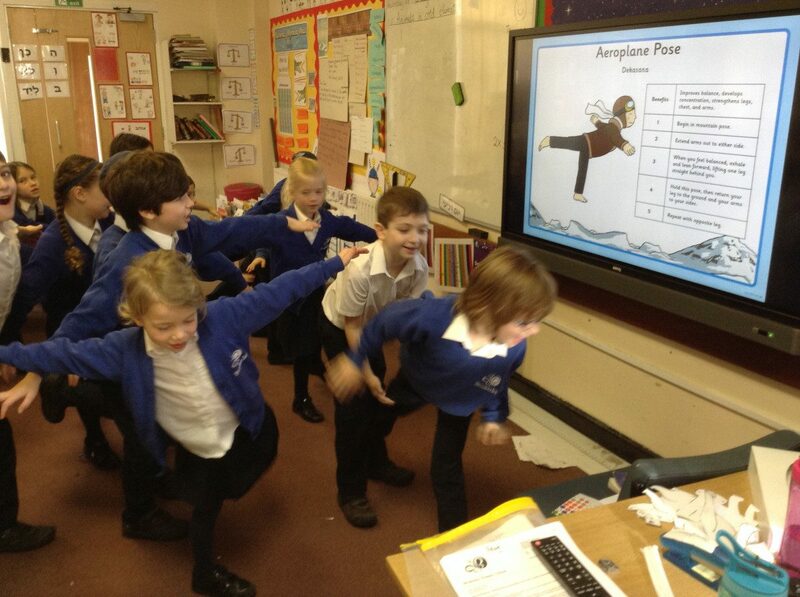 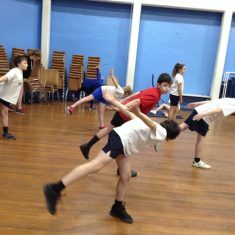 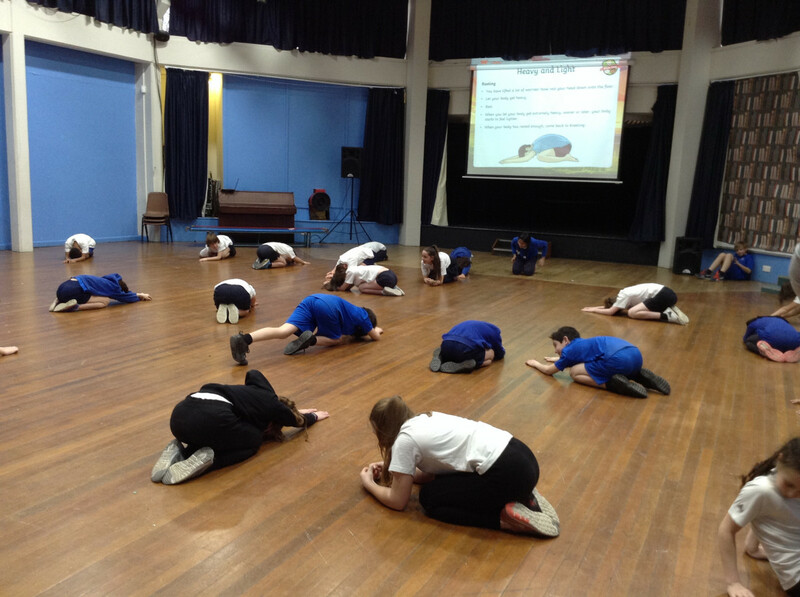 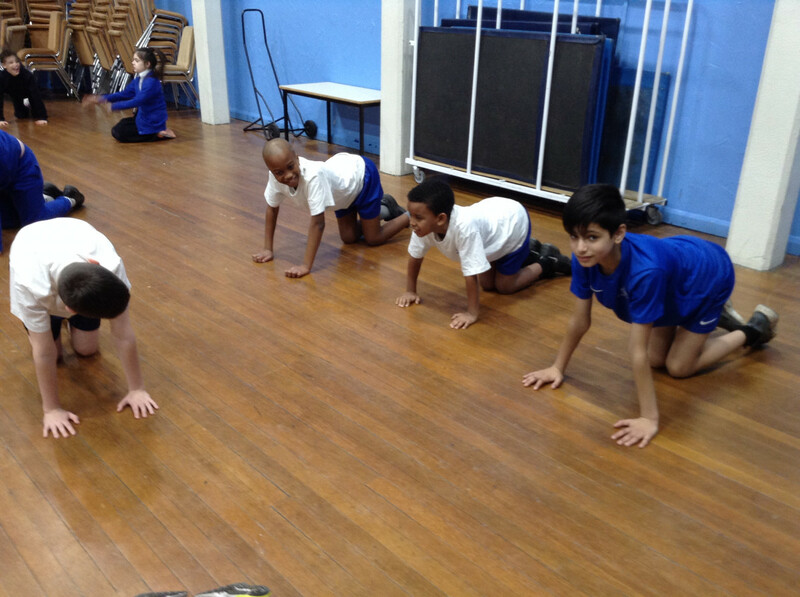 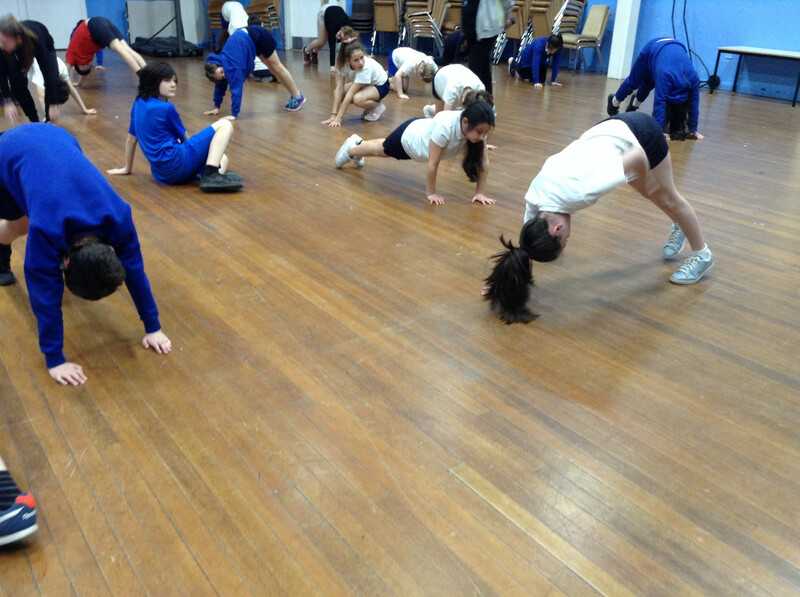 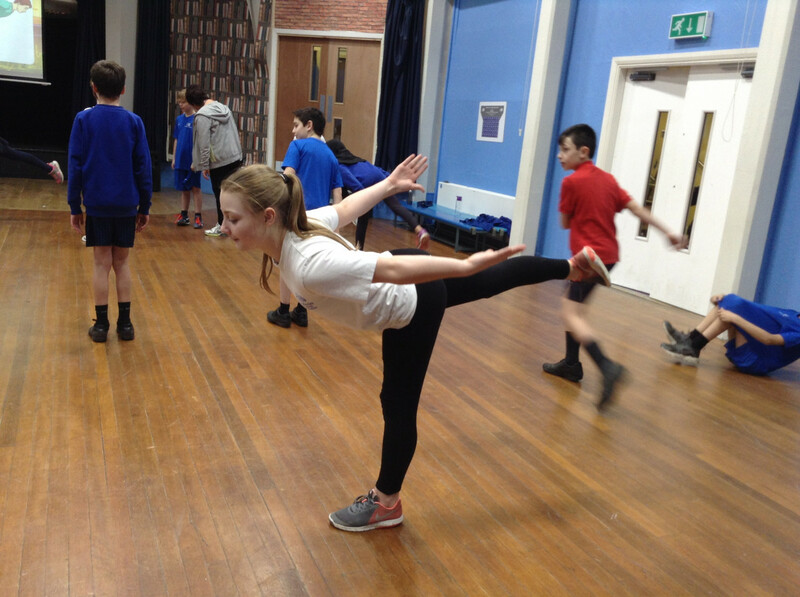 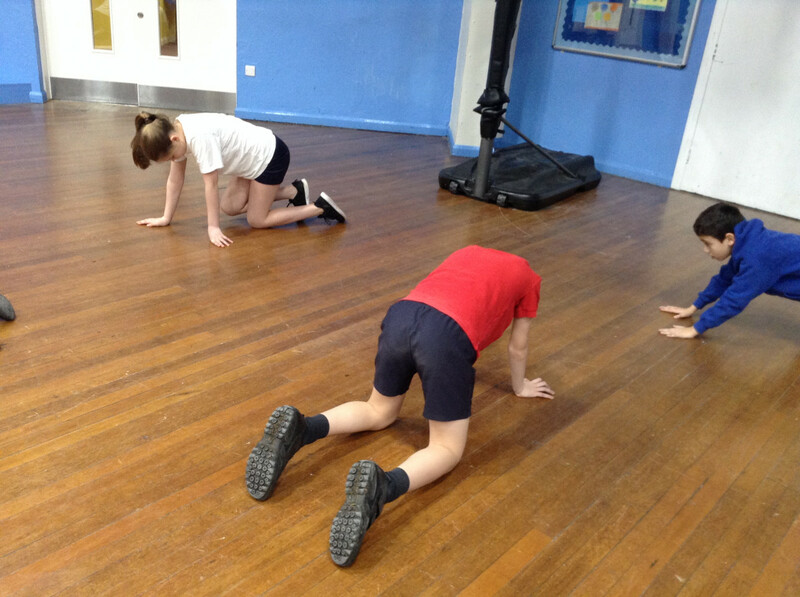 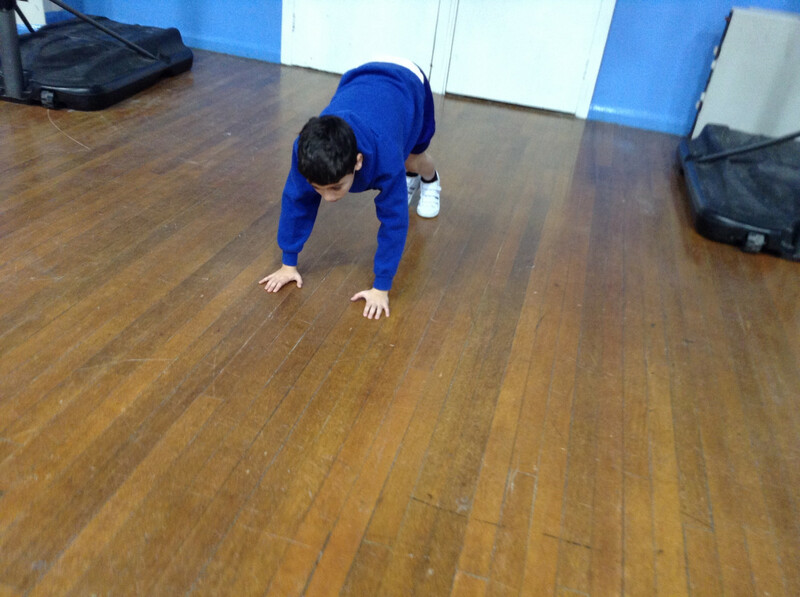 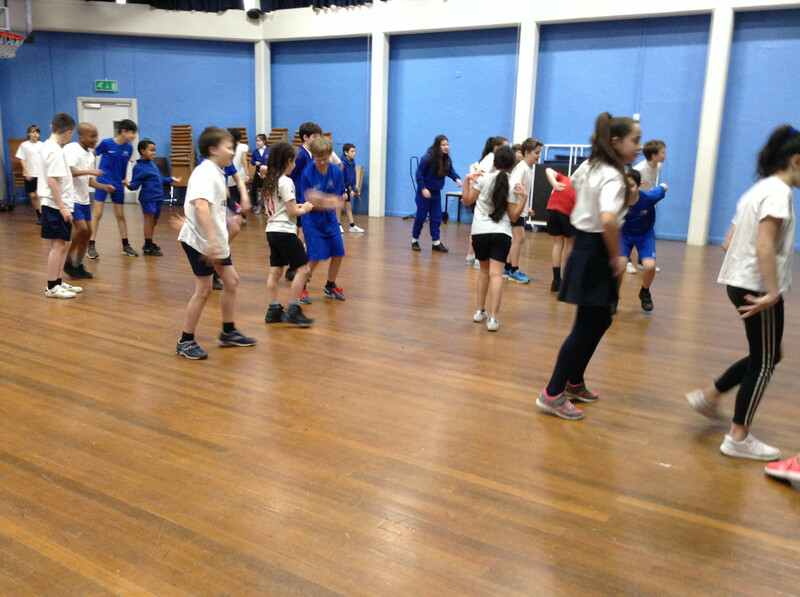 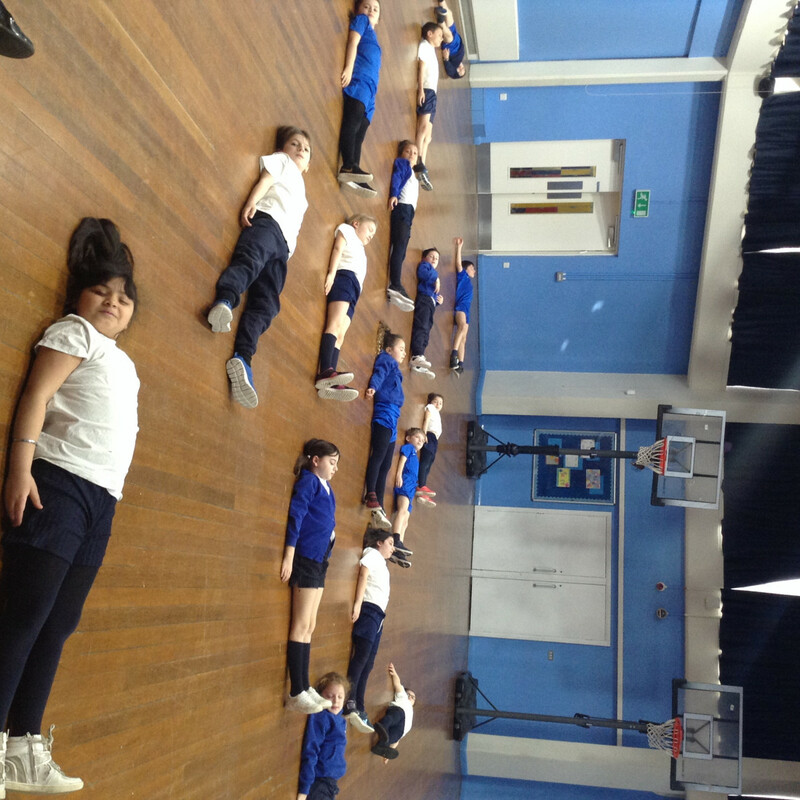 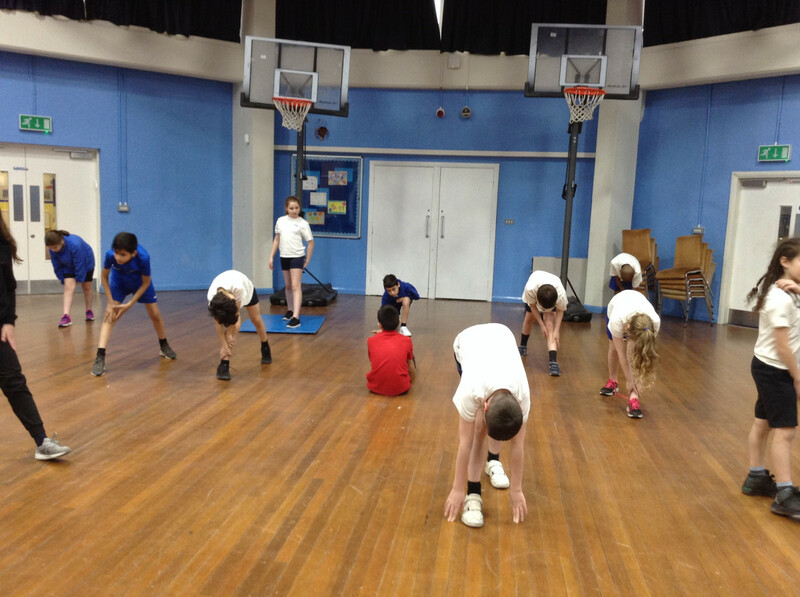 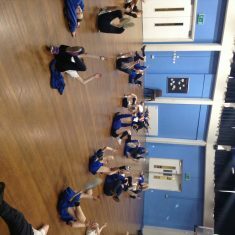 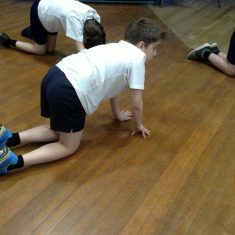 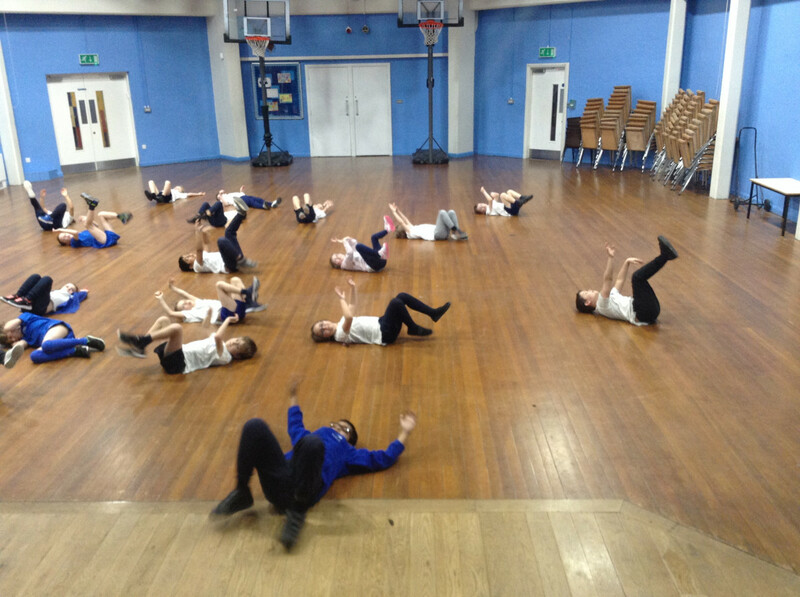 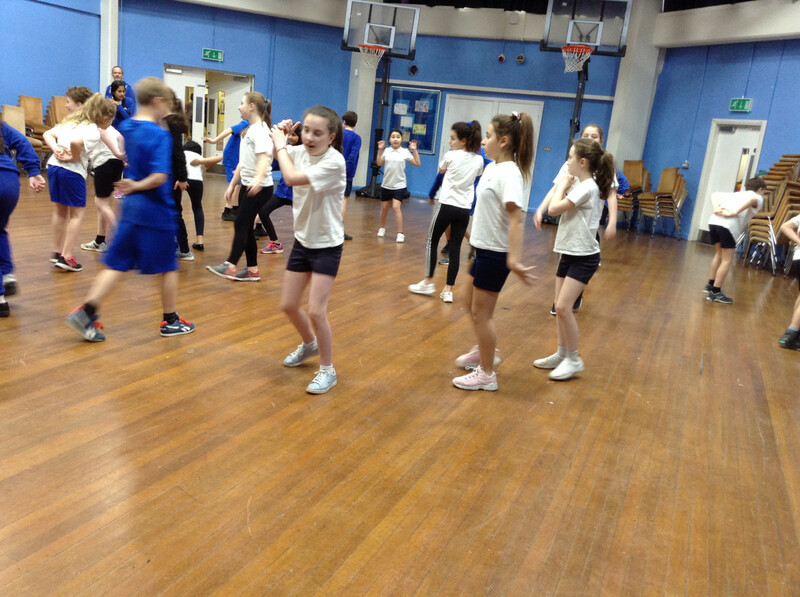 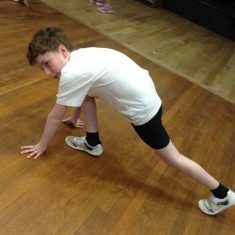 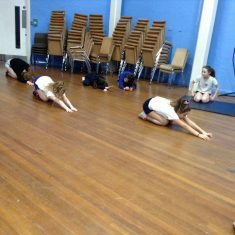 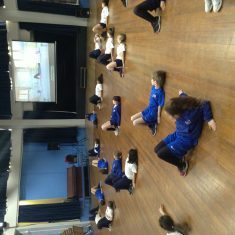 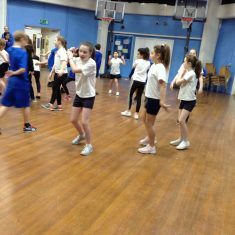 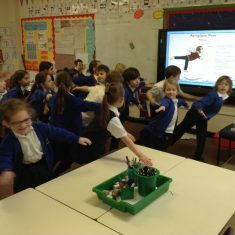 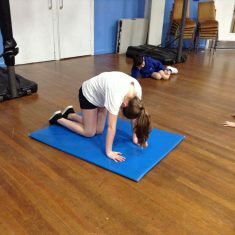 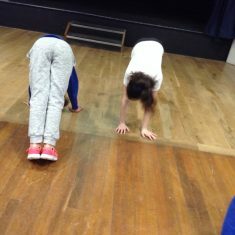 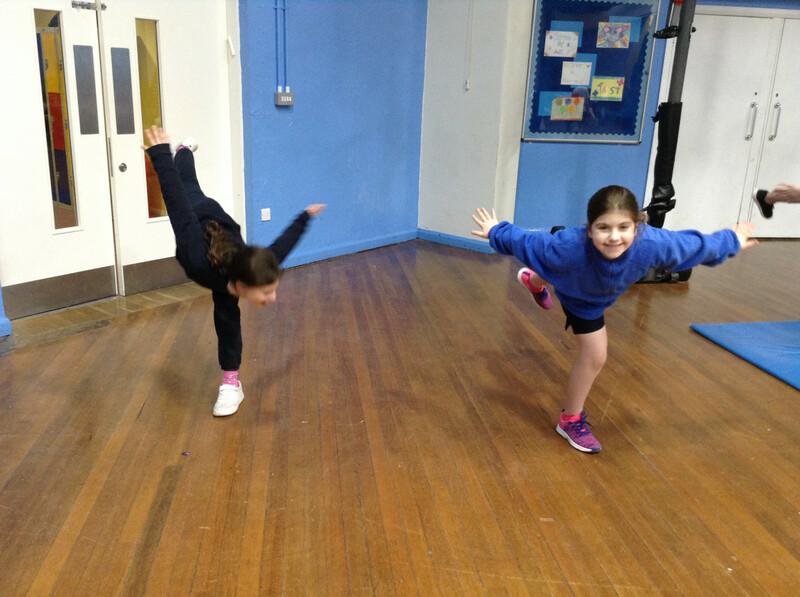 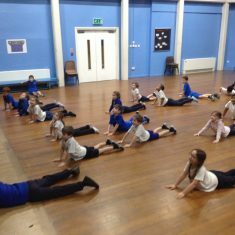 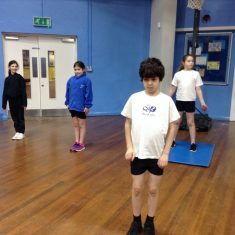 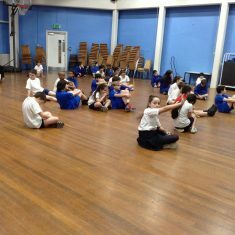 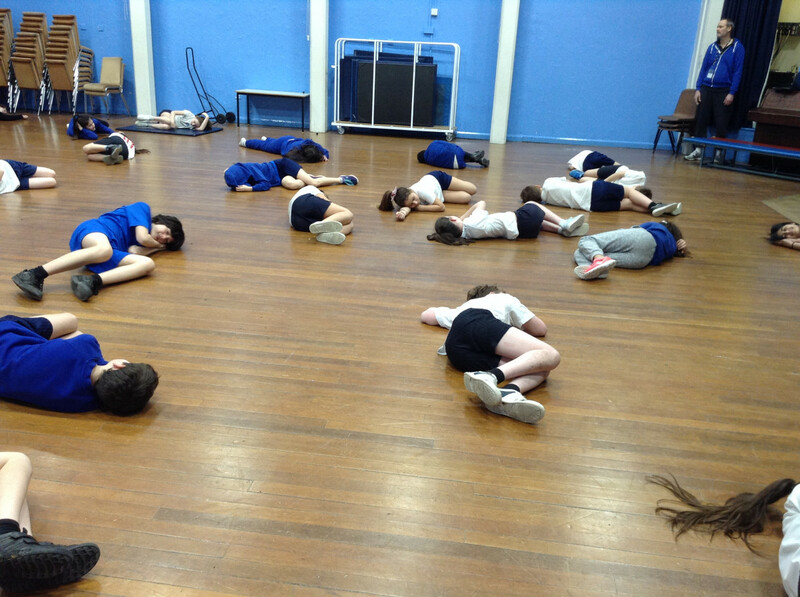 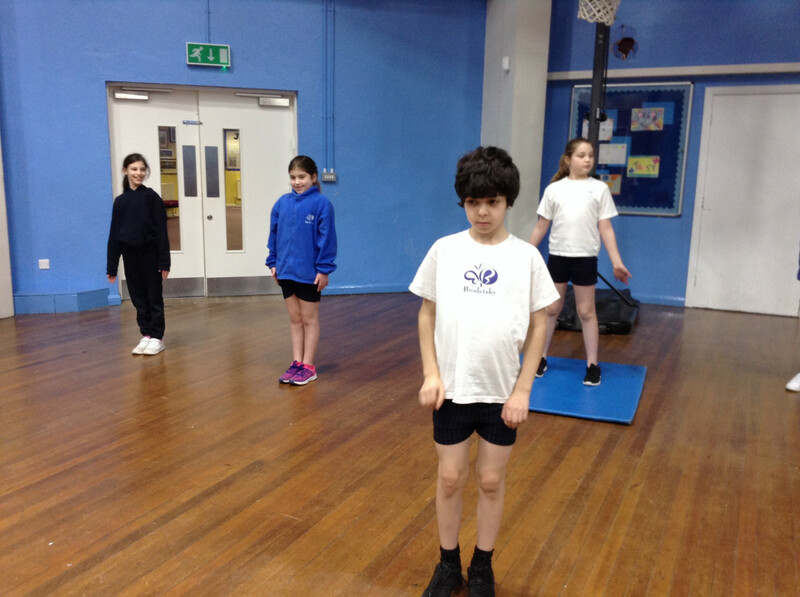 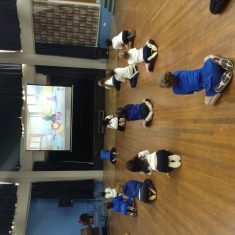 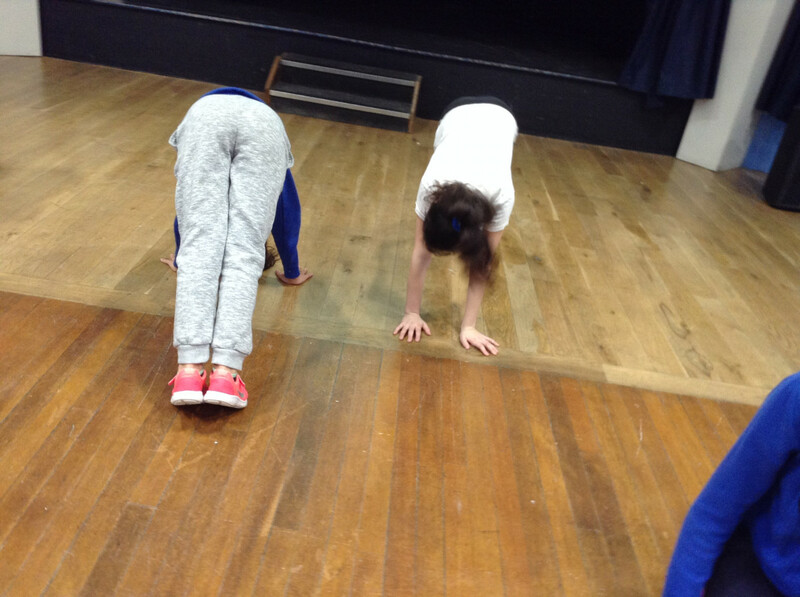 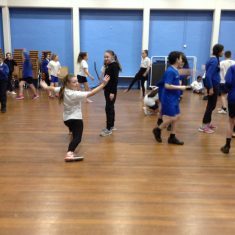 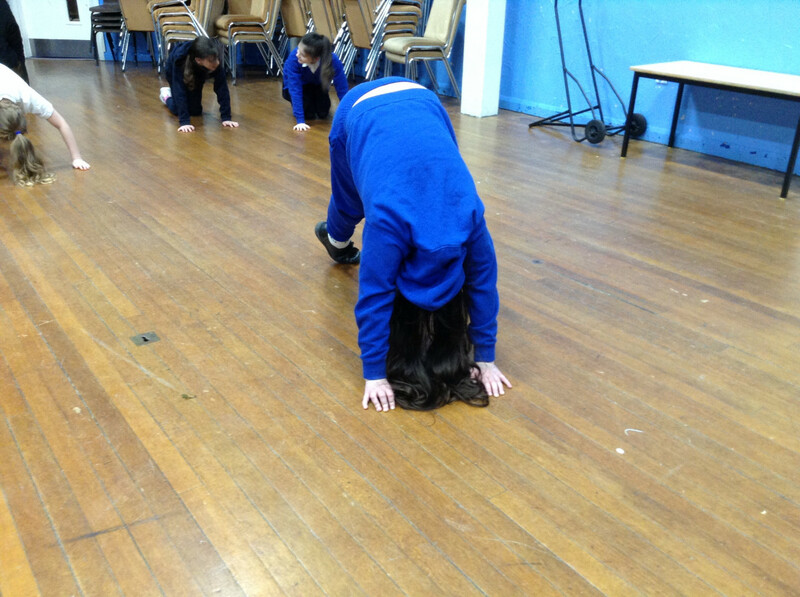 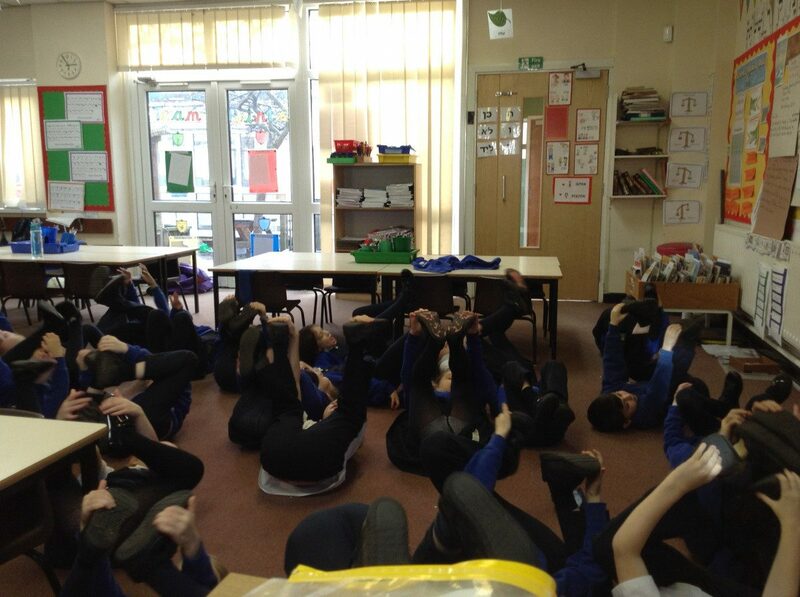 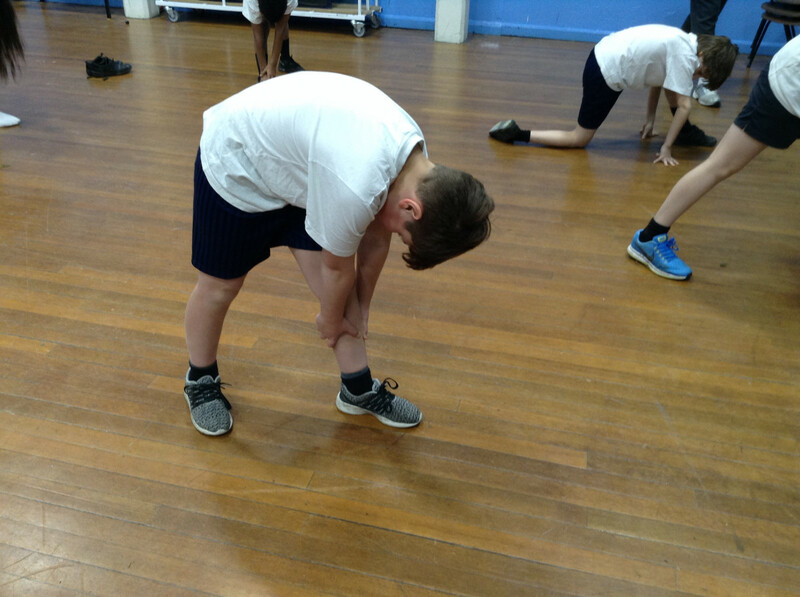 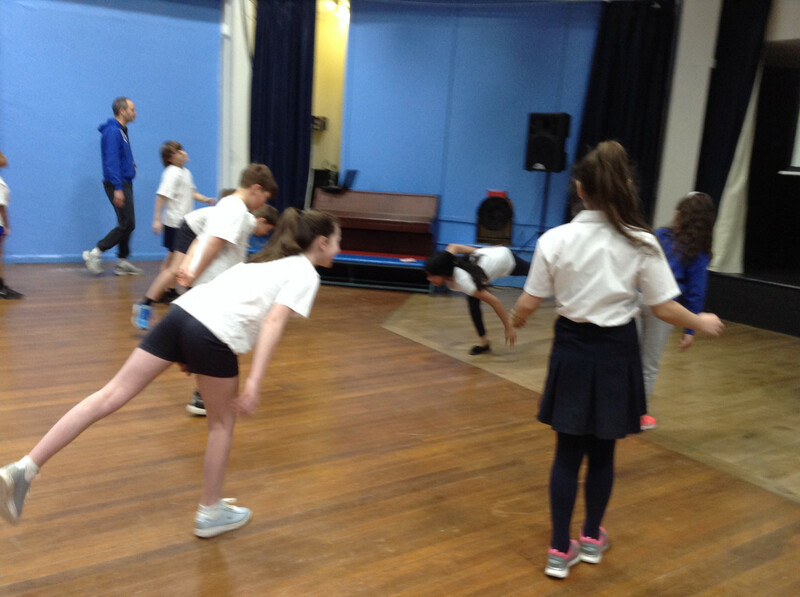 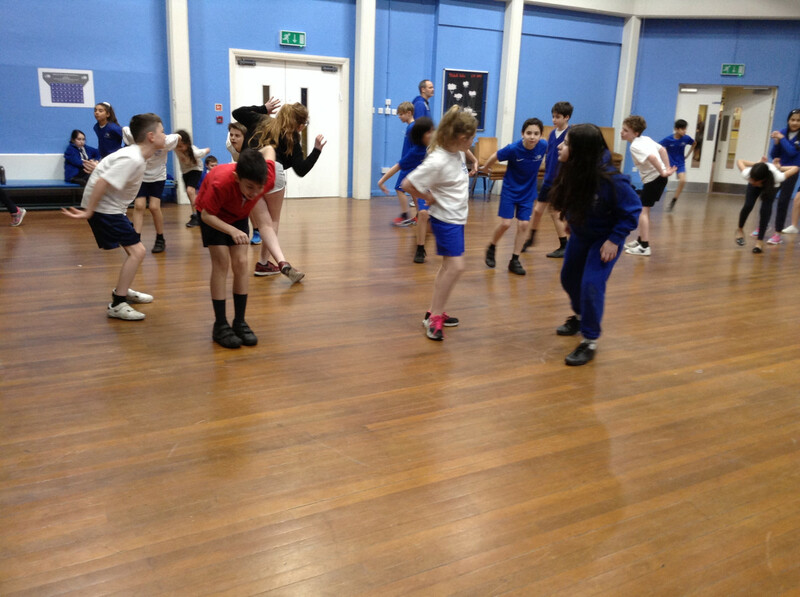 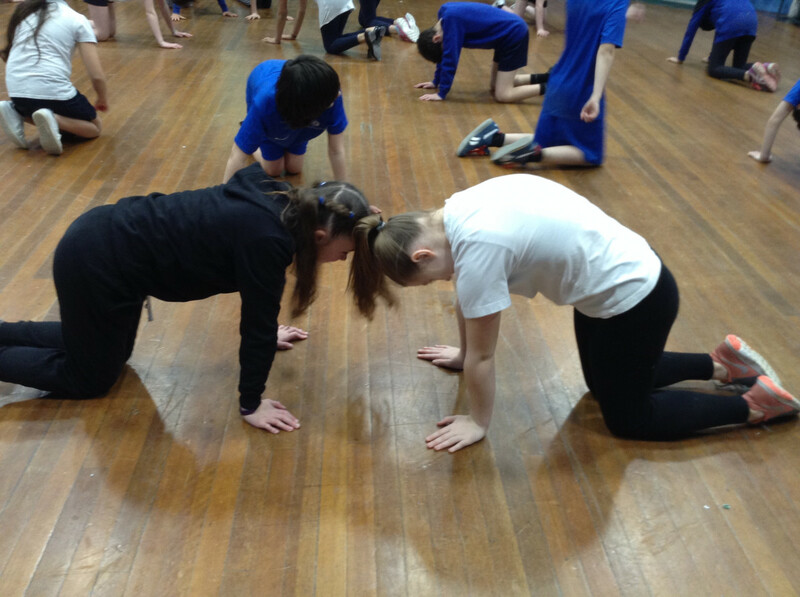 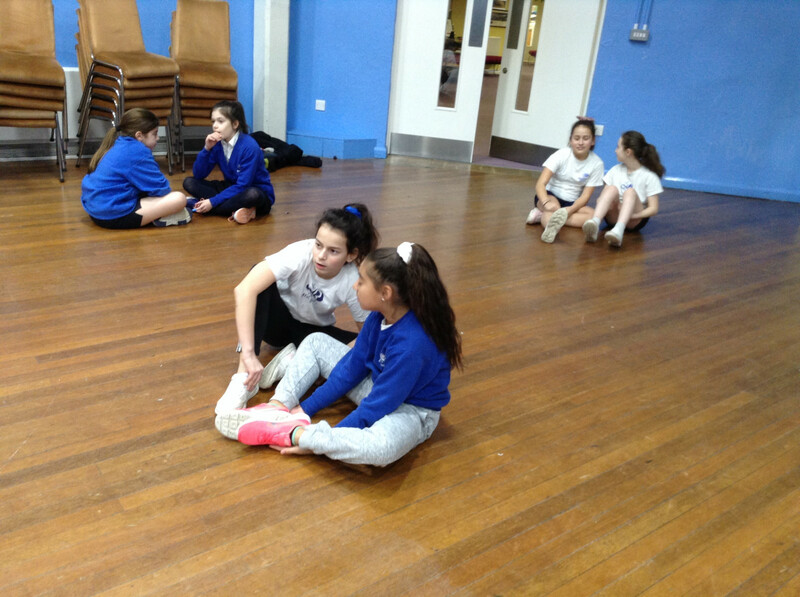 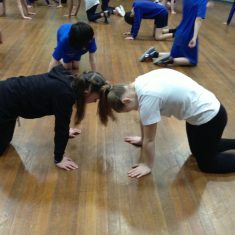 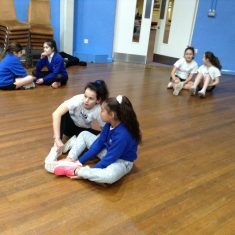 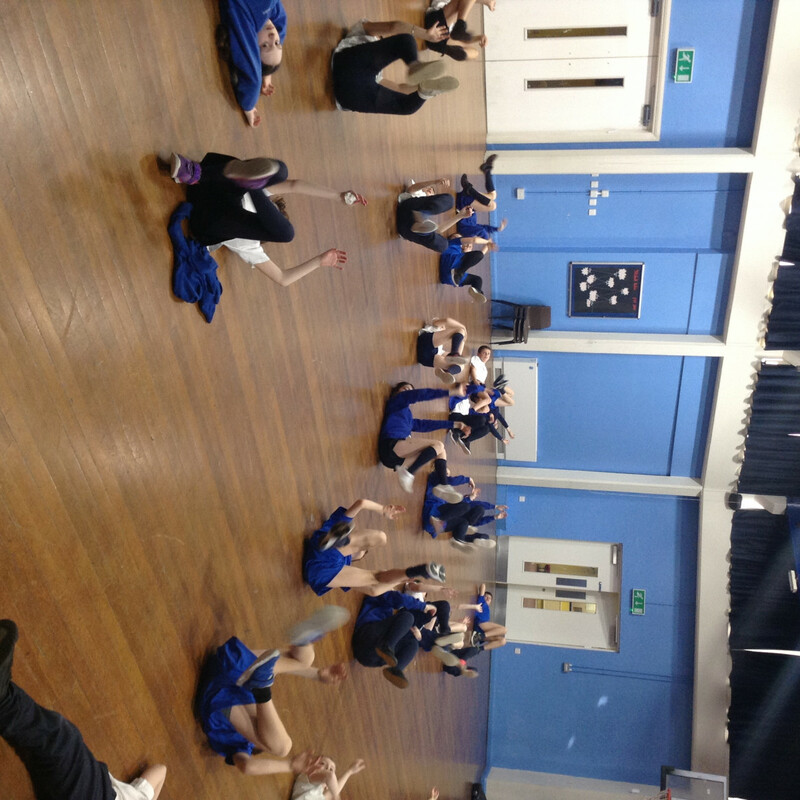 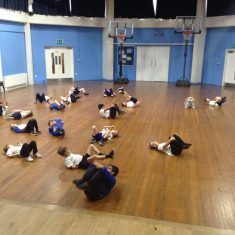 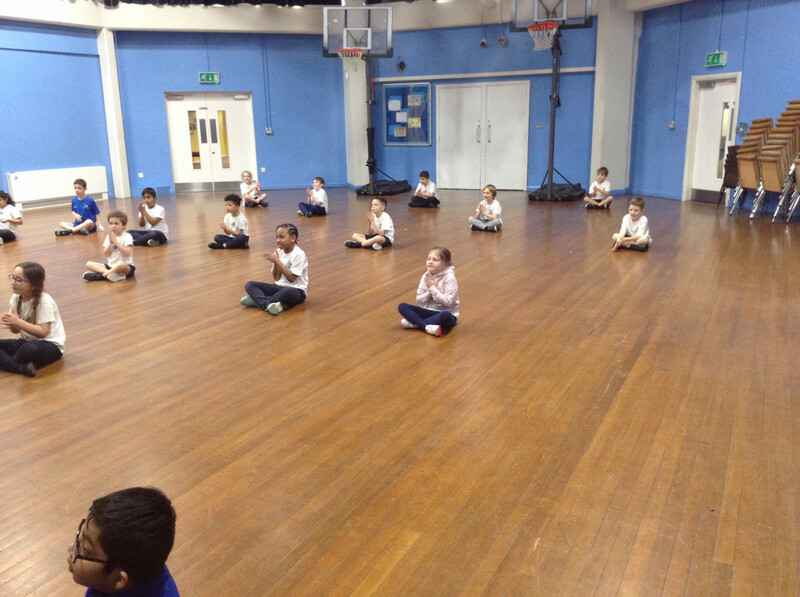 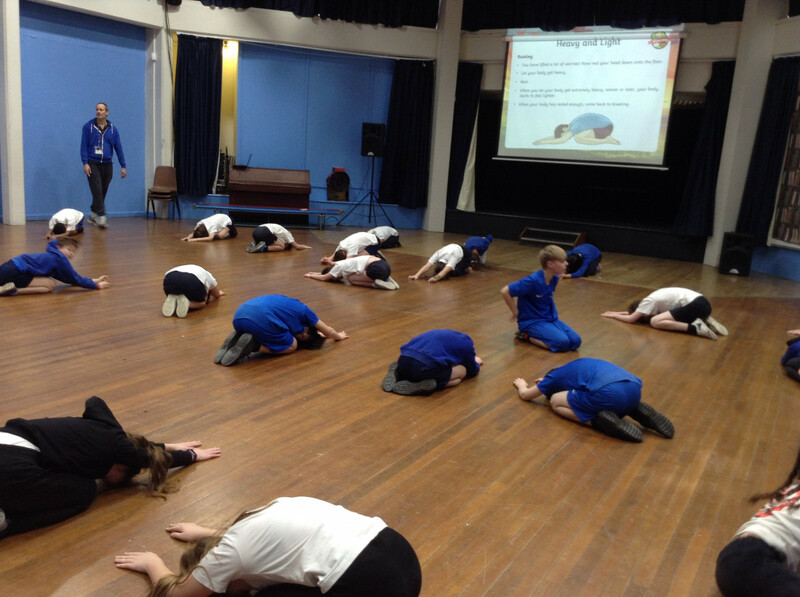 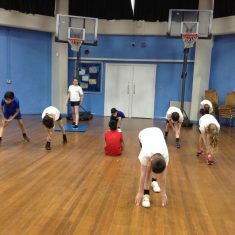 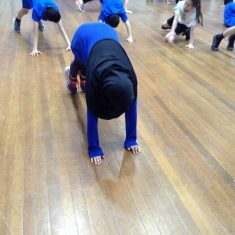 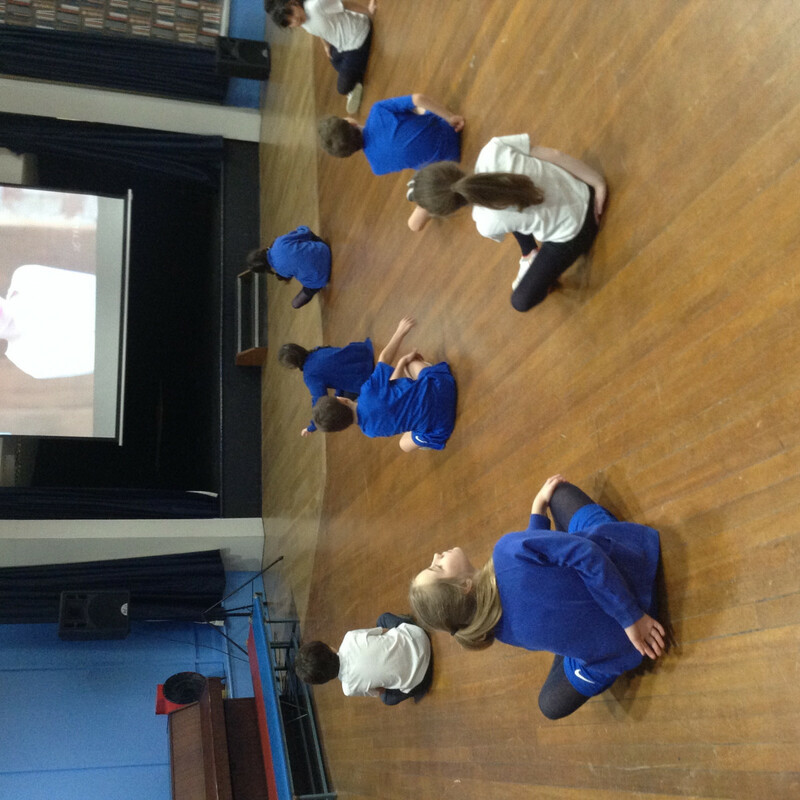 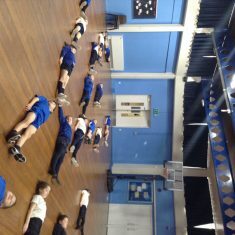 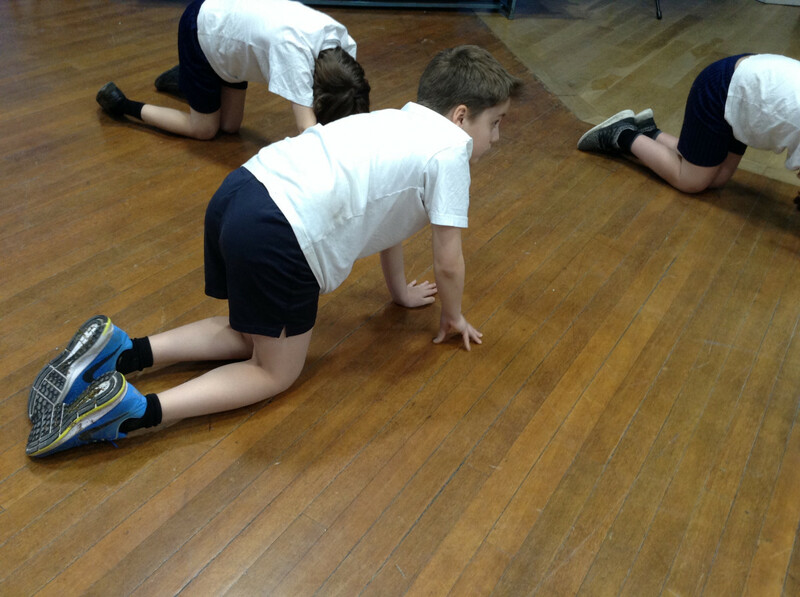 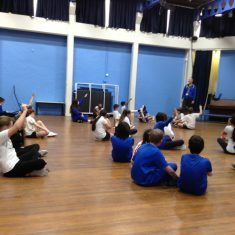 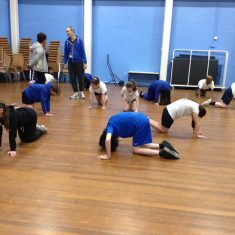 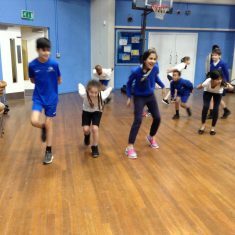 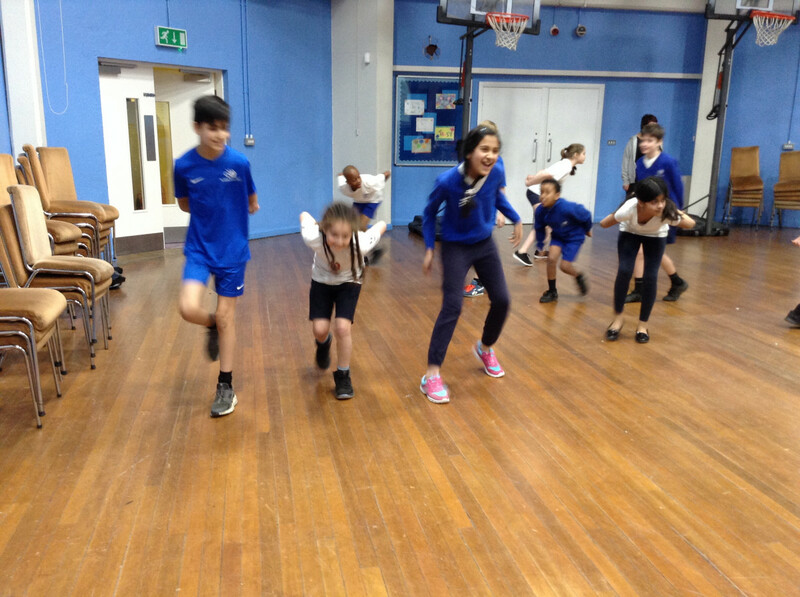 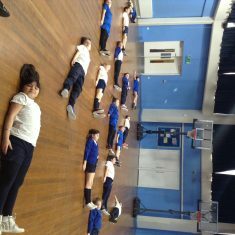 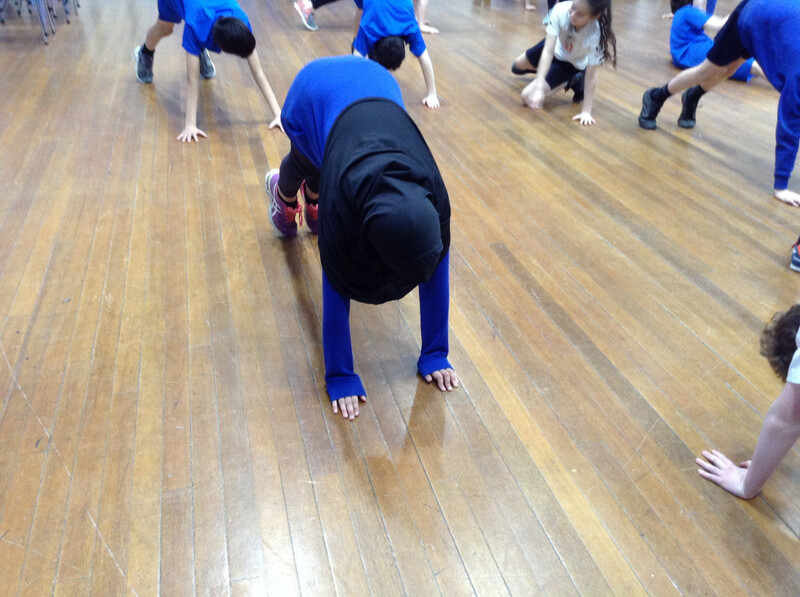 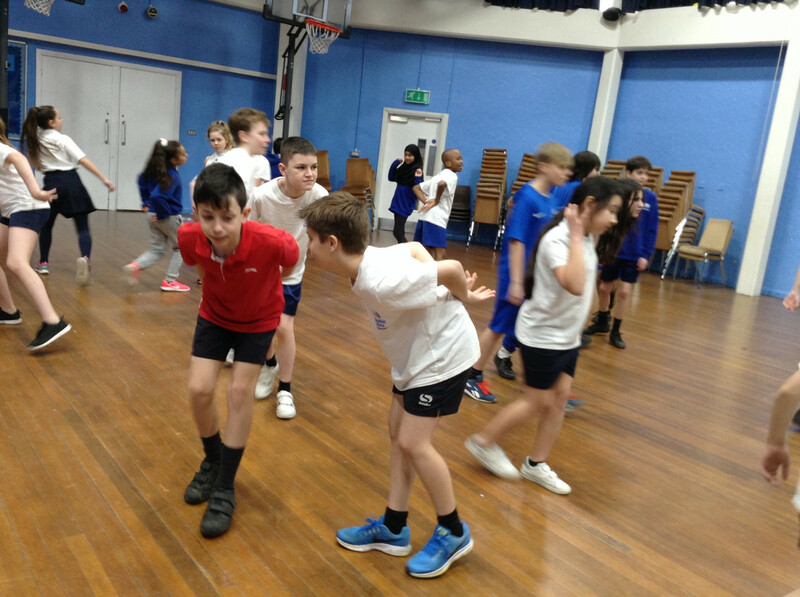 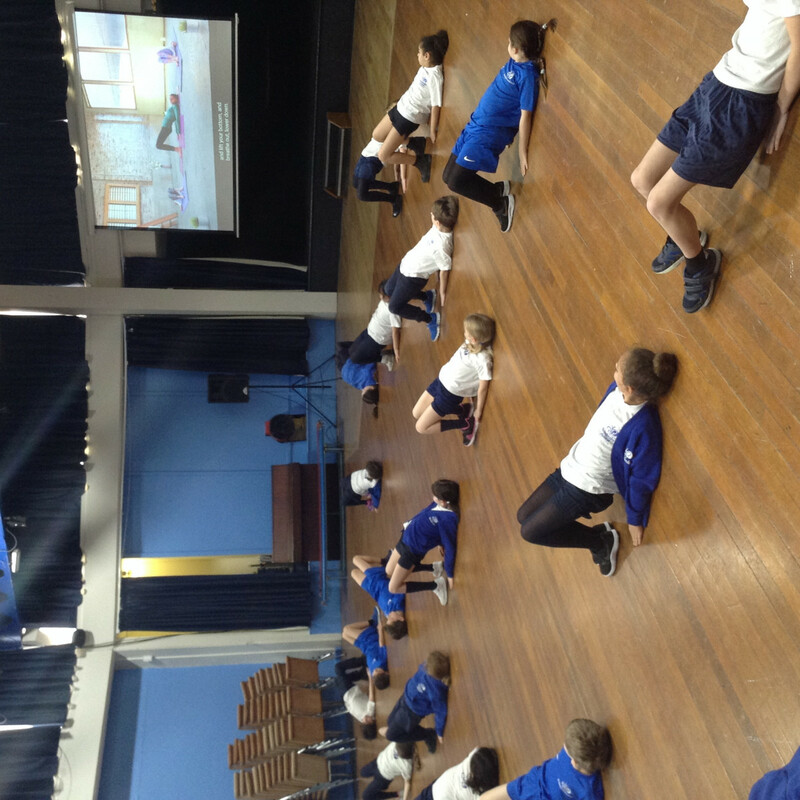 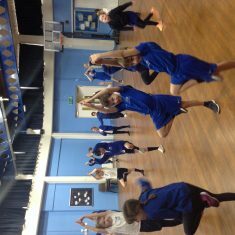 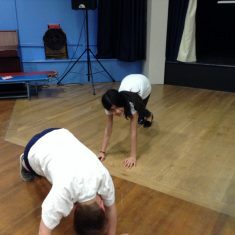 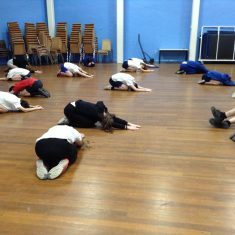 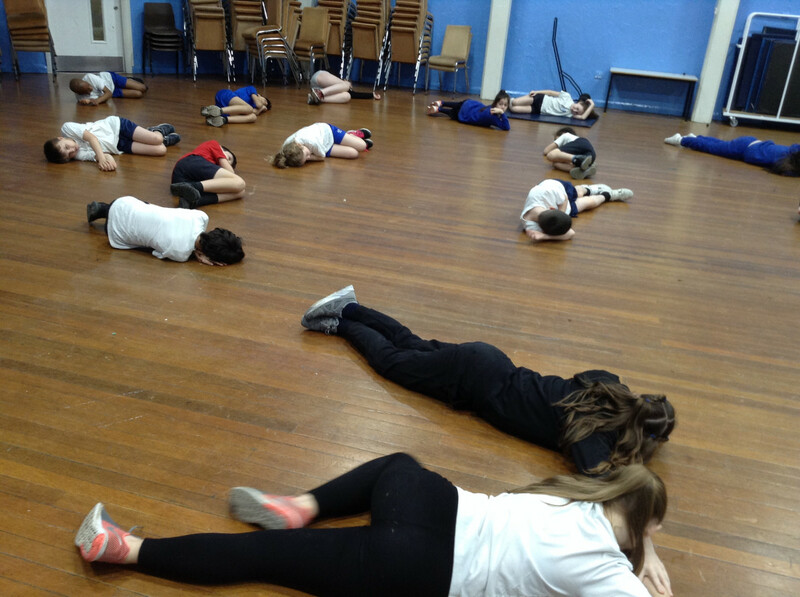 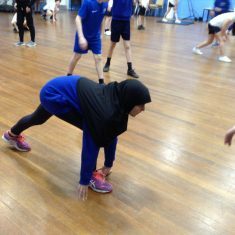 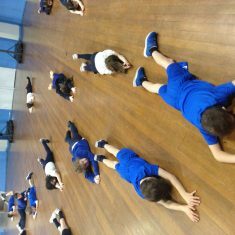 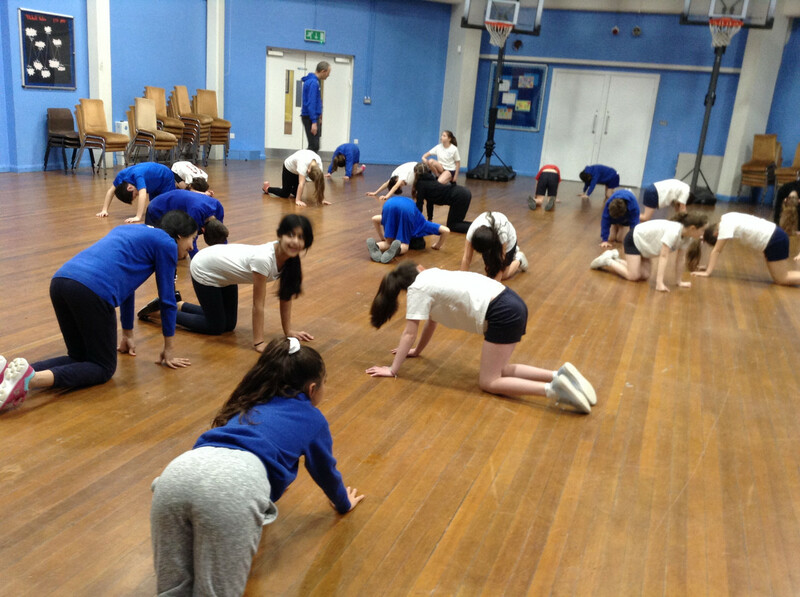 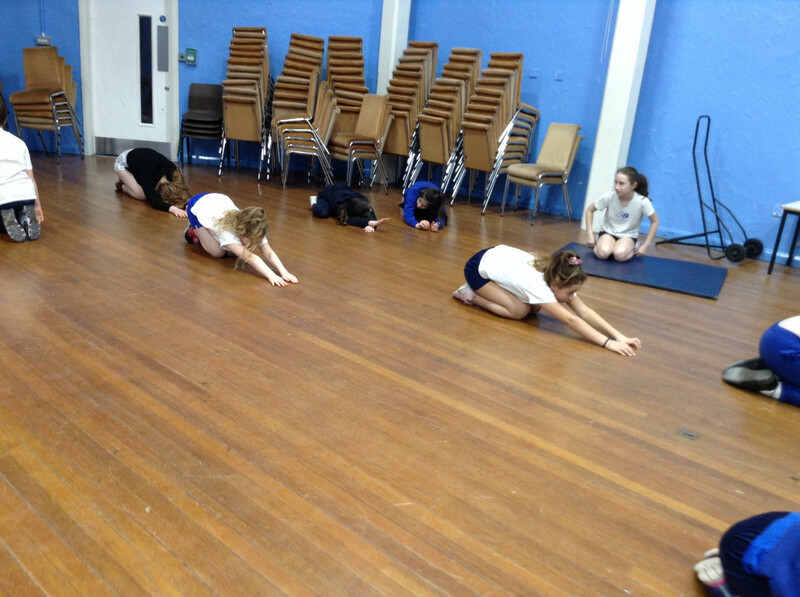 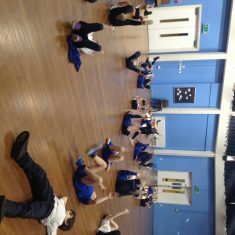 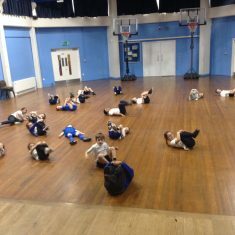 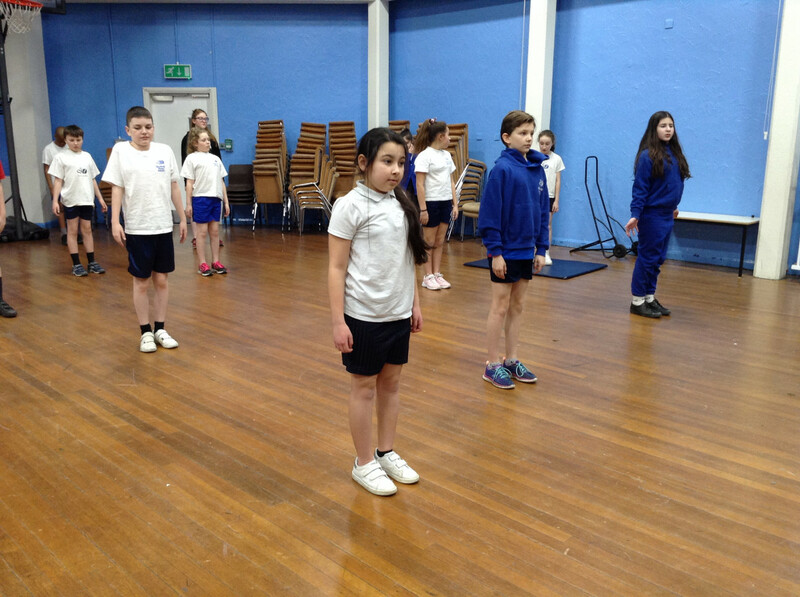 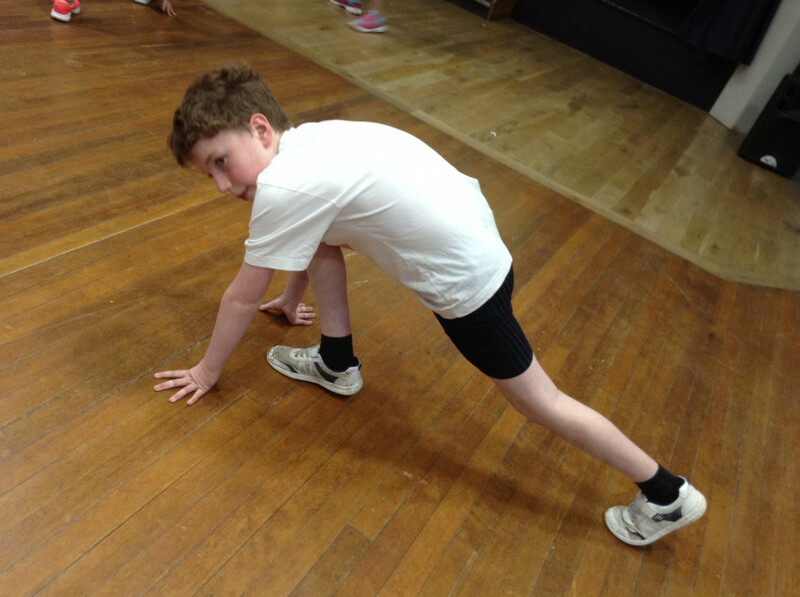 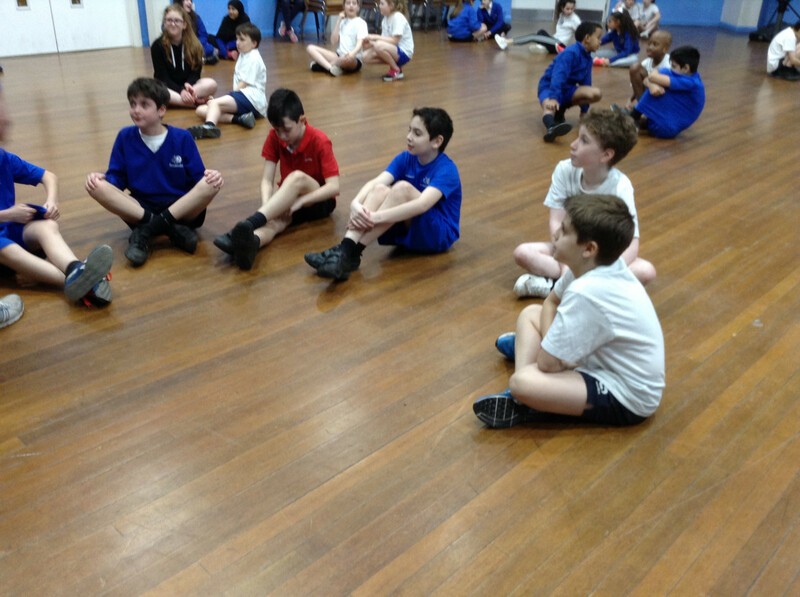 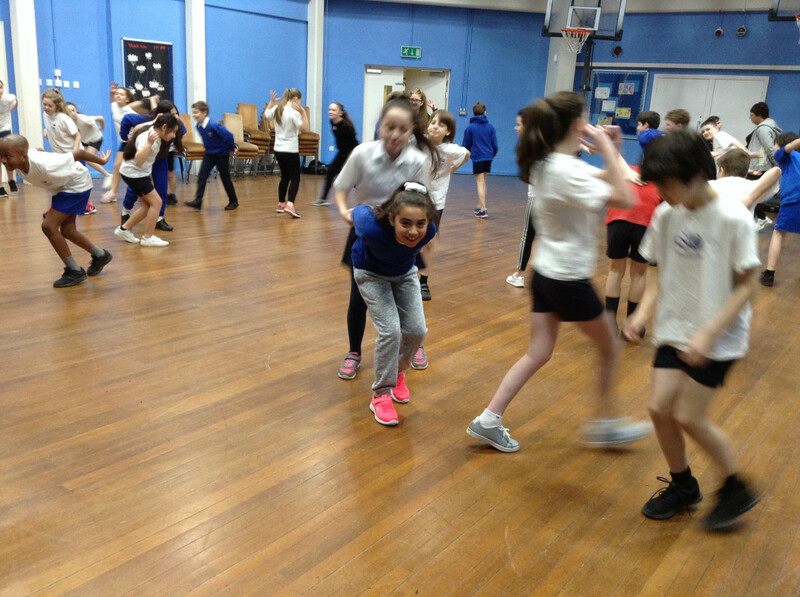 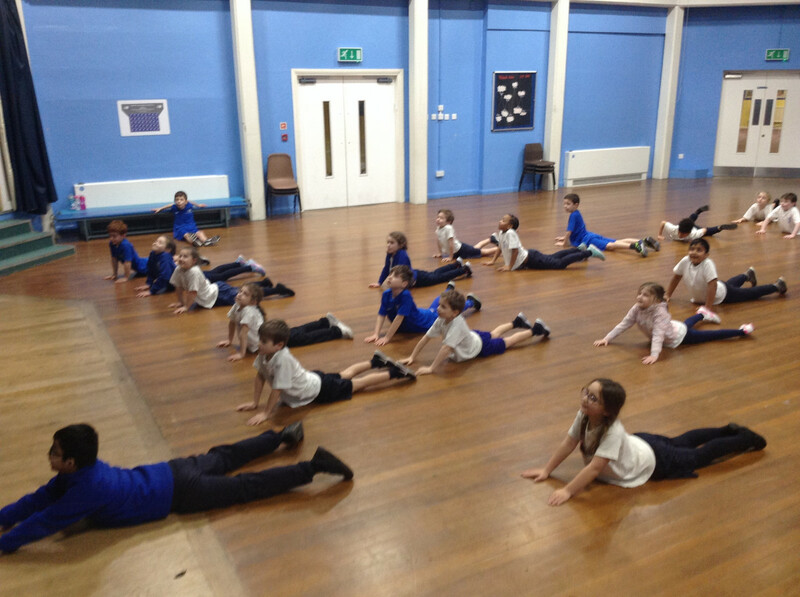 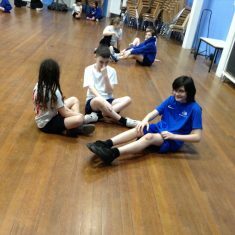 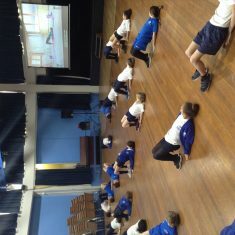 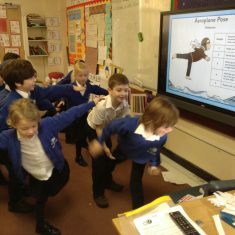 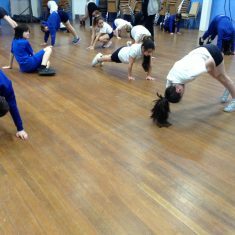 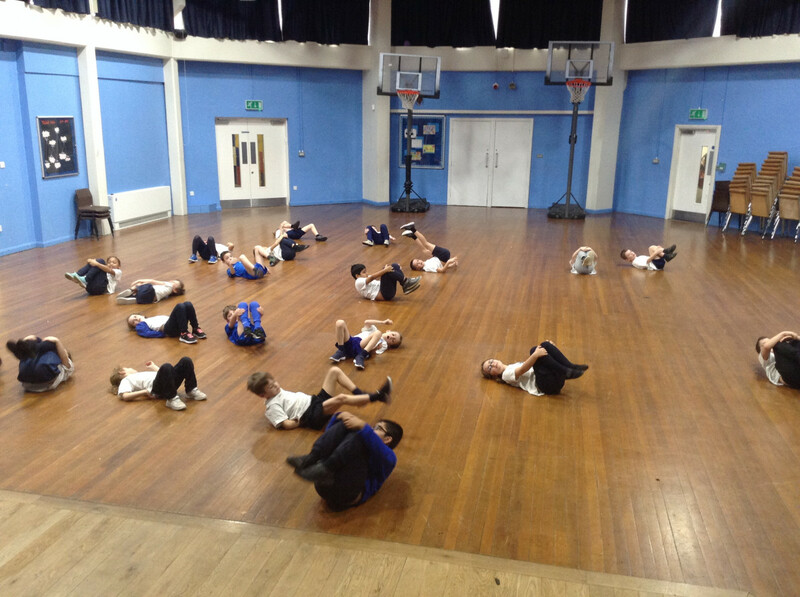 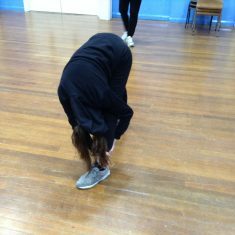 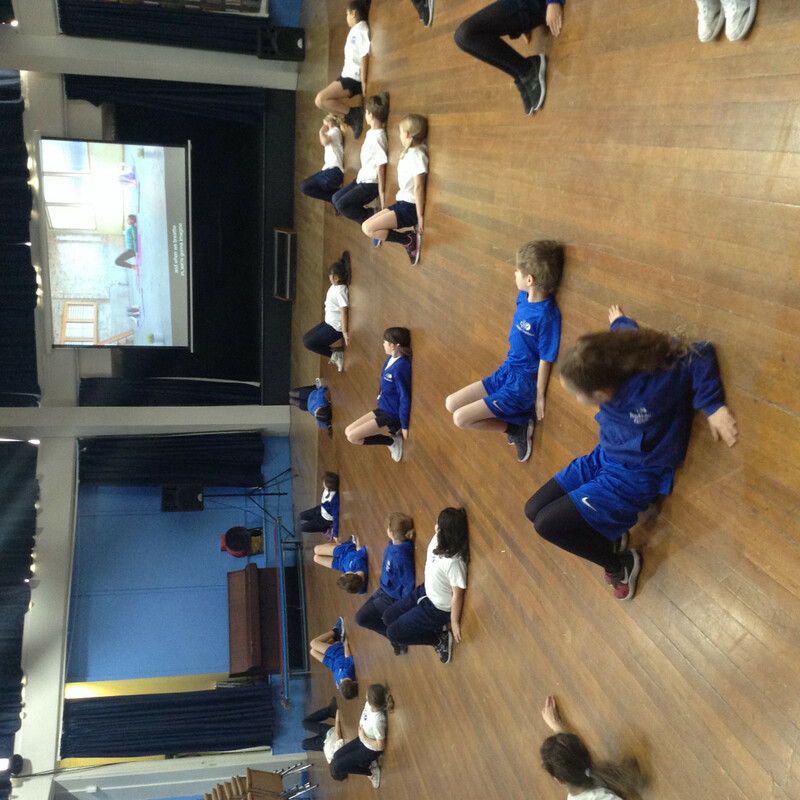 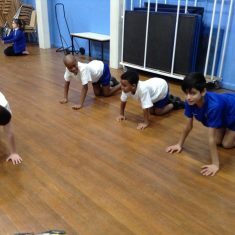 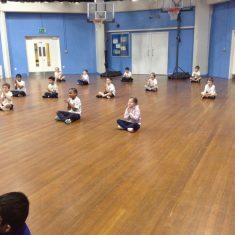 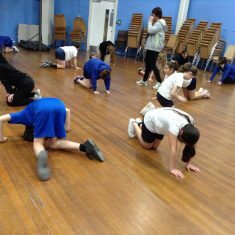 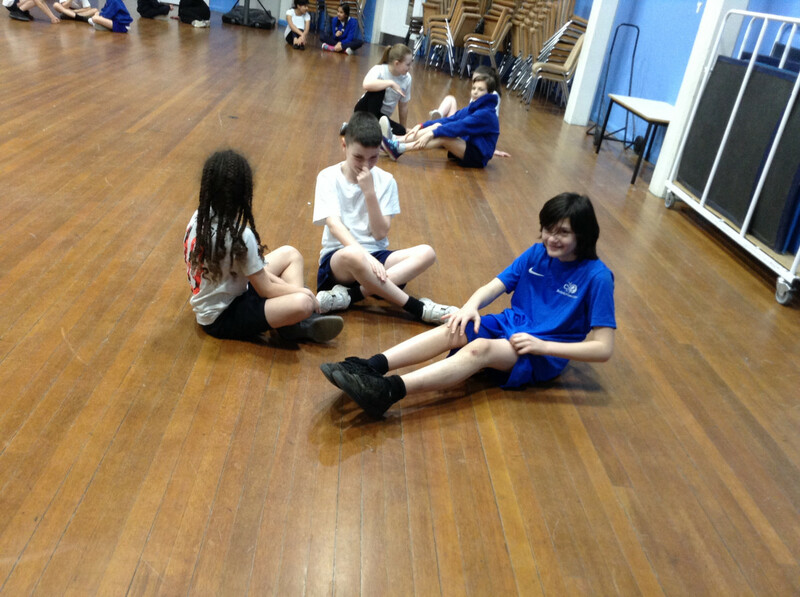 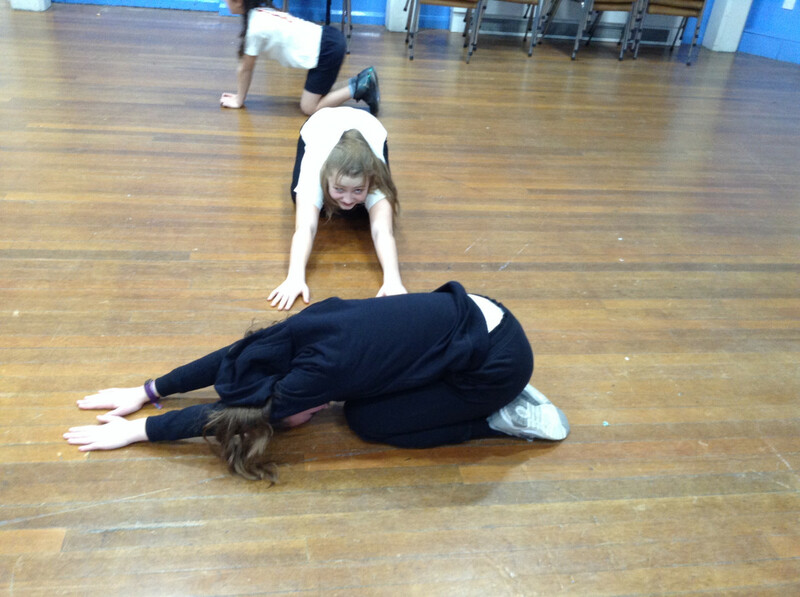 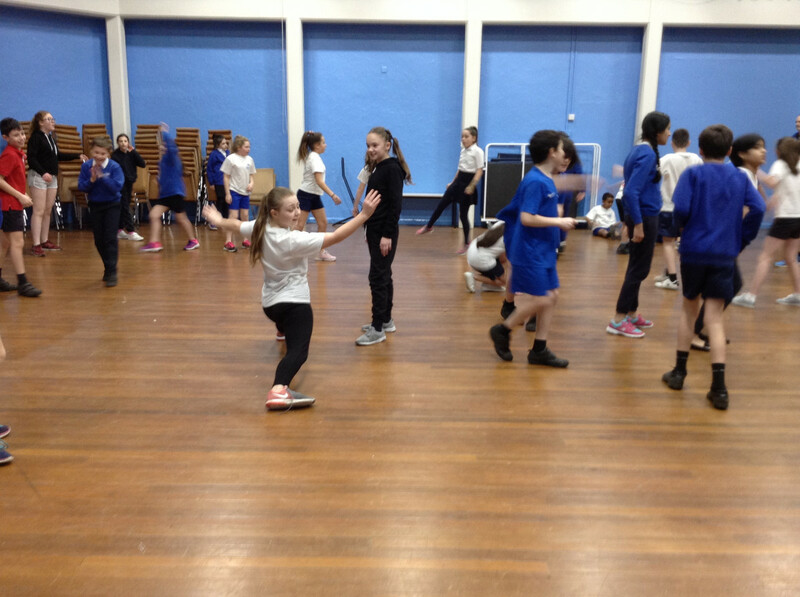 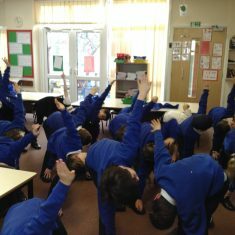 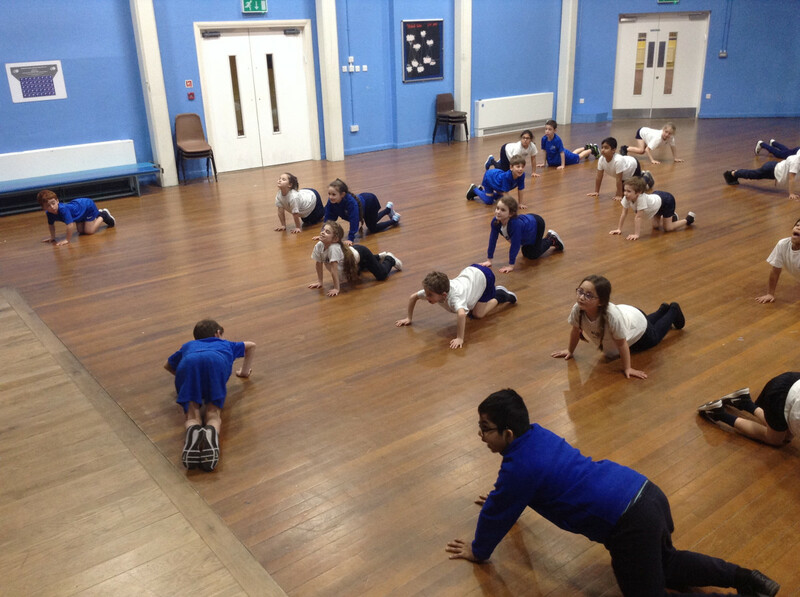 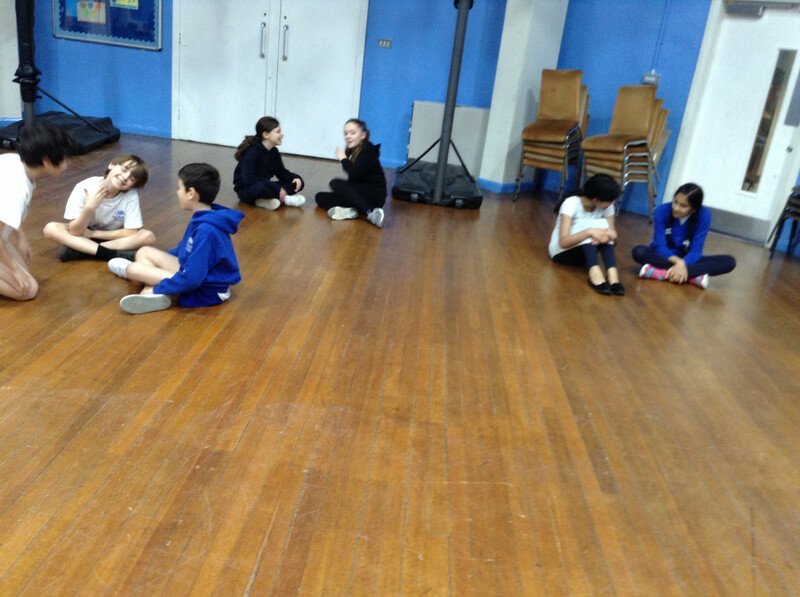 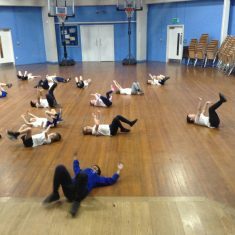 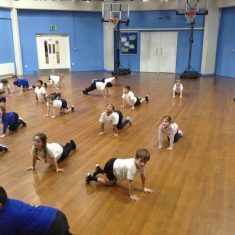 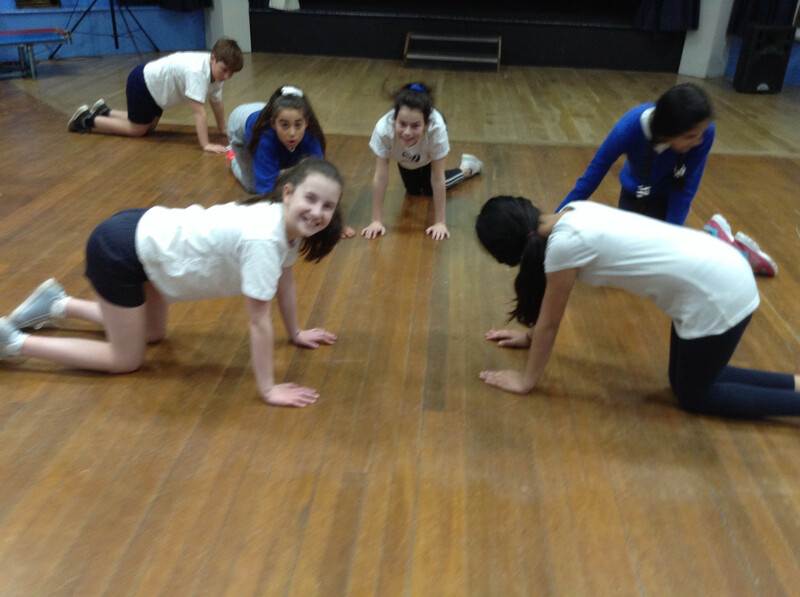 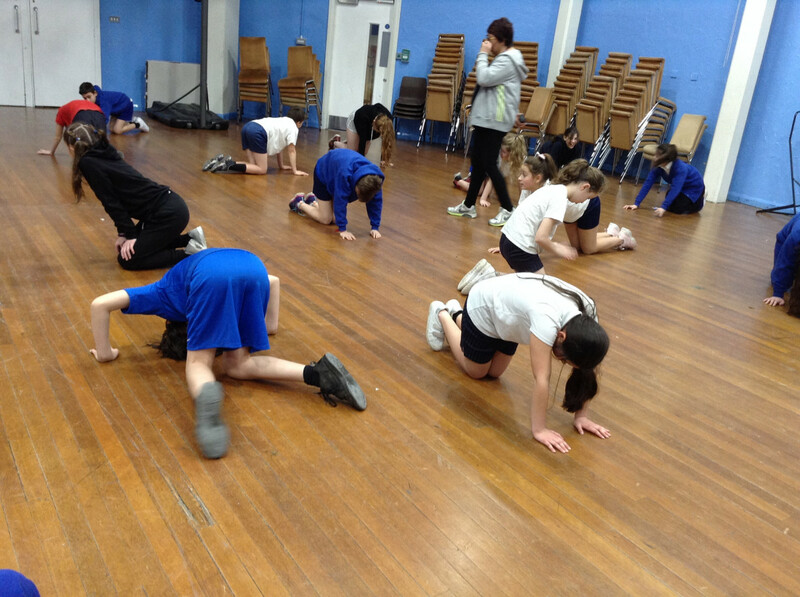 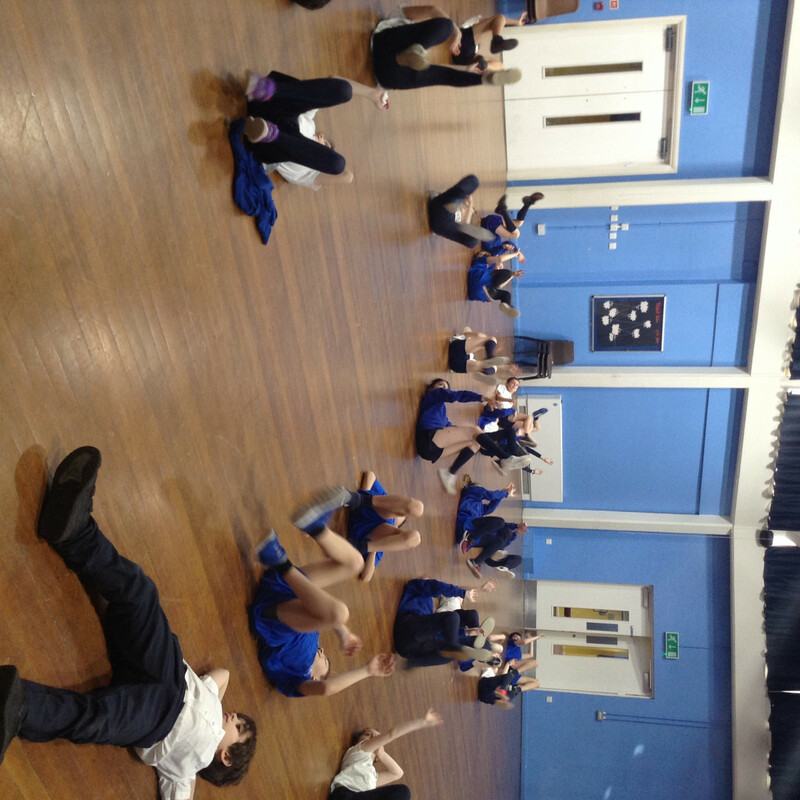 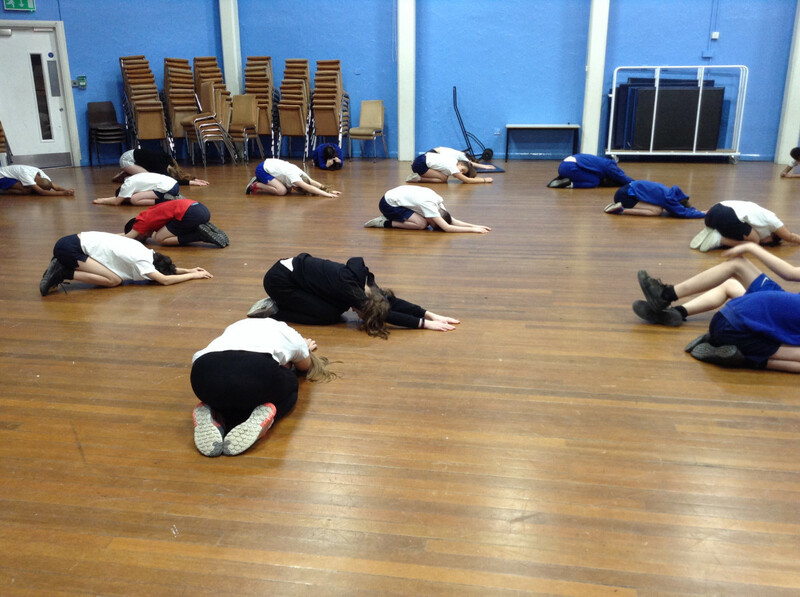 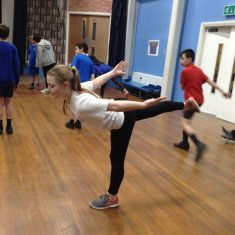 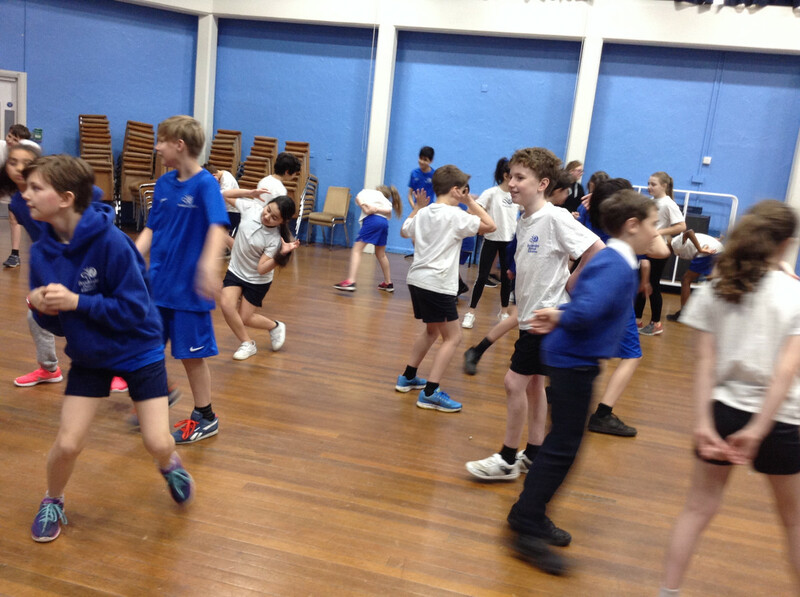 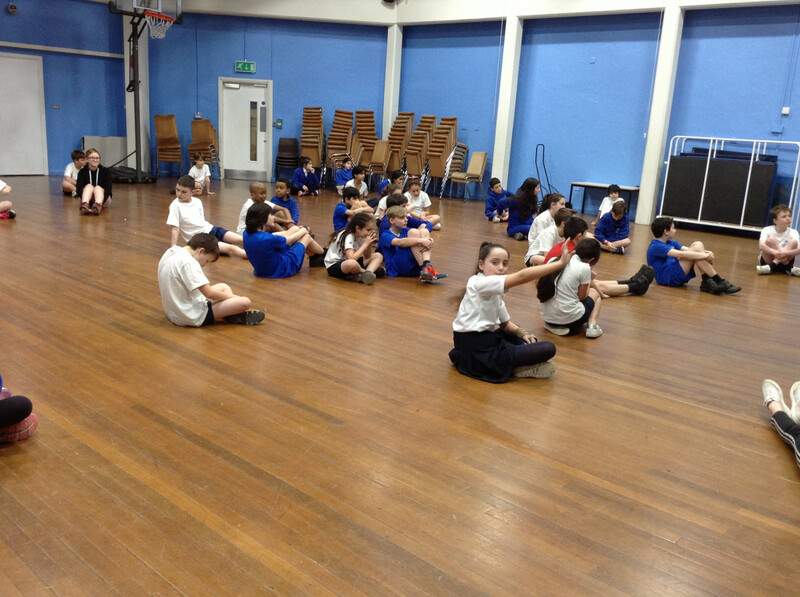 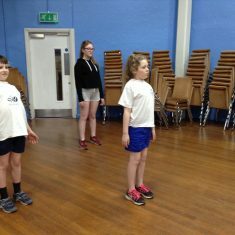 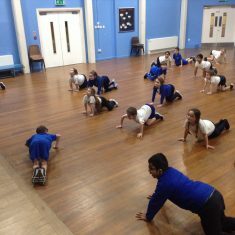 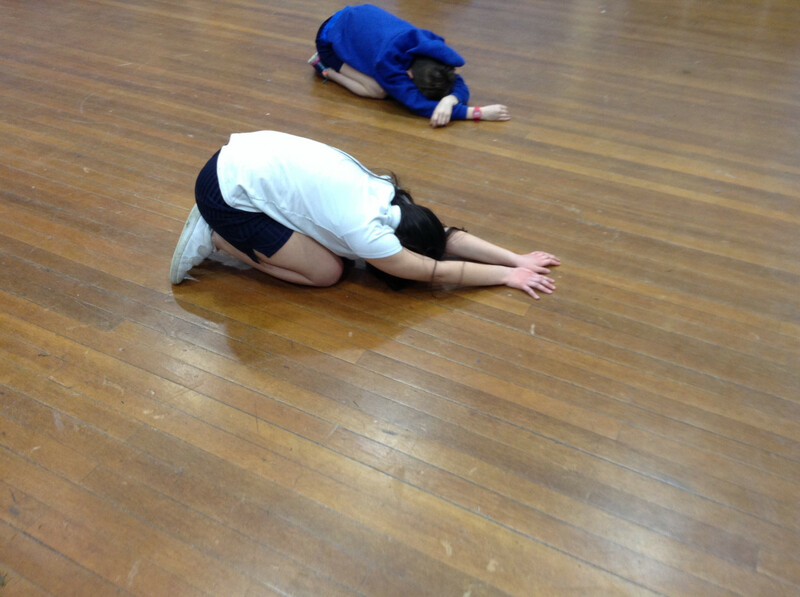 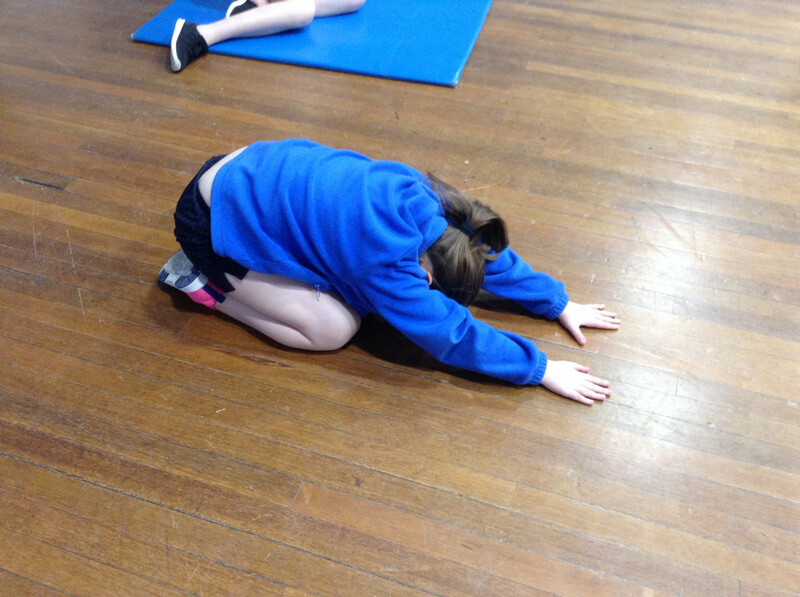 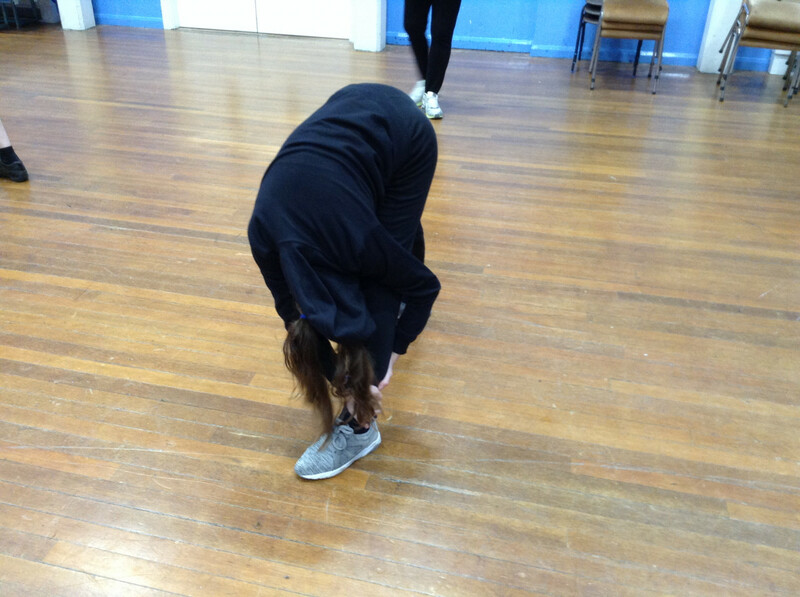 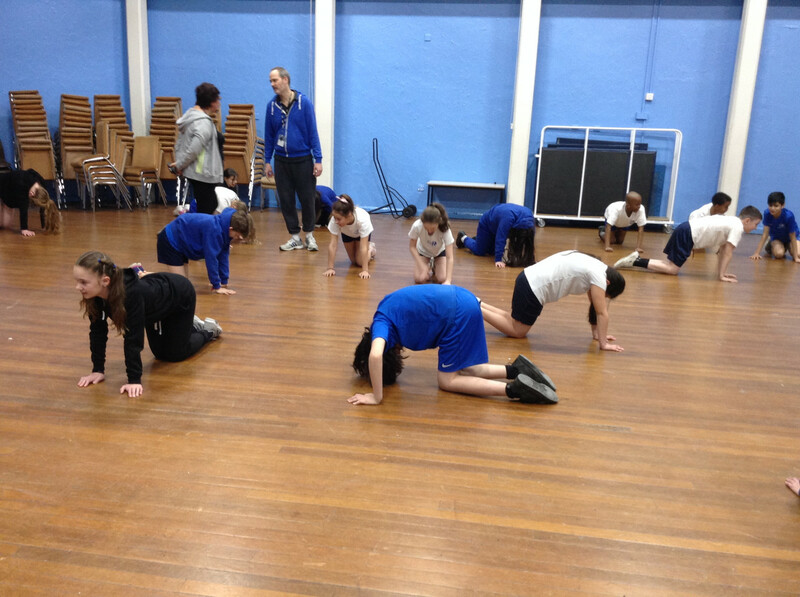 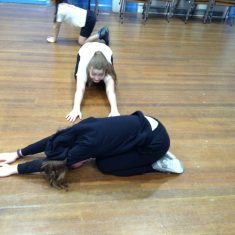 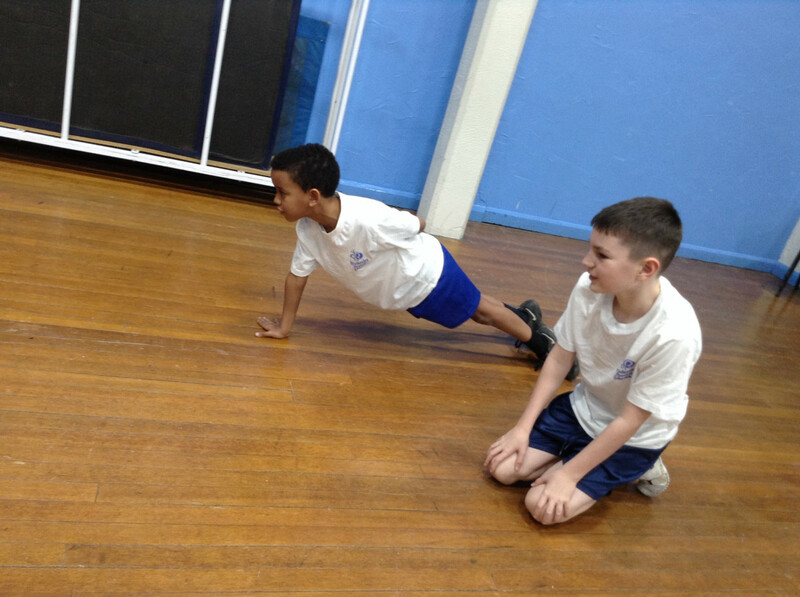 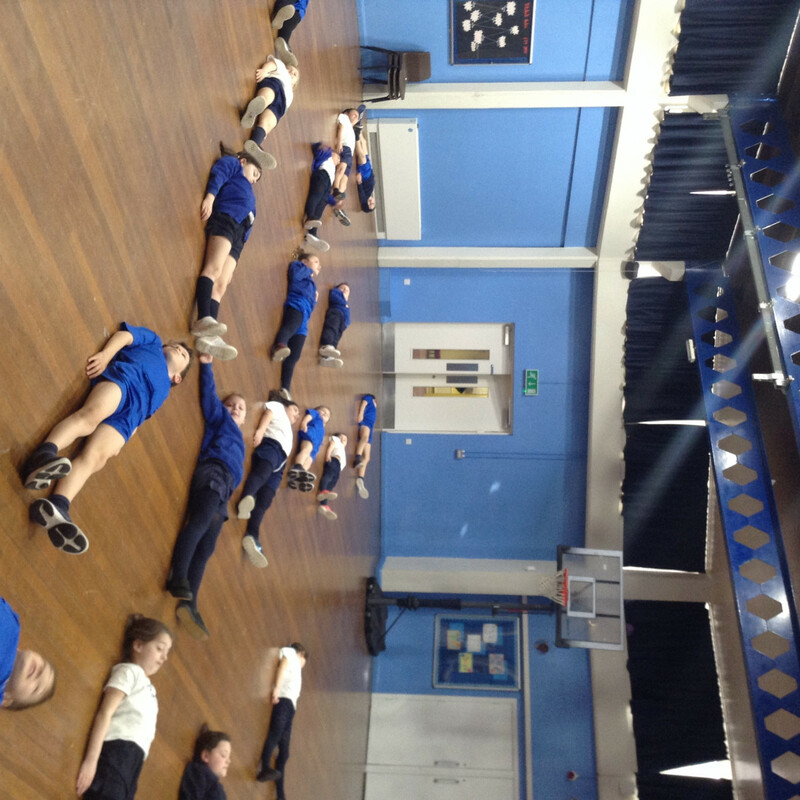 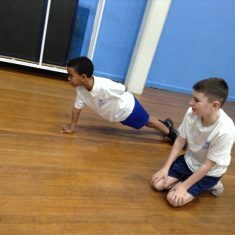 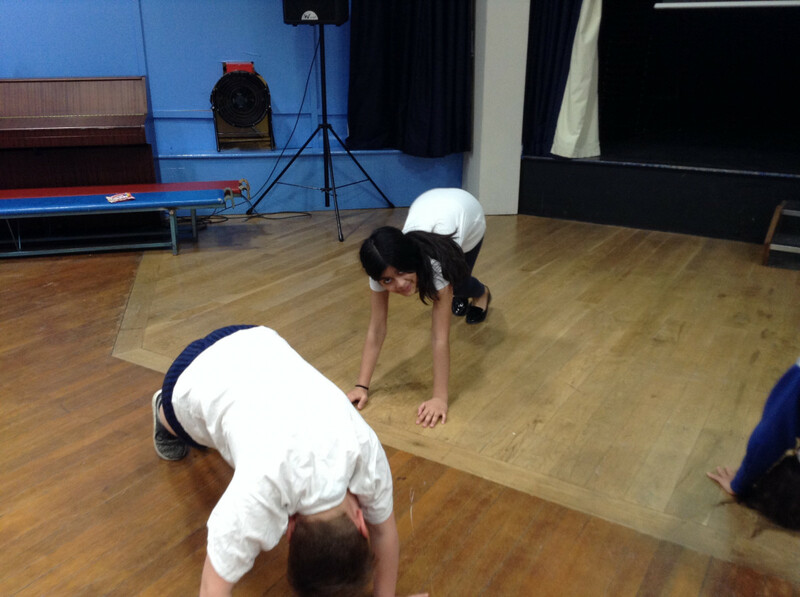 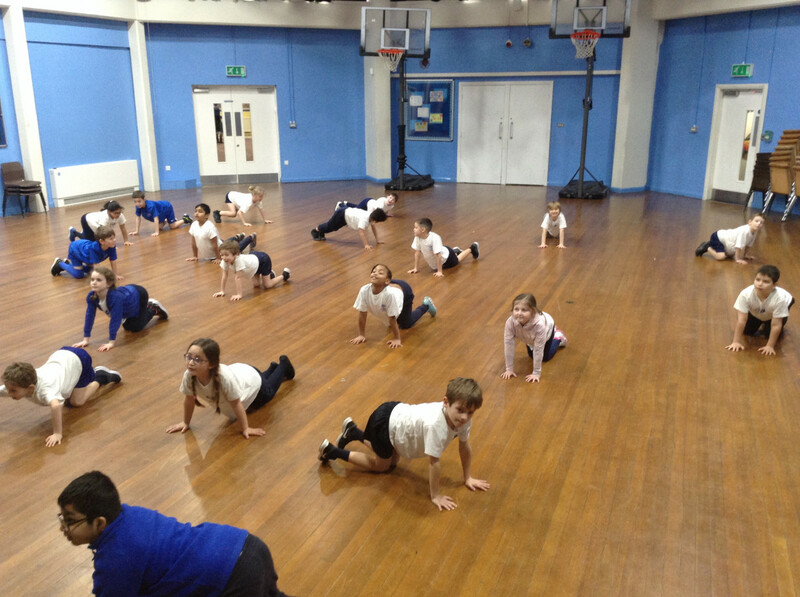 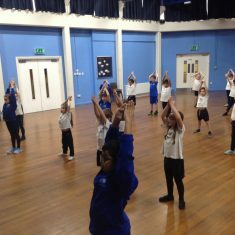 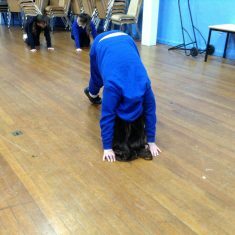 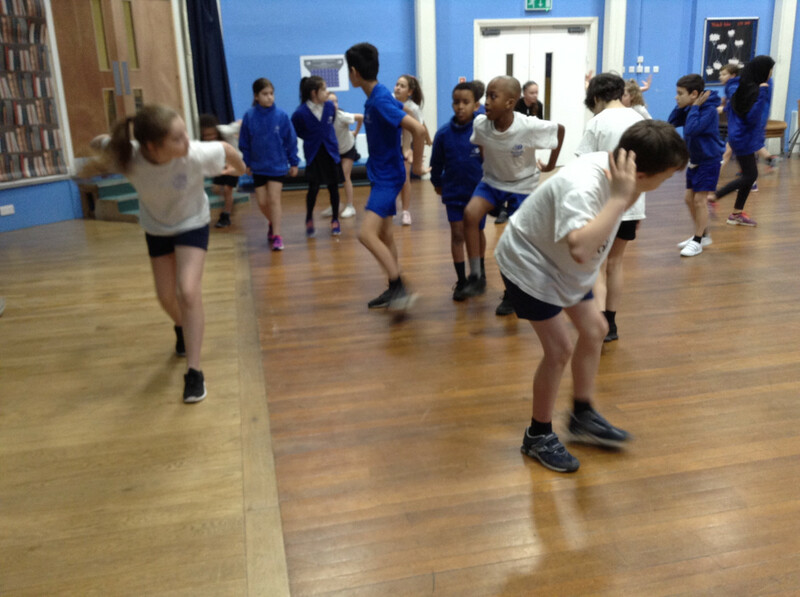 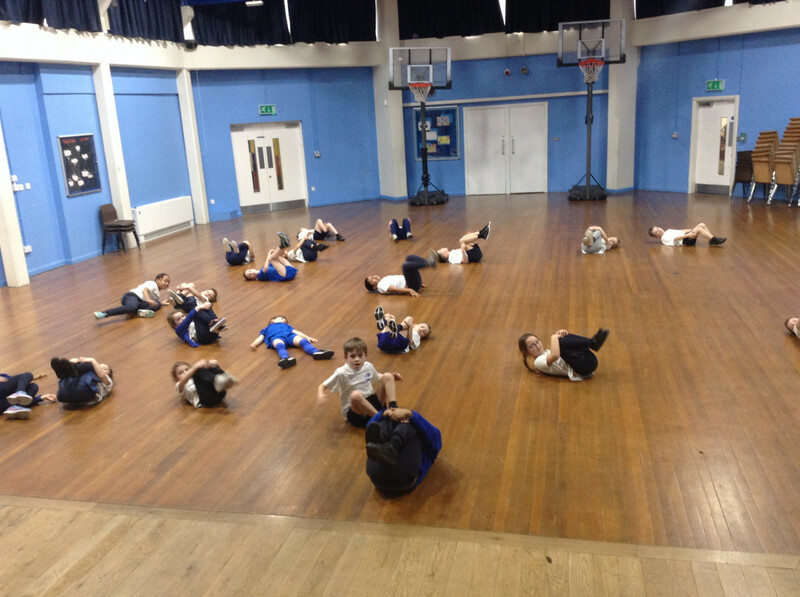 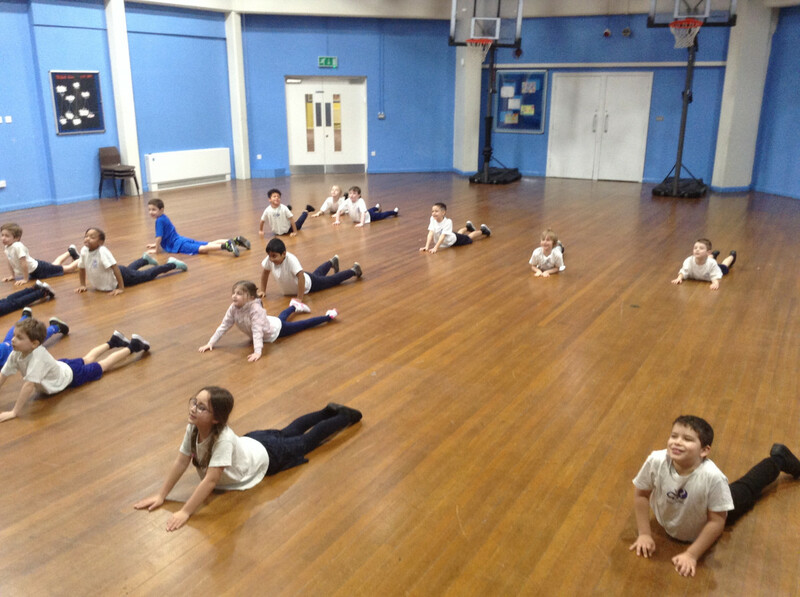 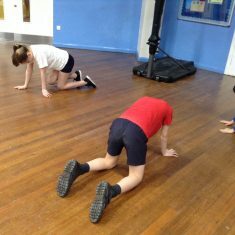 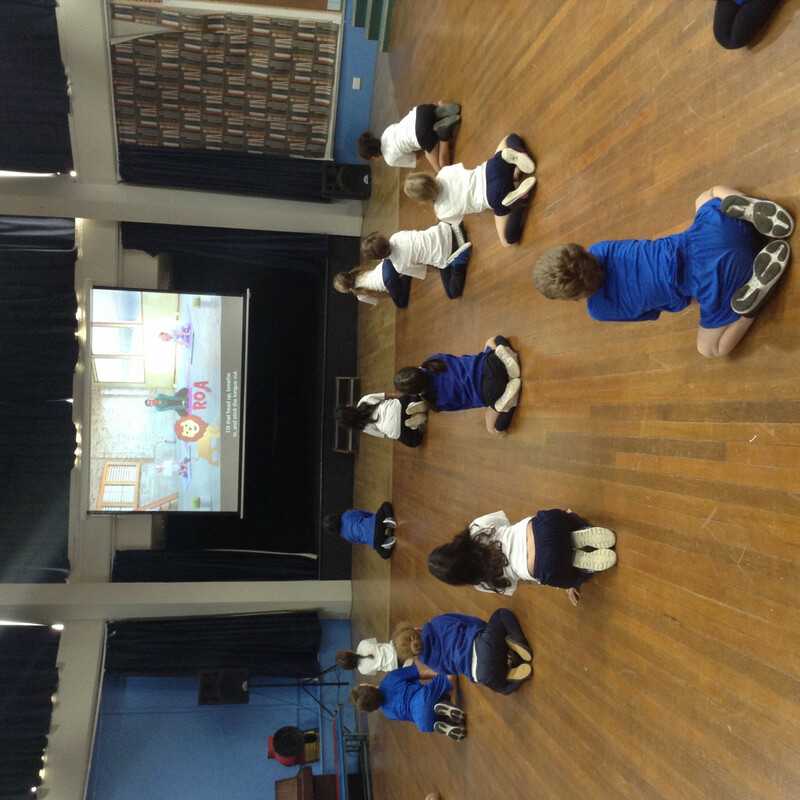 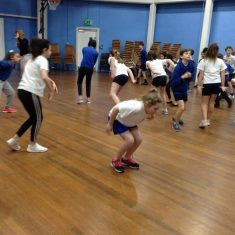 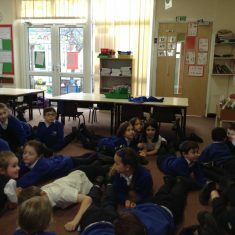 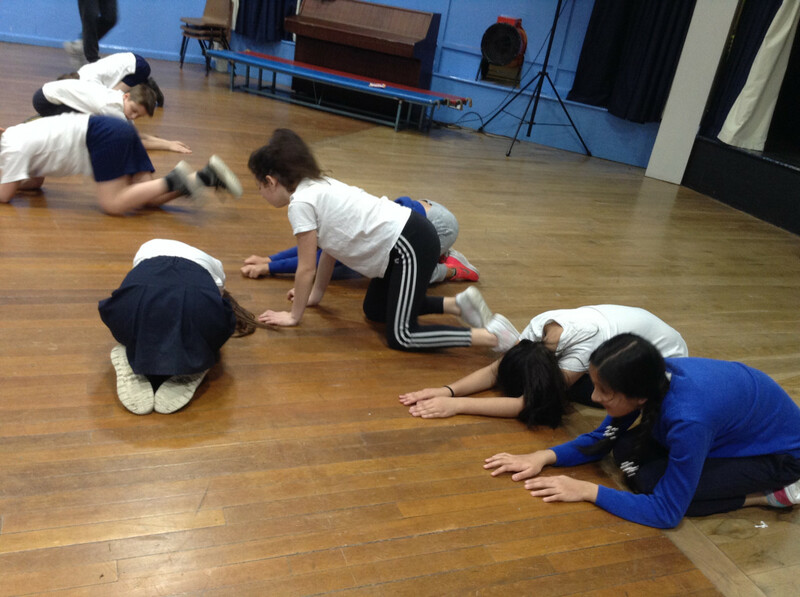 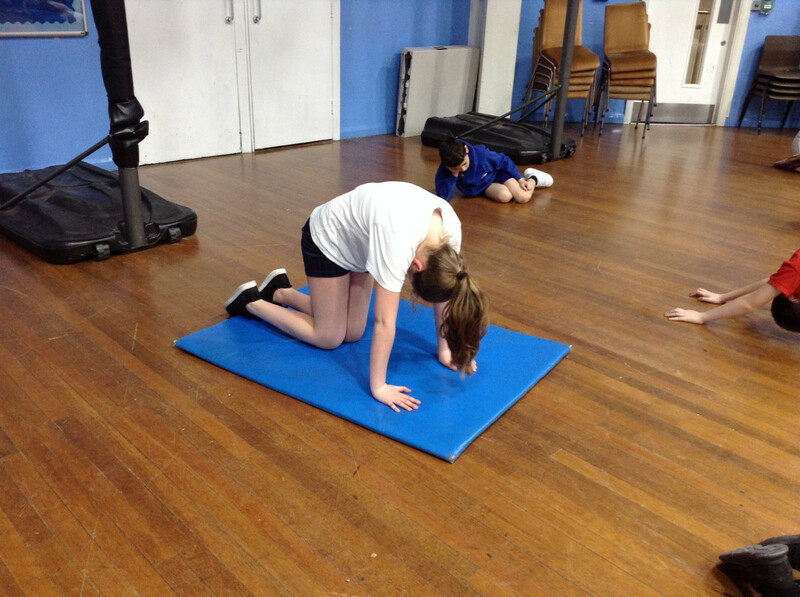 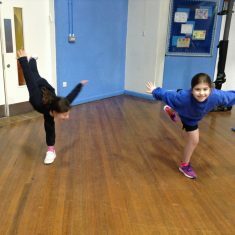 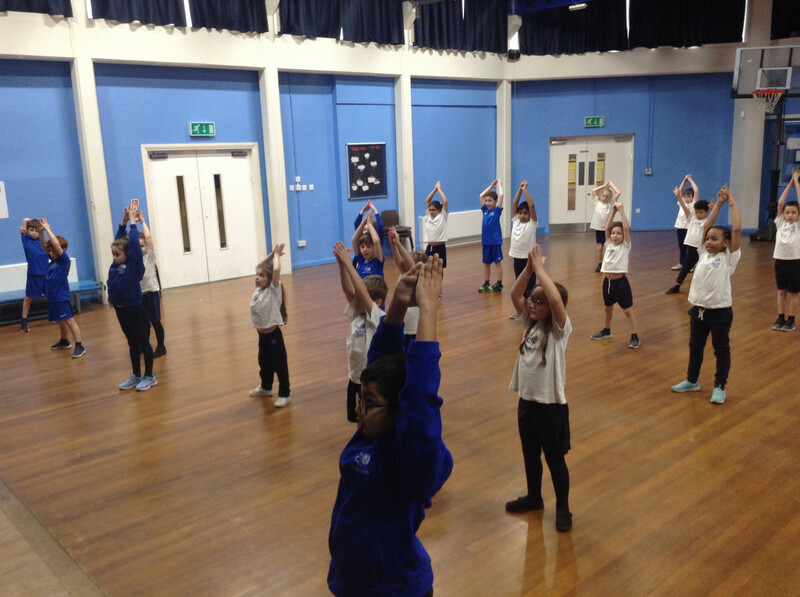 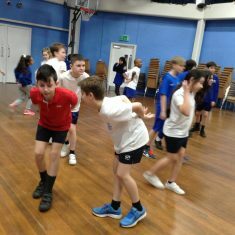 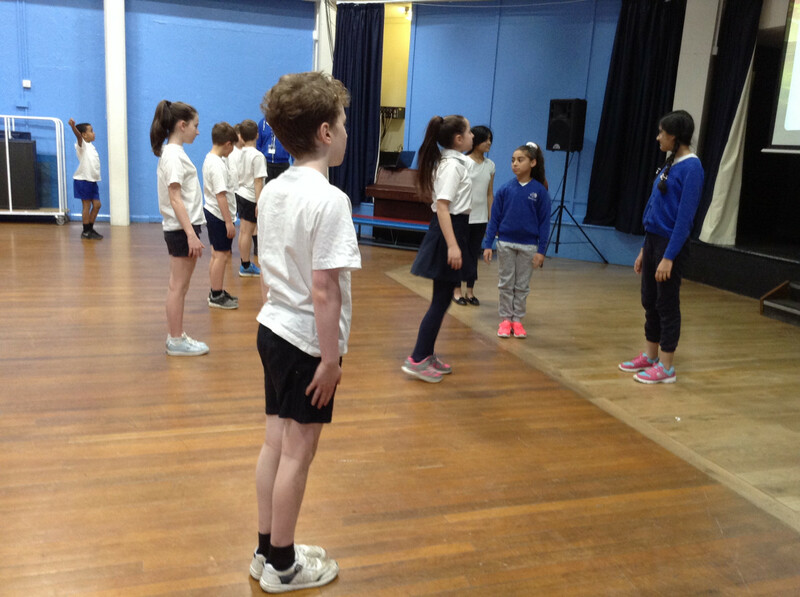 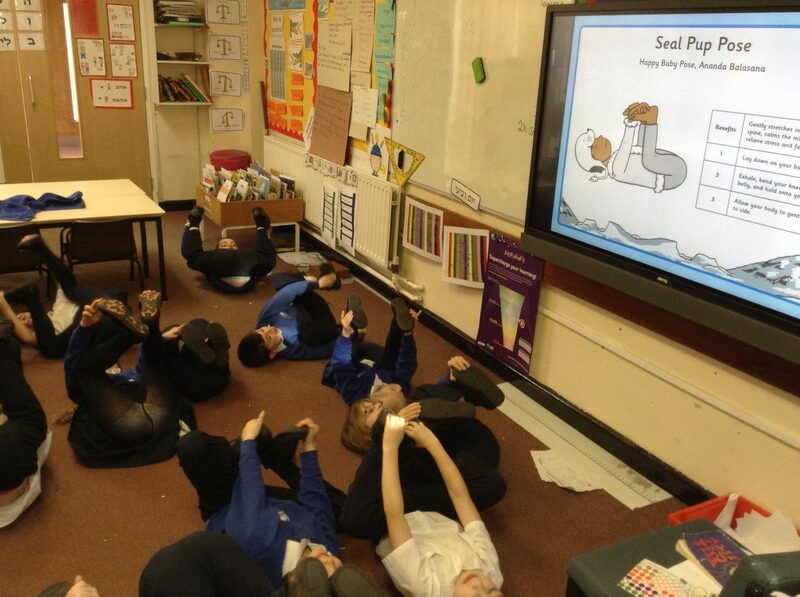 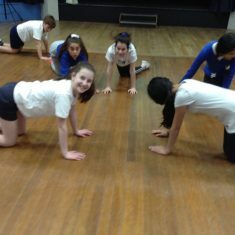 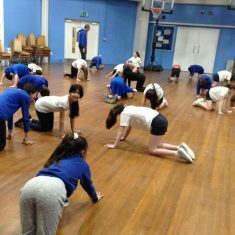 The children enjoyed doing yoga in their PE lesson and discussing how it made us feel. 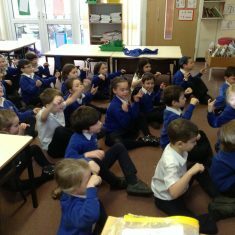 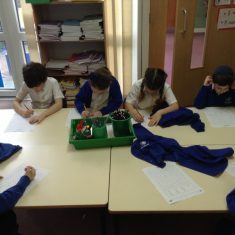 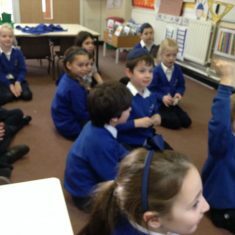 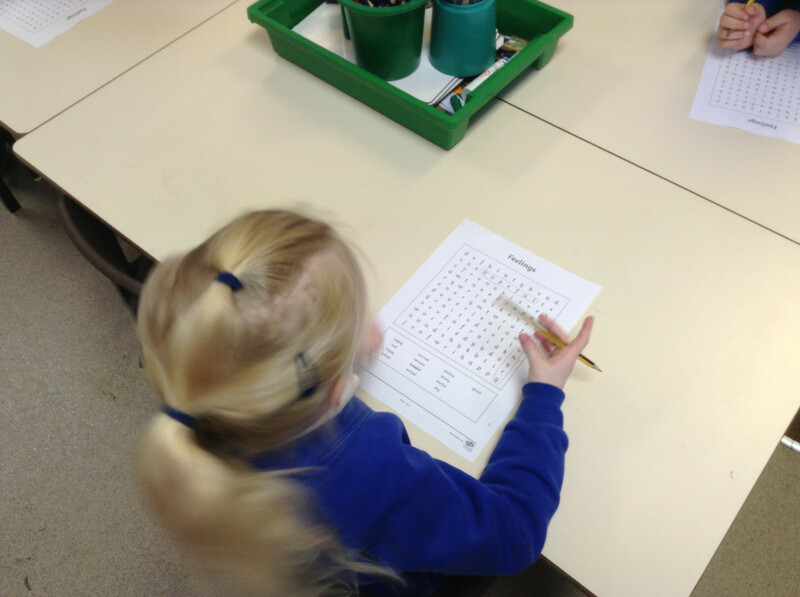 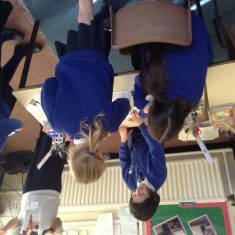 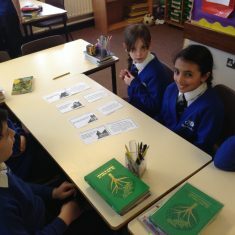 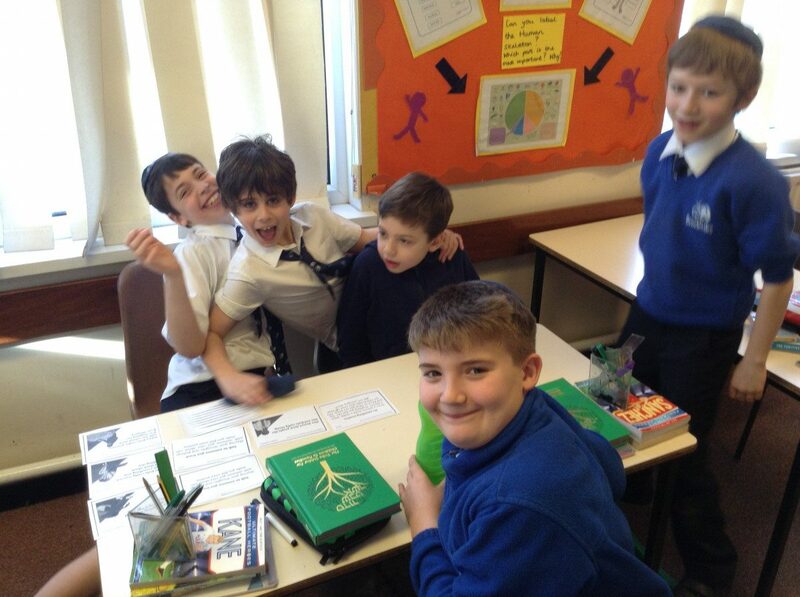 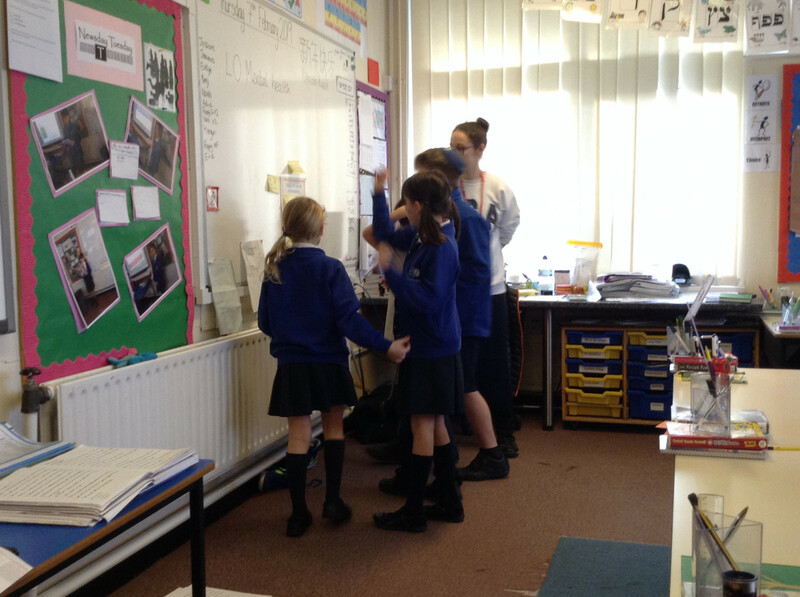 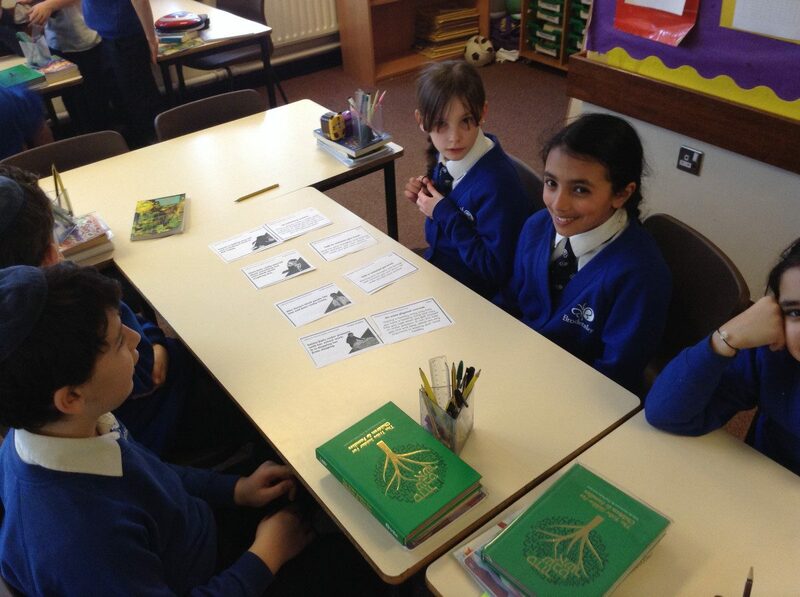 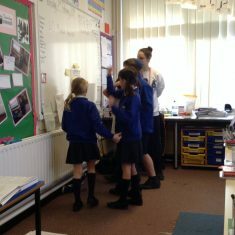 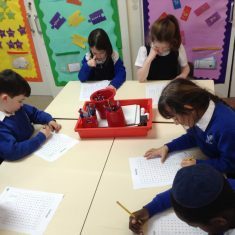 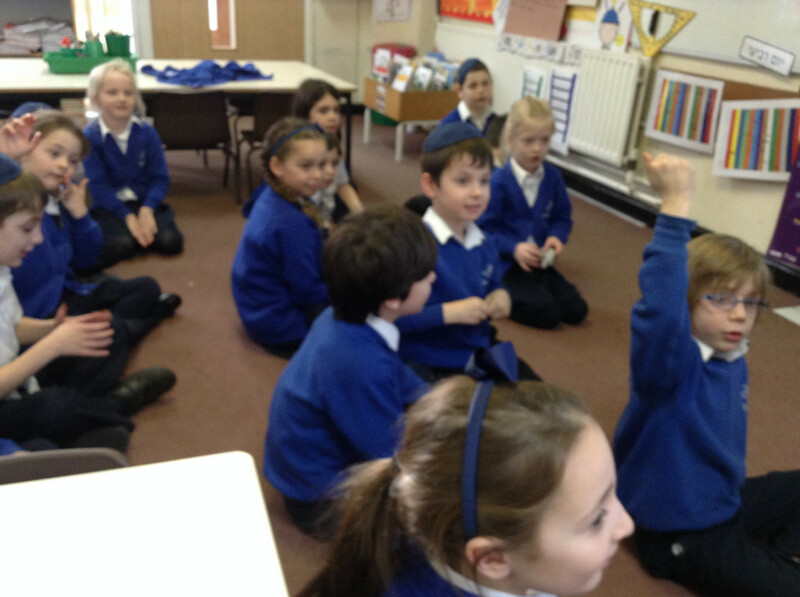 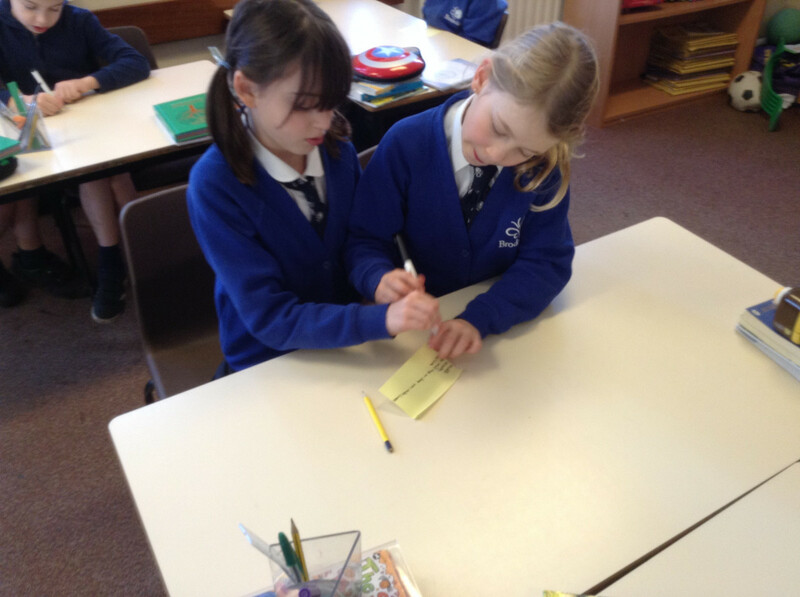 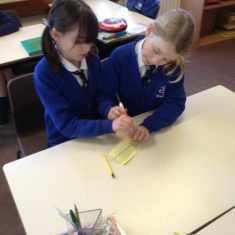 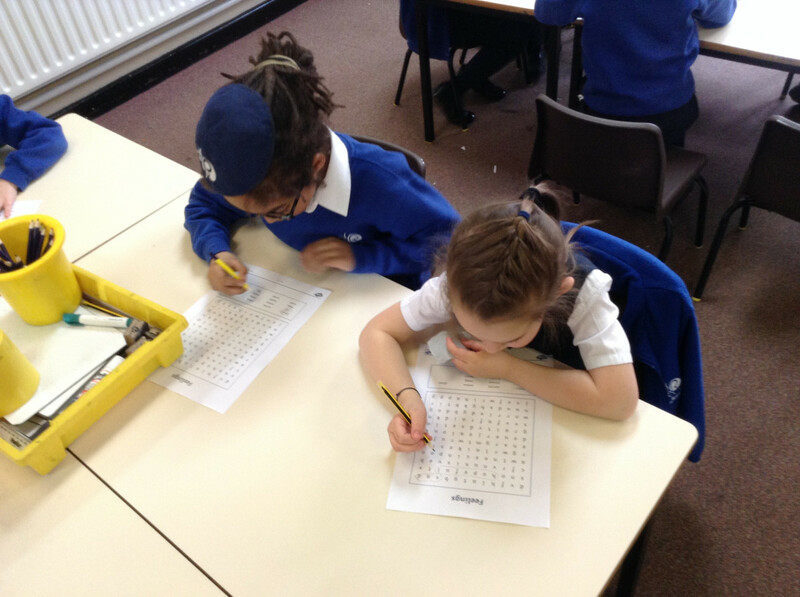 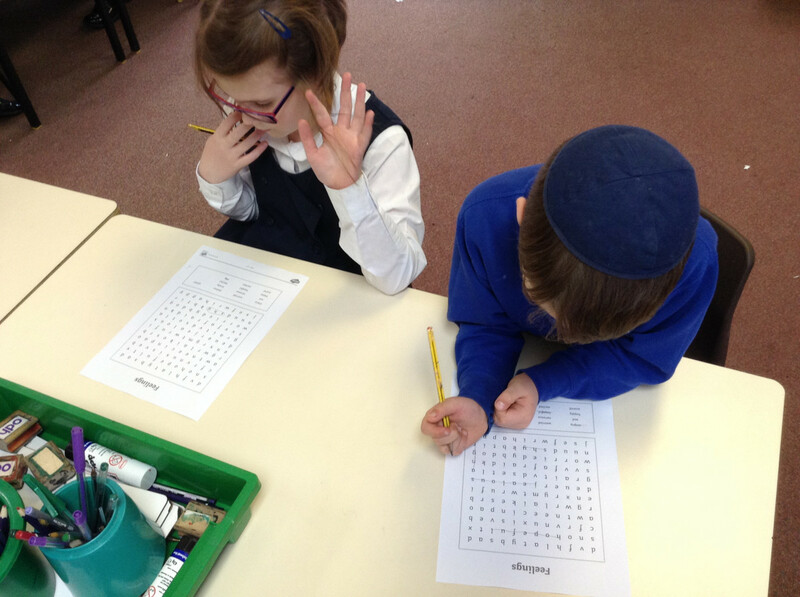 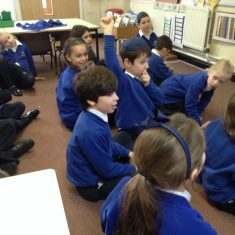 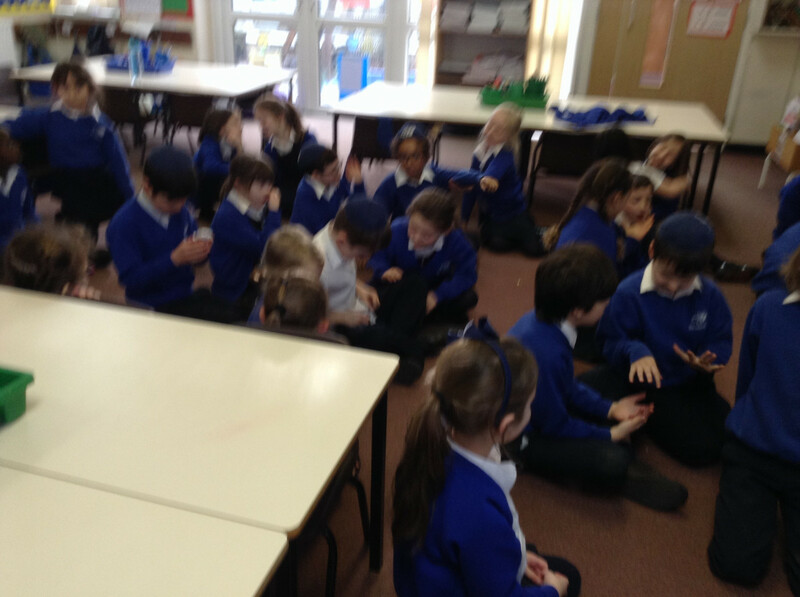 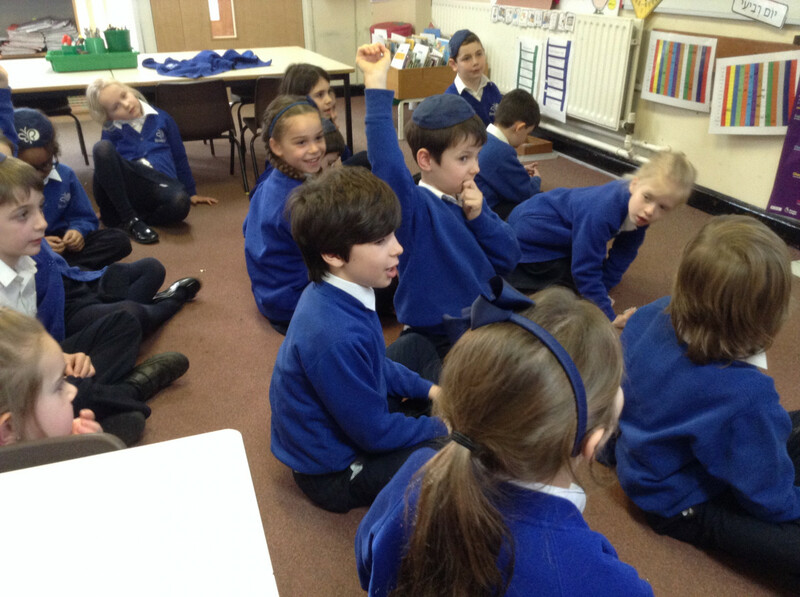 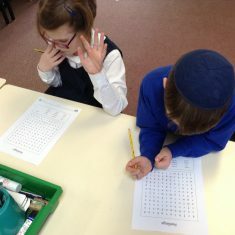 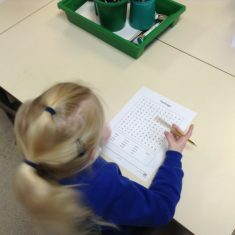 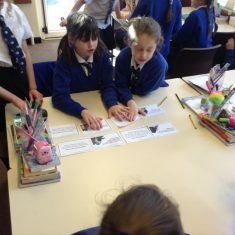 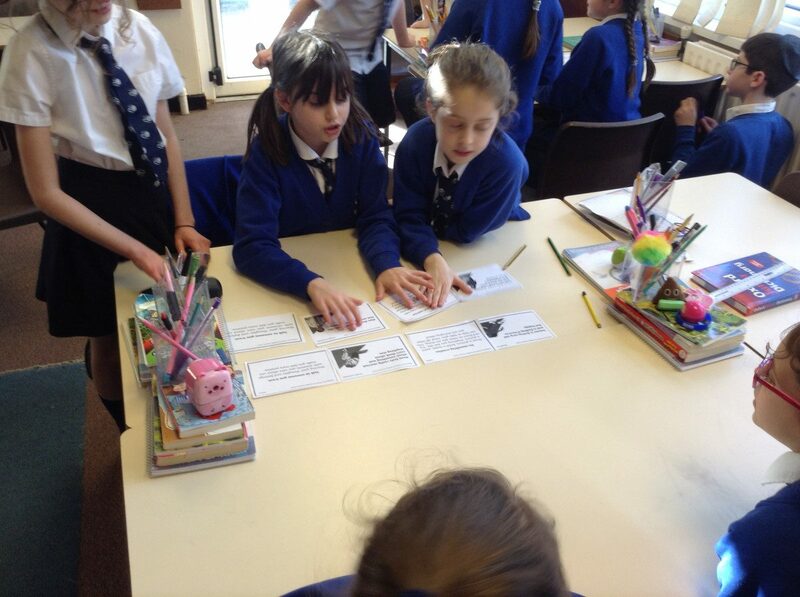 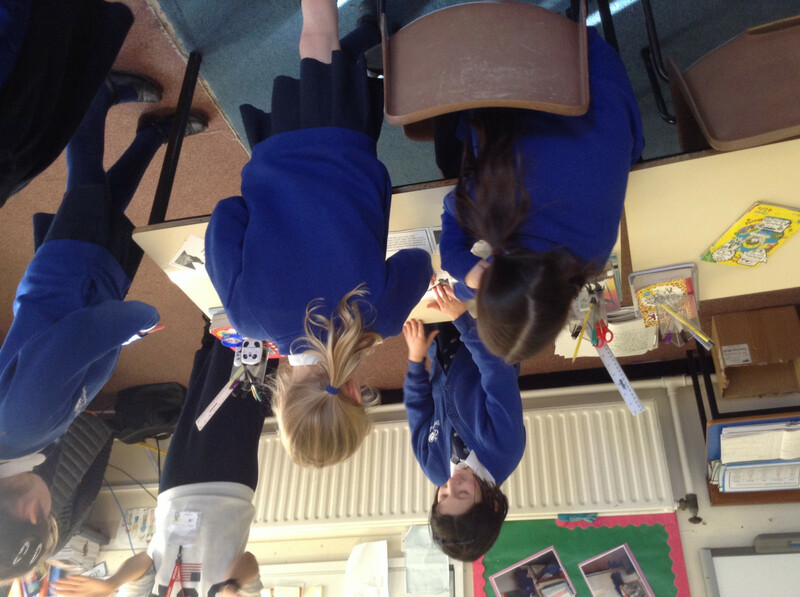 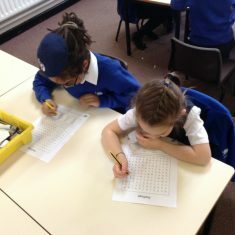 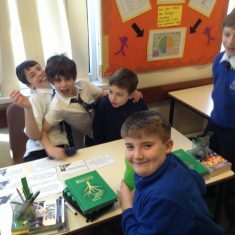 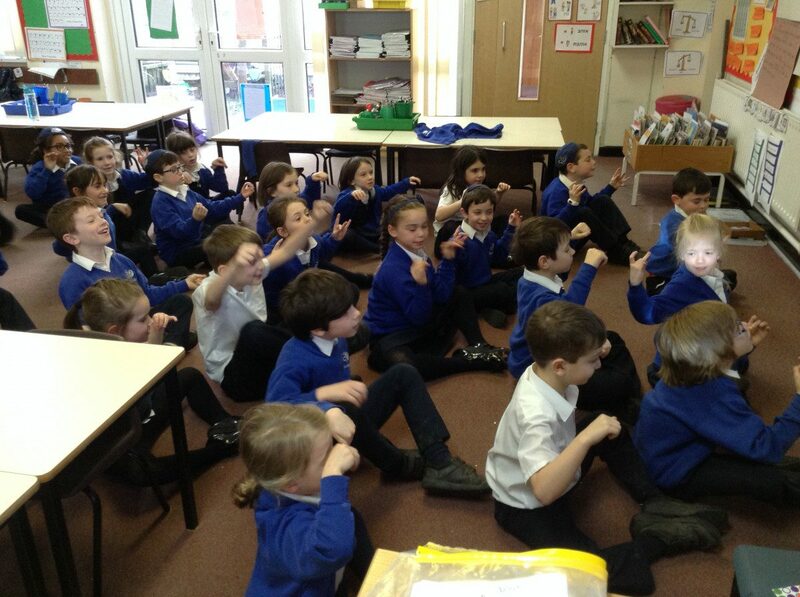 Year 2: Year 2’s enjoyed explored their feeling and emotions through a hands on activity. 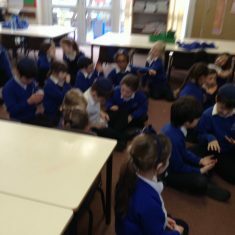 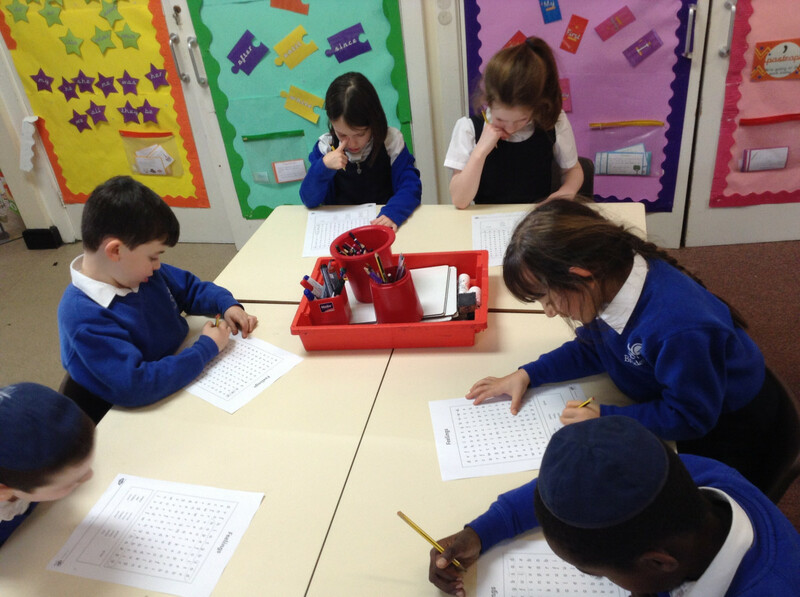 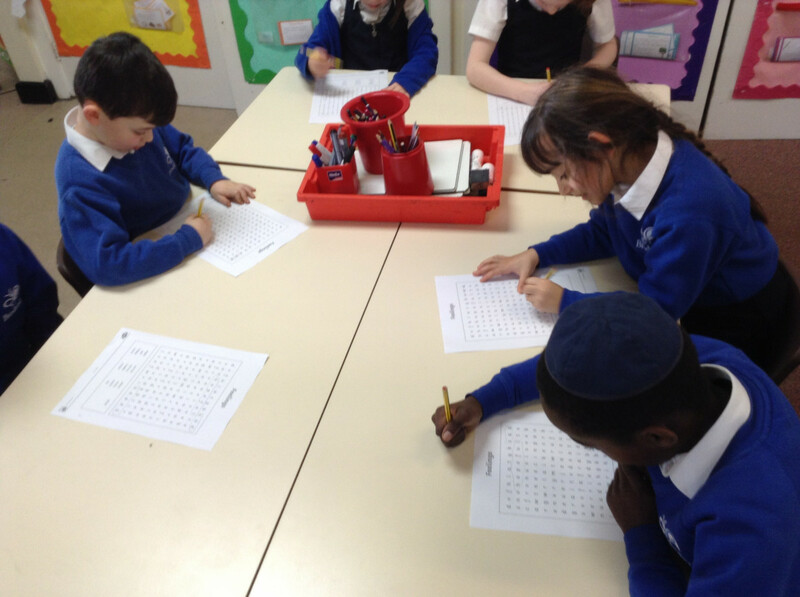 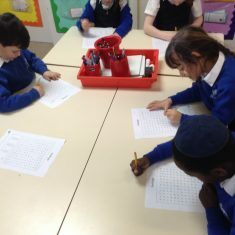 Year 1: Year 1 thought really hard about their feelings towards themselves and others around them. 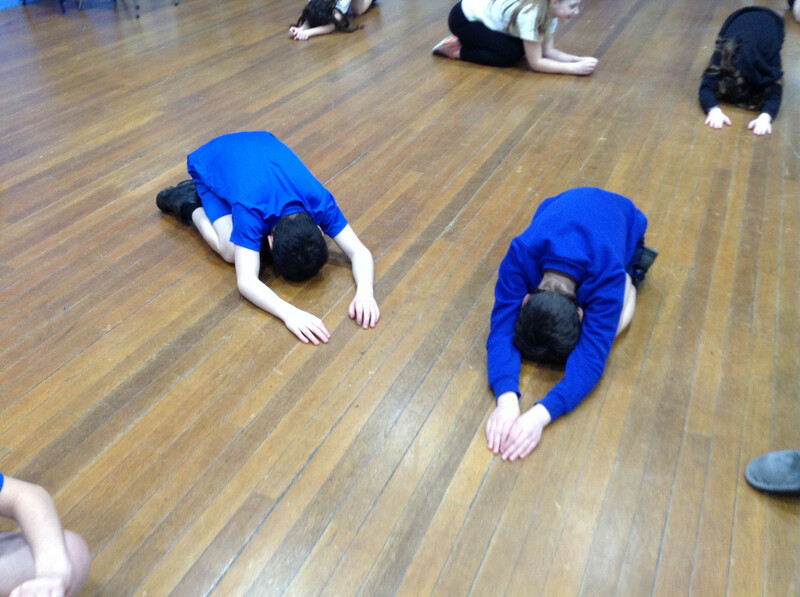 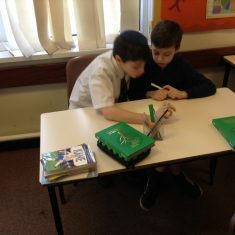 They took it in turns to express their feelings, particularly about what makes them happy or sad. 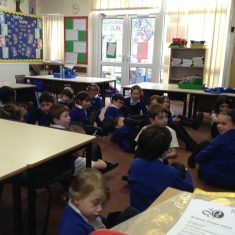 We finished off this discussion by listening to some relaxing music and imagined being in our ‘happy place’. 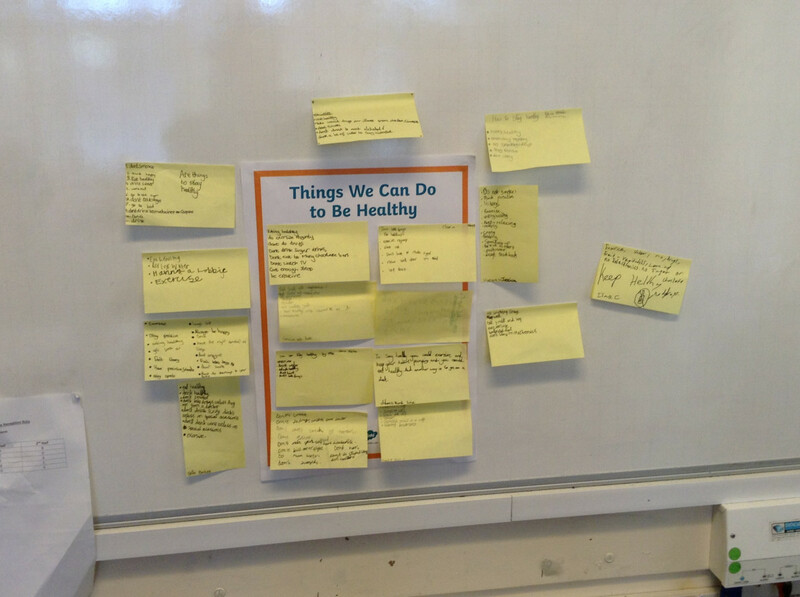 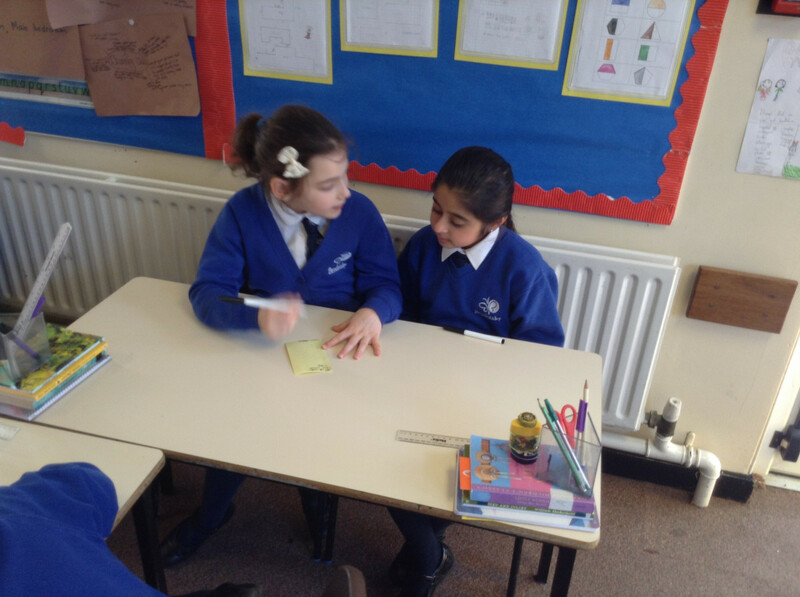 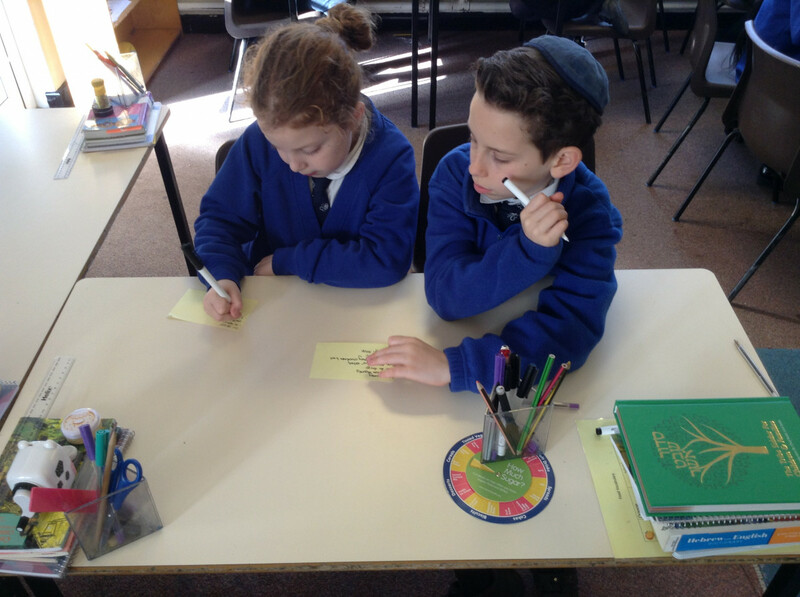 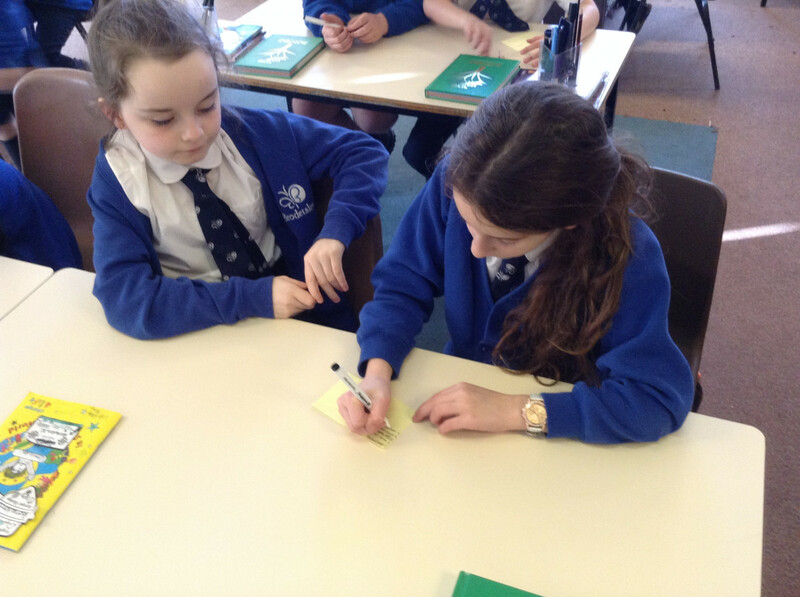 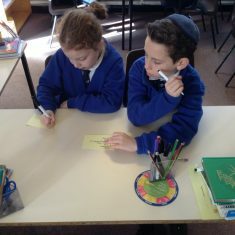 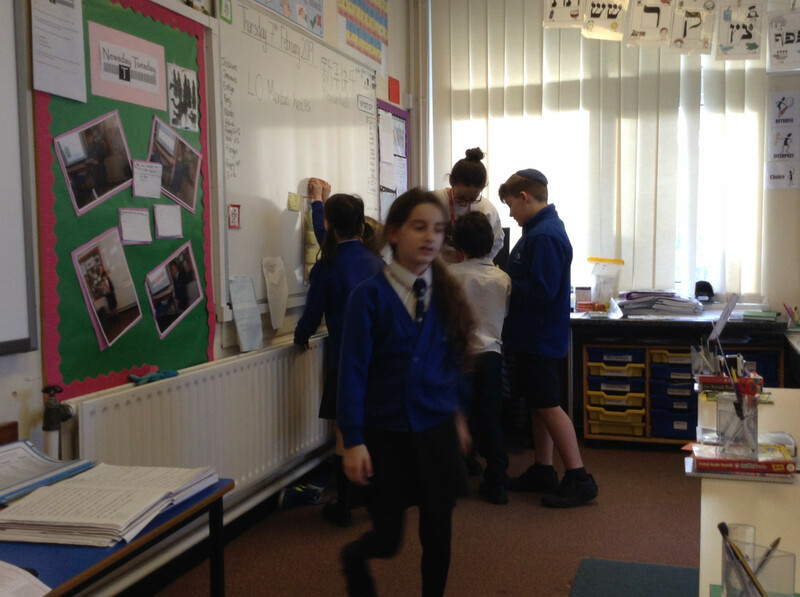 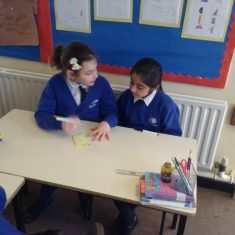 We thought mostly about how we can be kind to others as well as ourselves and discussed as a class how we can go out of our way to be helpful and kind to others. 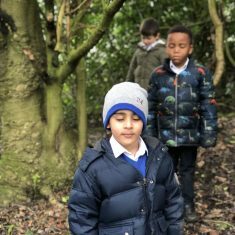 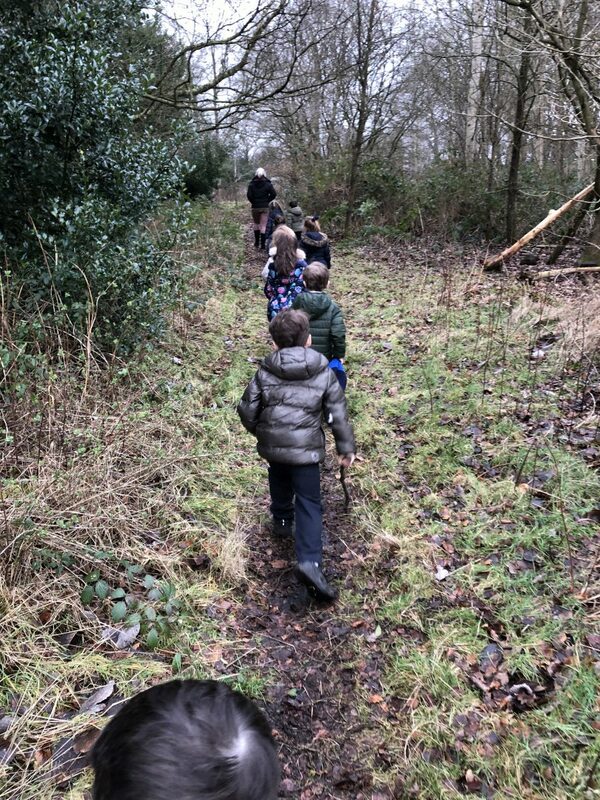 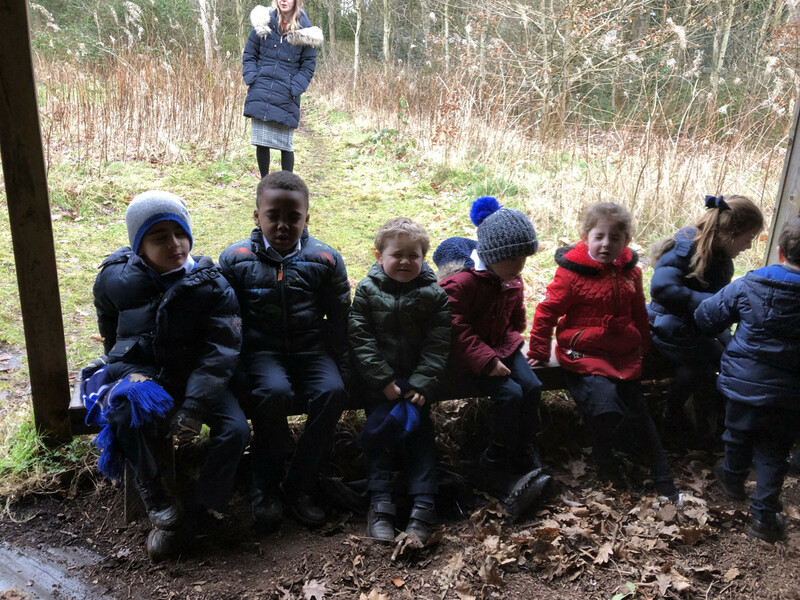 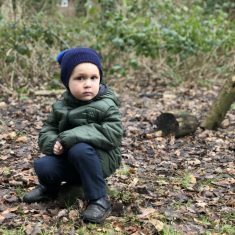 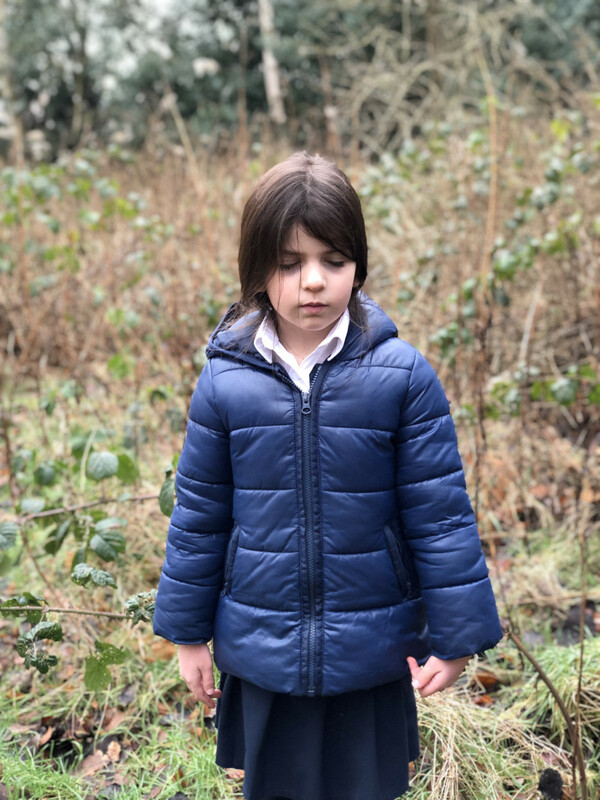 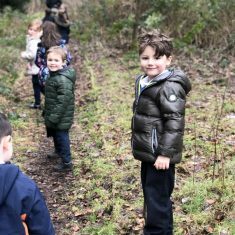 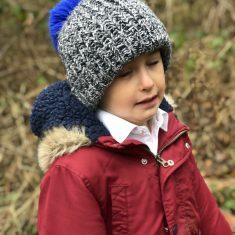 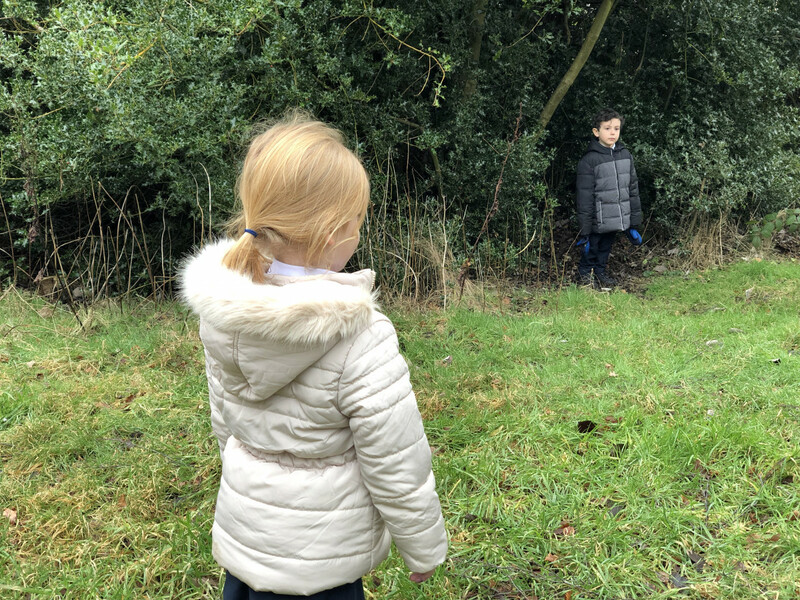 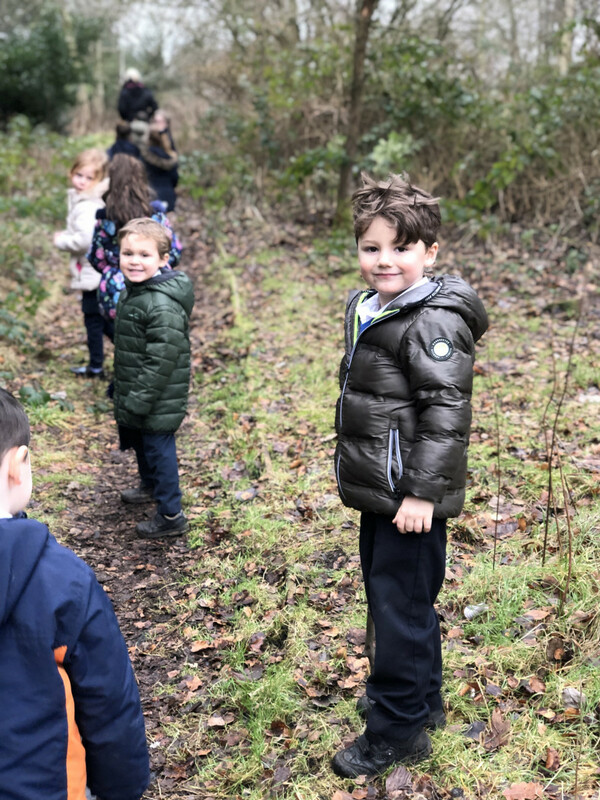 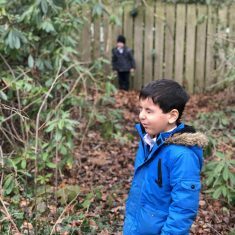 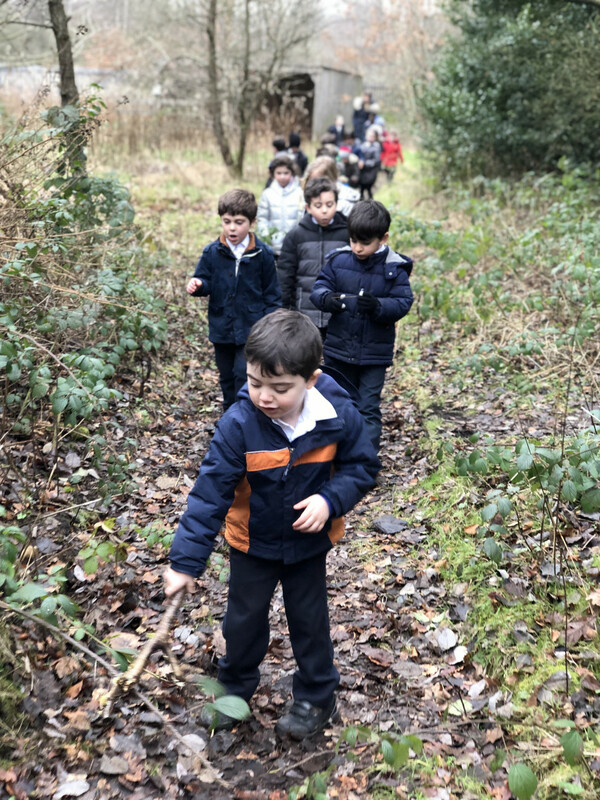 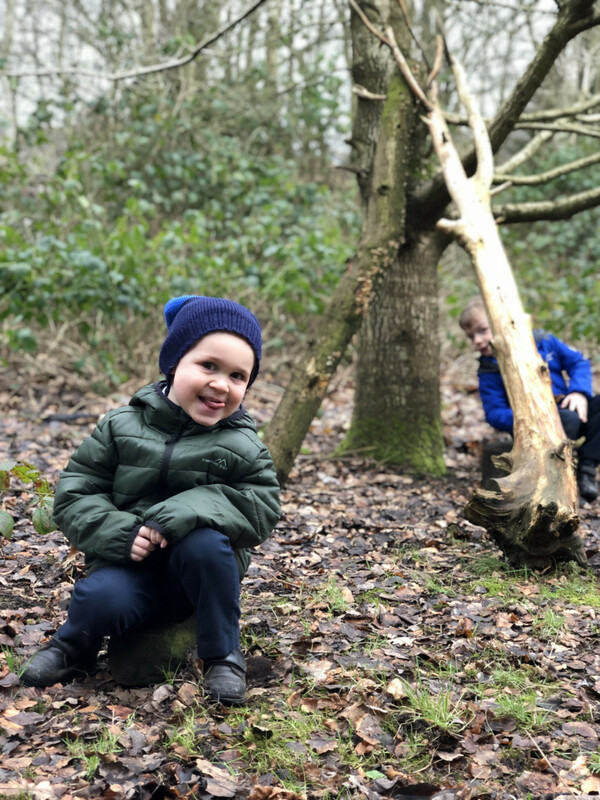 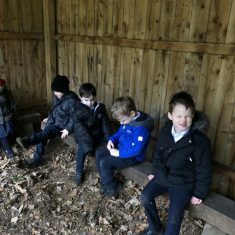 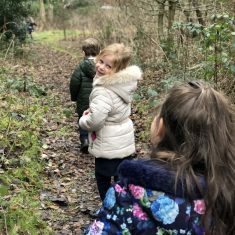 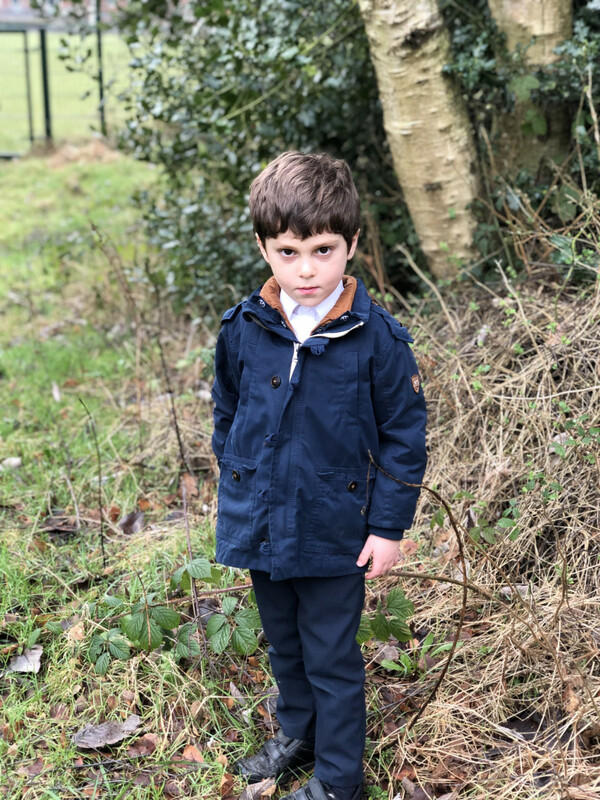 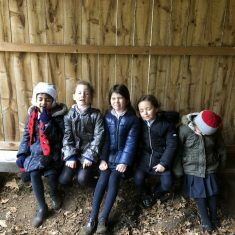 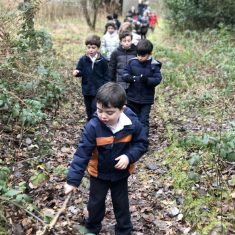 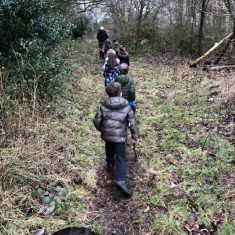 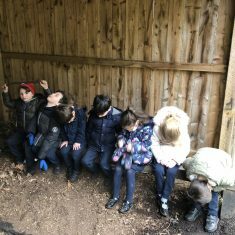 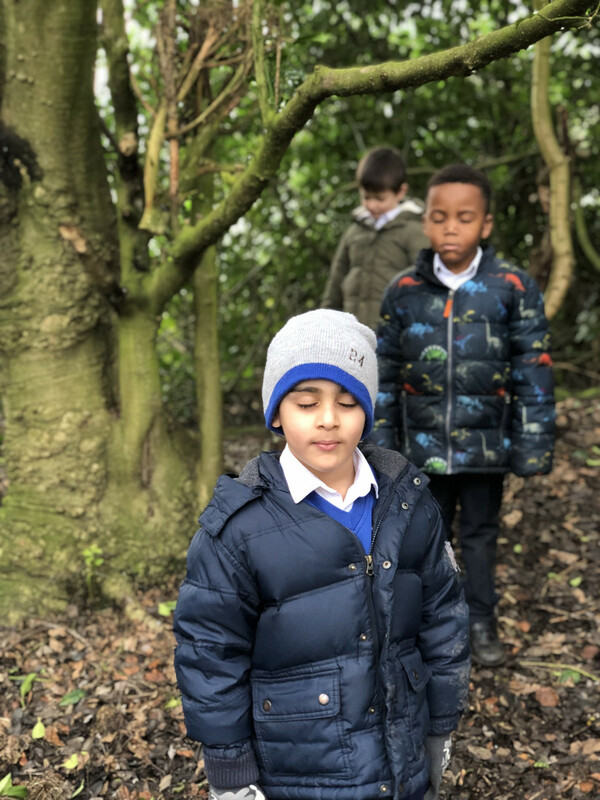 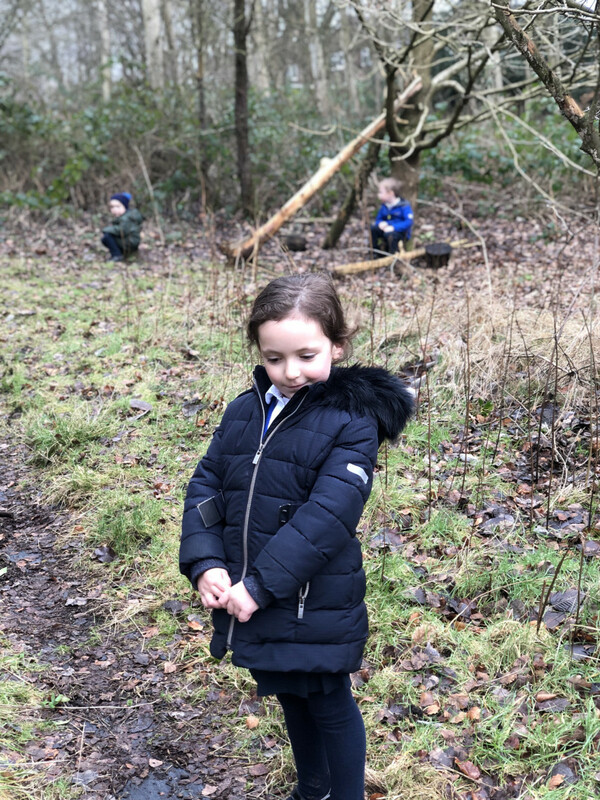 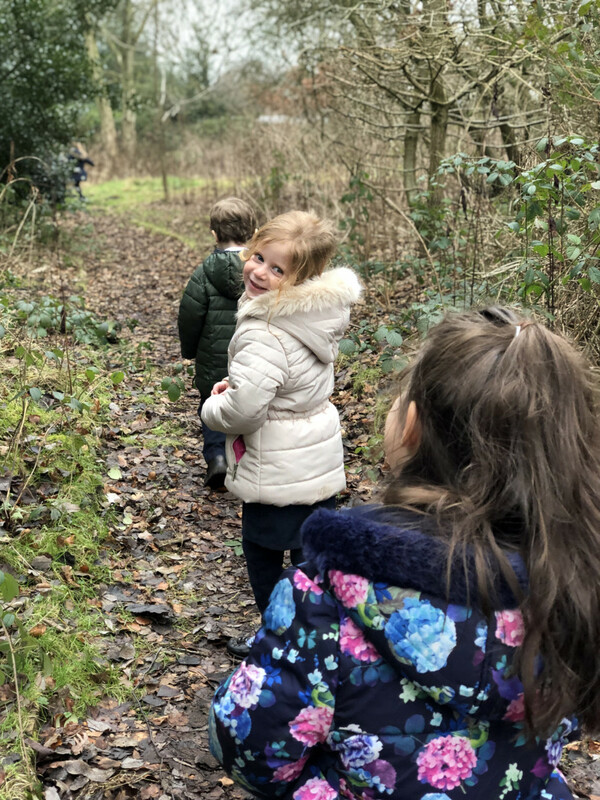 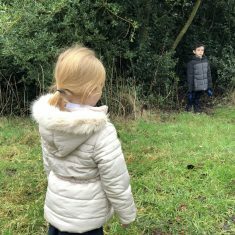 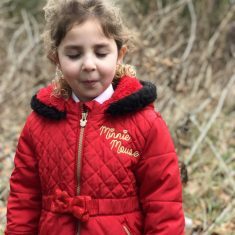 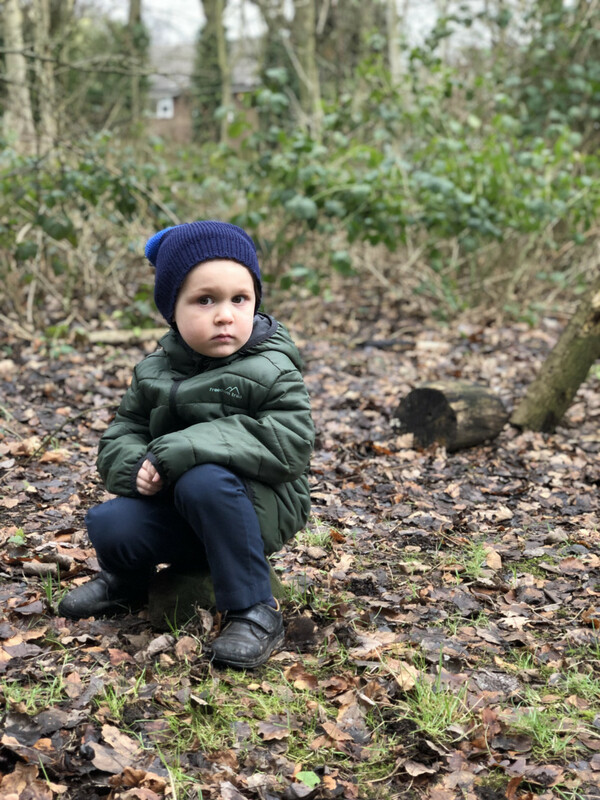 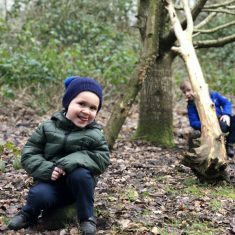 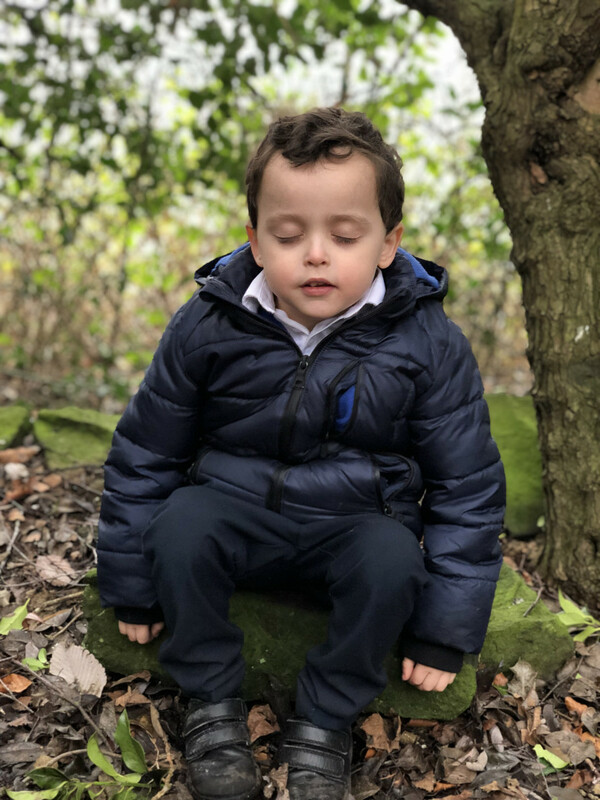 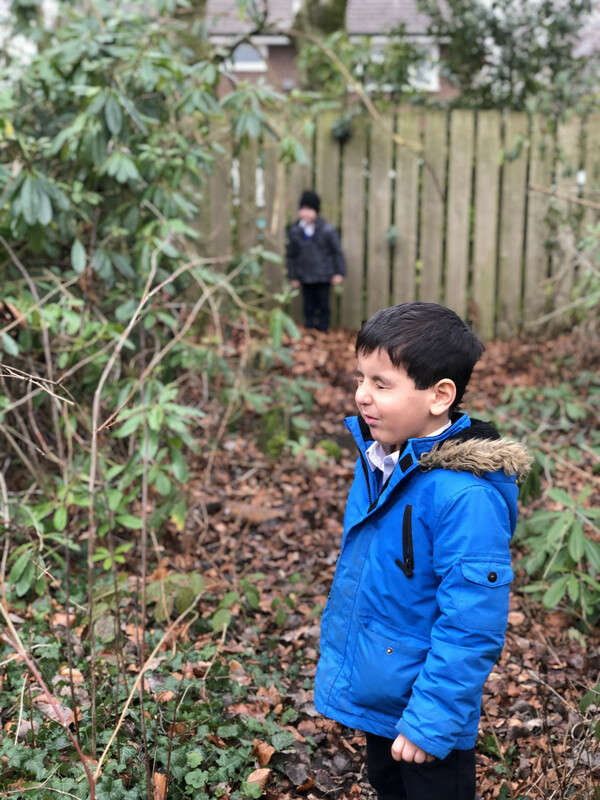 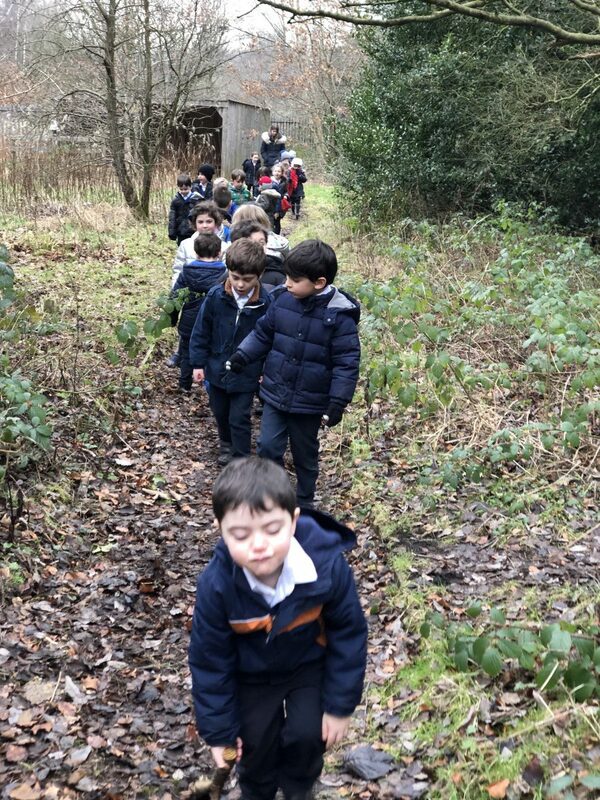 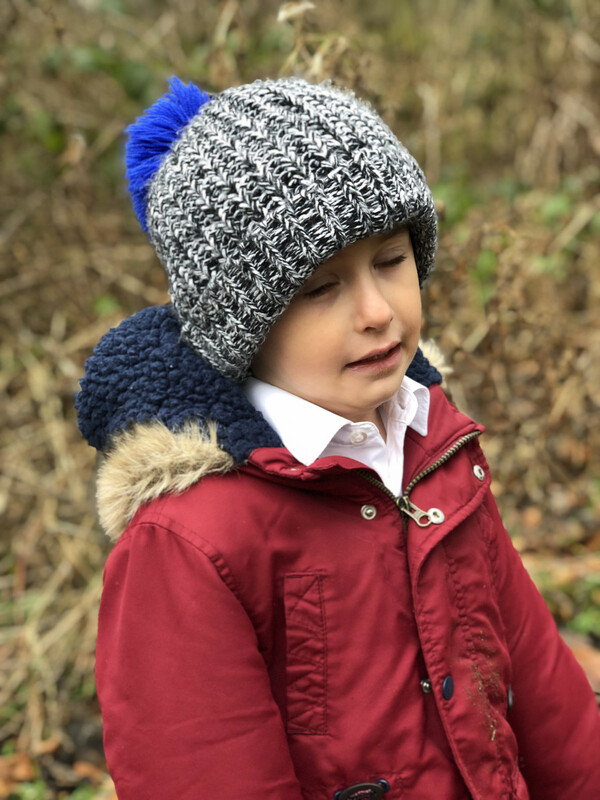 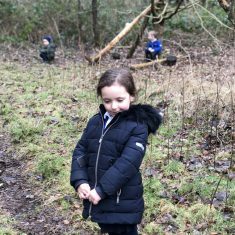 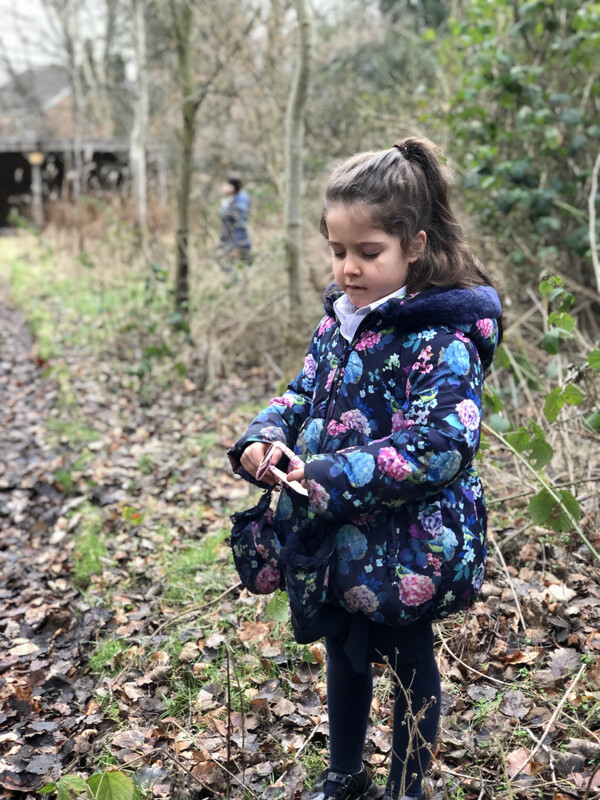 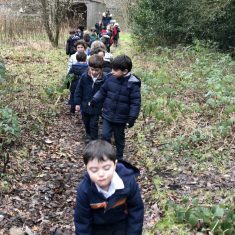 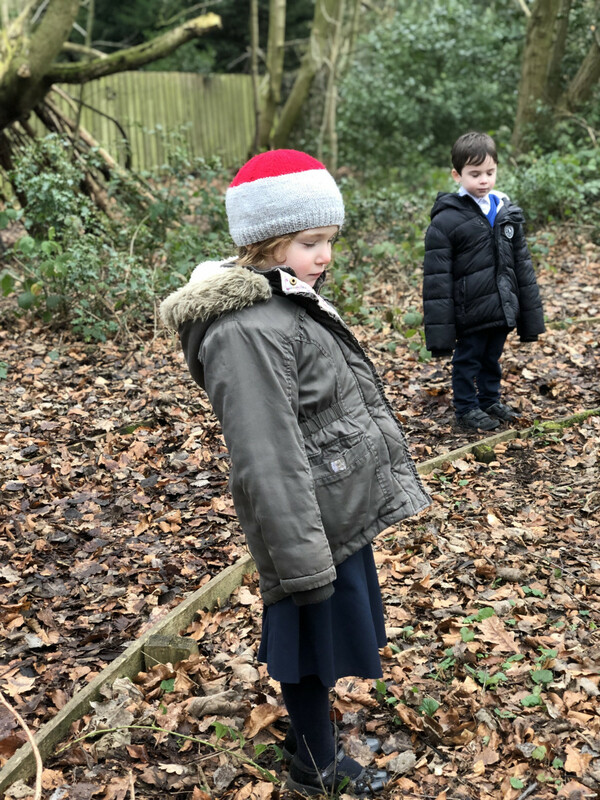 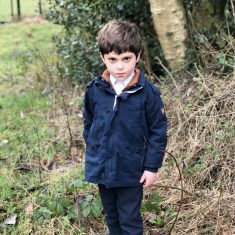 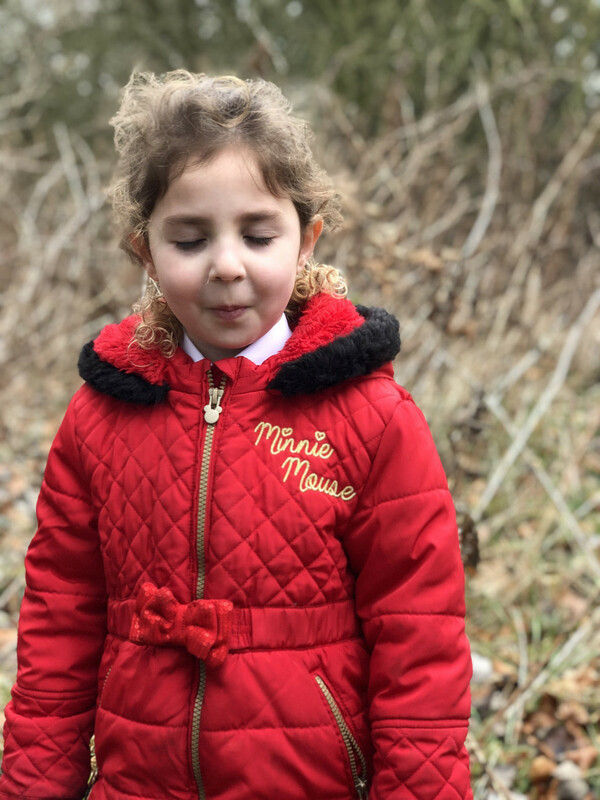 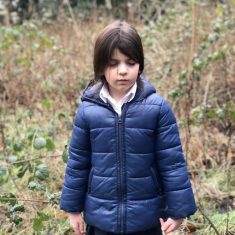 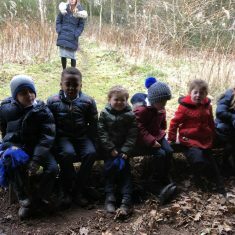 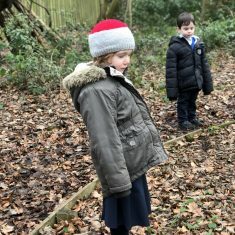 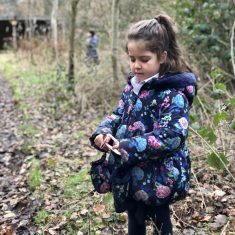 Reception: Reception enjoyed a relaxing walk in the school woodland. 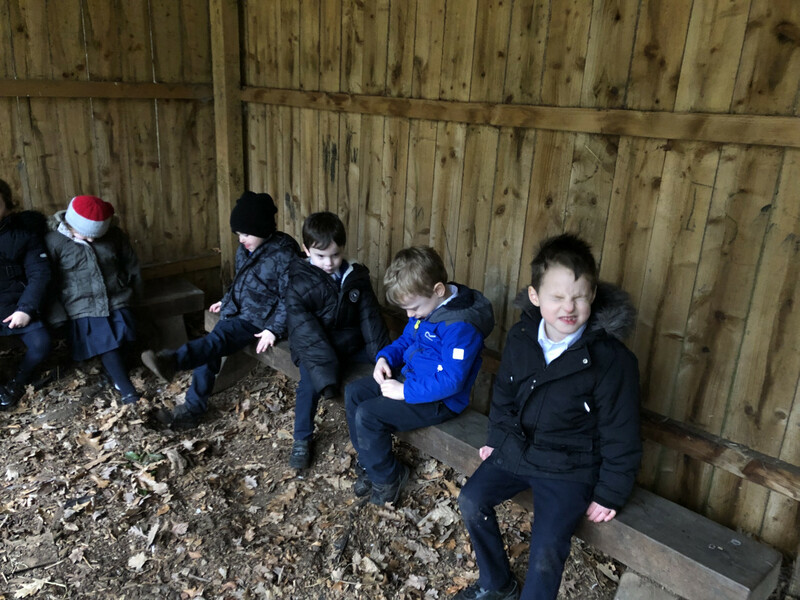 While there, they listened to calm woodland noises and thought about the things that arouse different emotions. 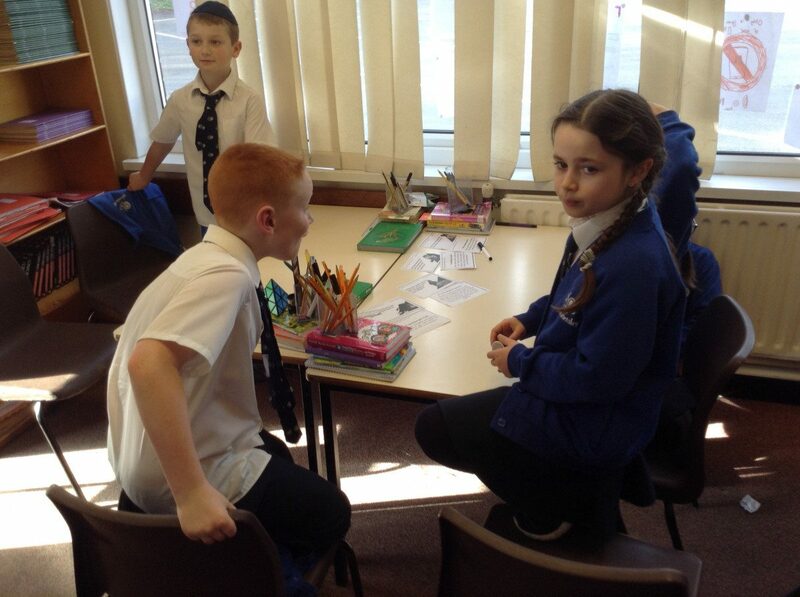 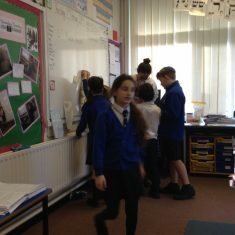 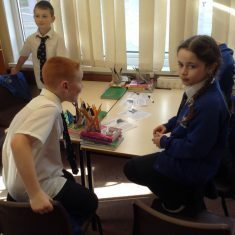 We then spoke about the idea of sharing our feelings and emotions and how it is good to tell a grown up or friend in the right way how we are feeling inside. 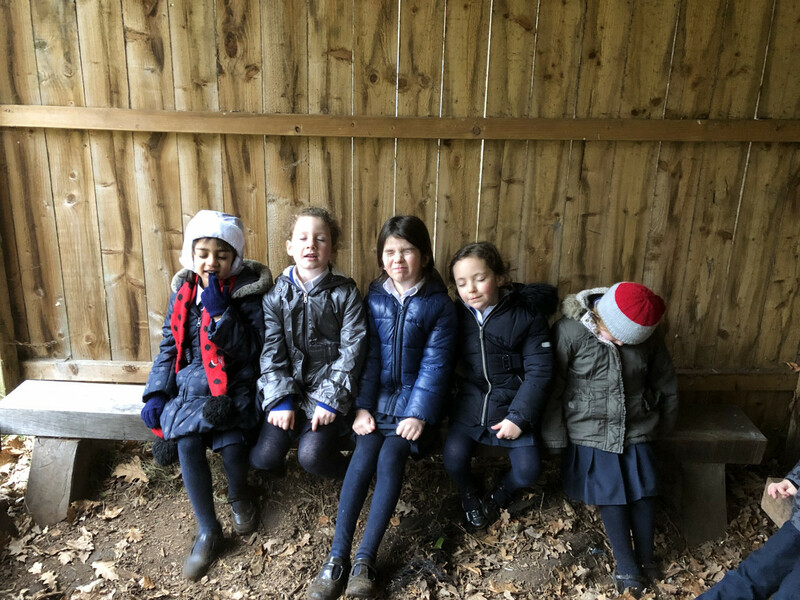 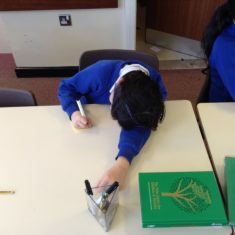 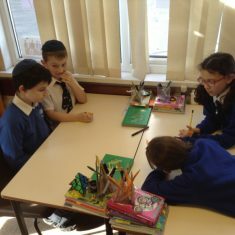 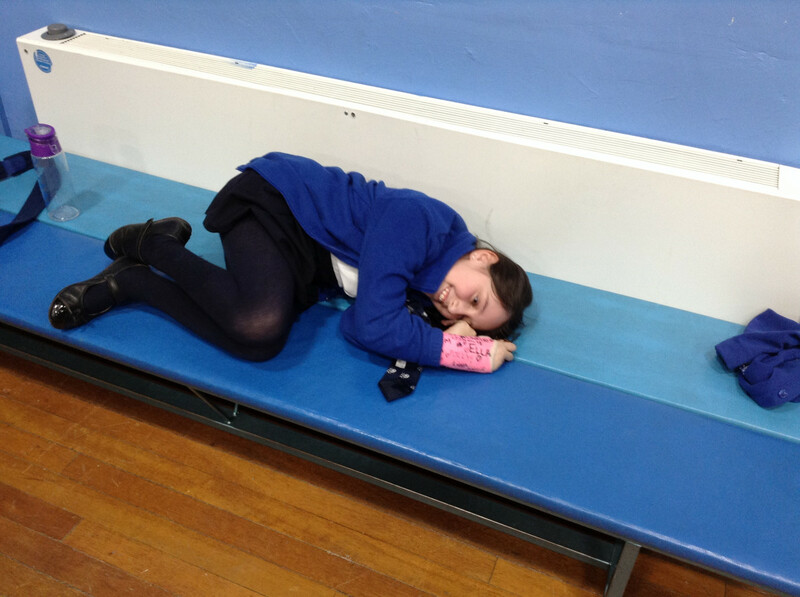 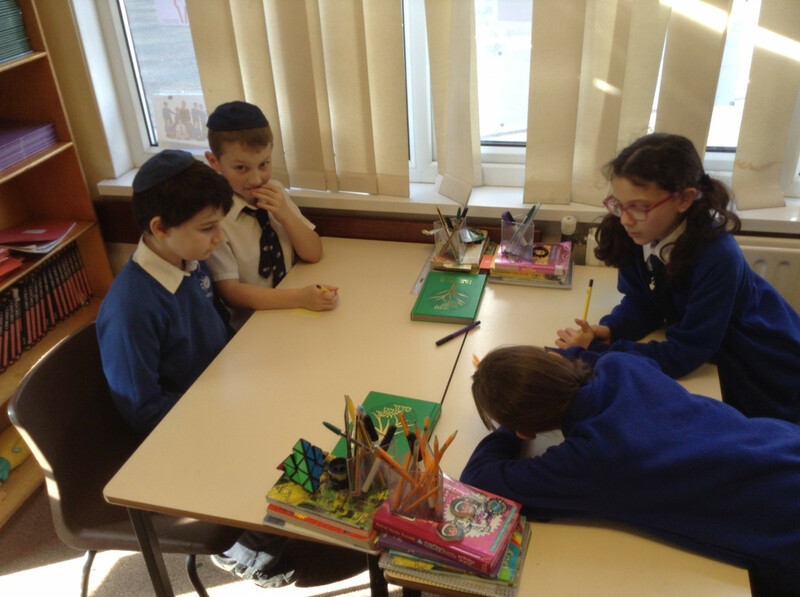 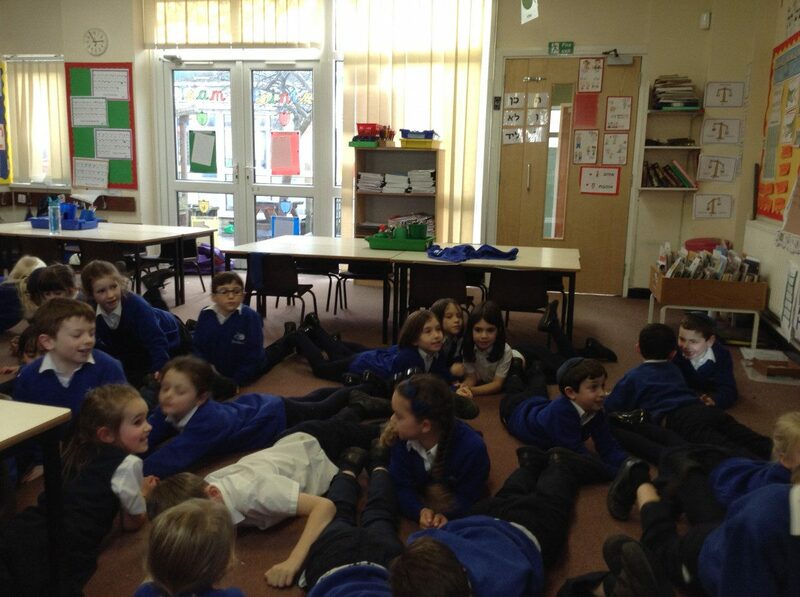 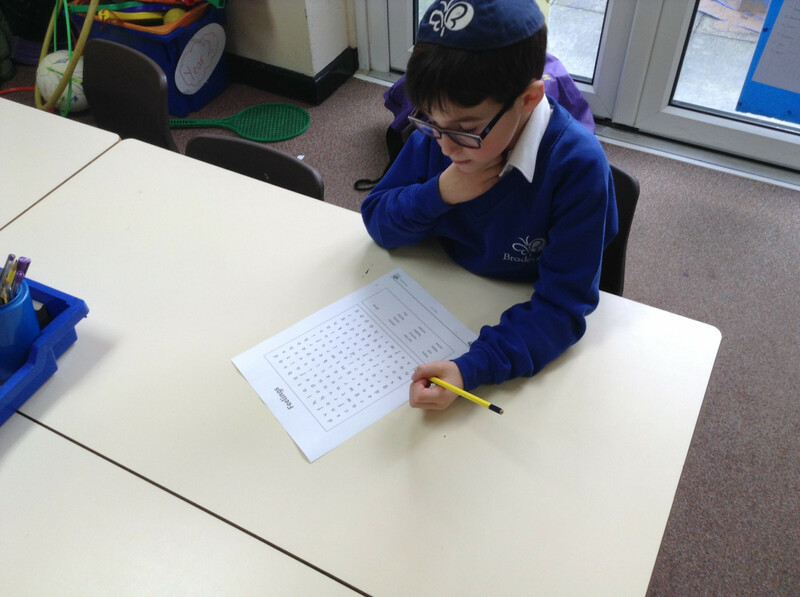 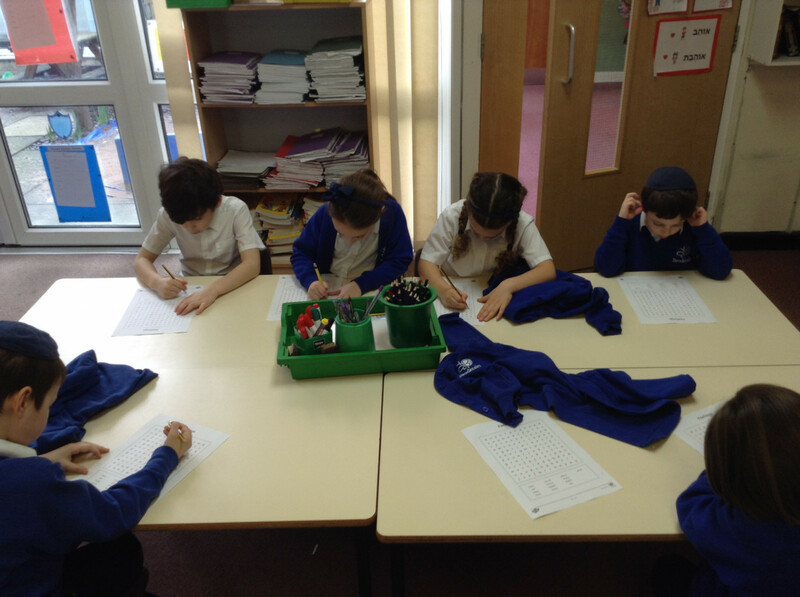 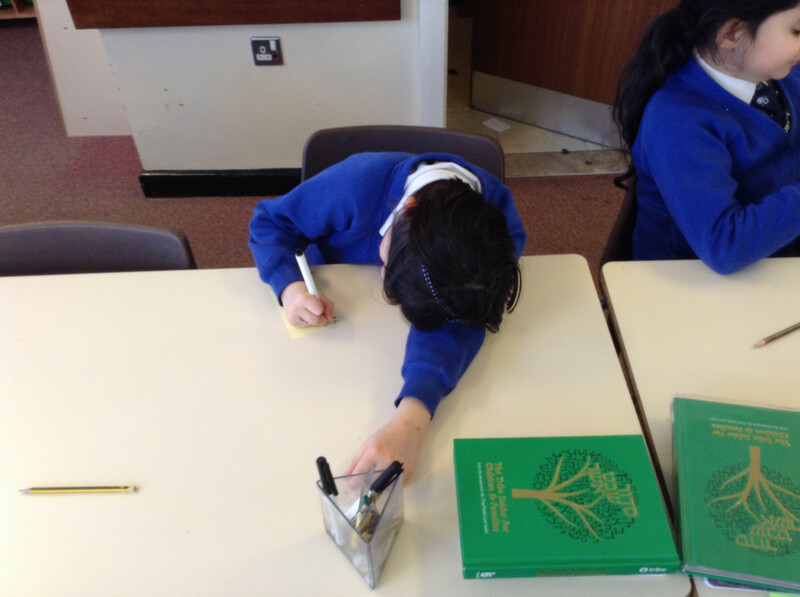 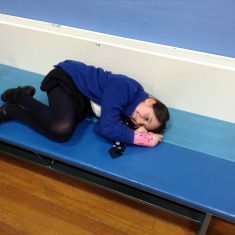 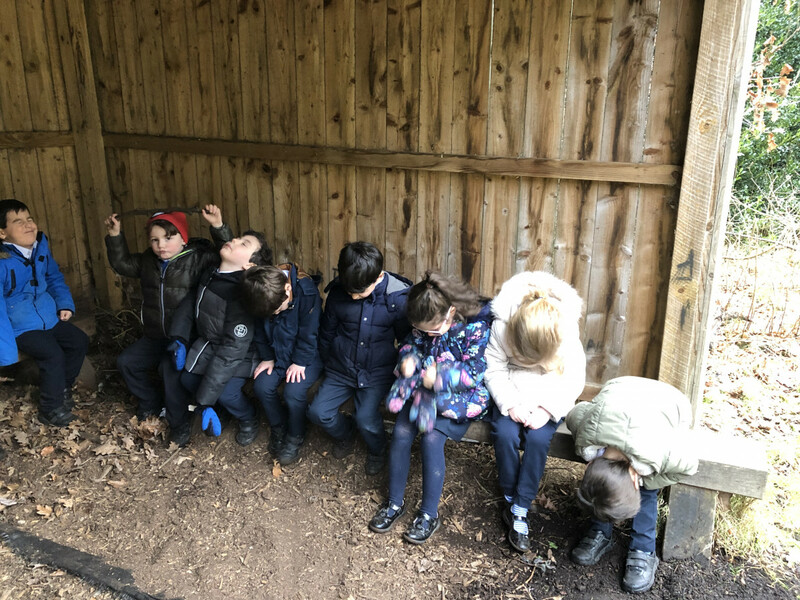 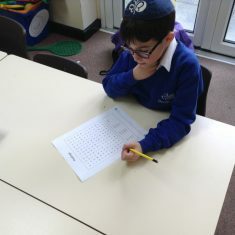 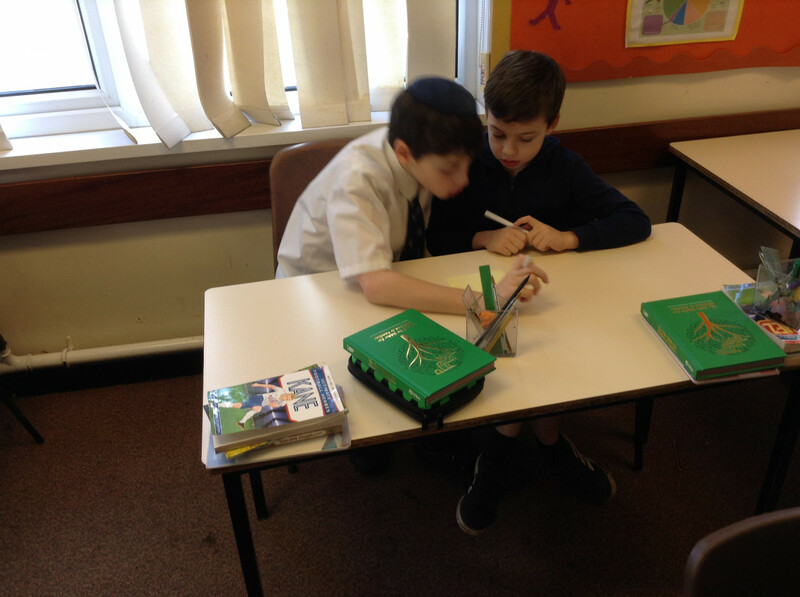 All the children found their own quiet thinking space to have some alone thinking time. 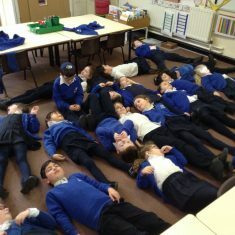 It was very peaceful.